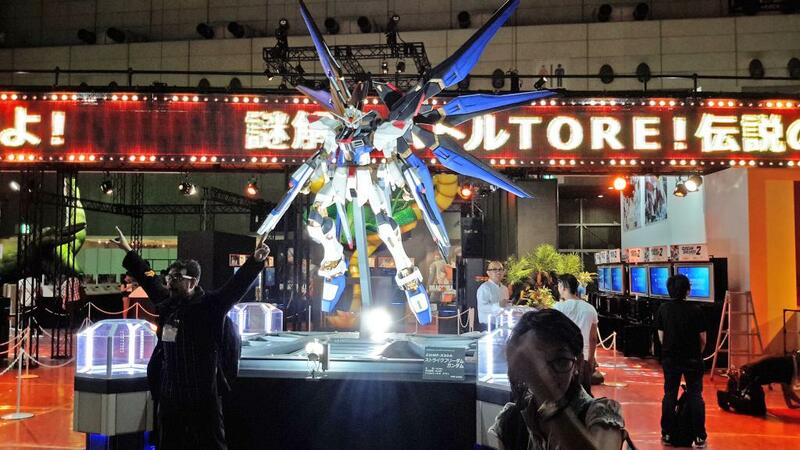 Tokyo Game Show 2014 | Miracle Animation Studios Inc. 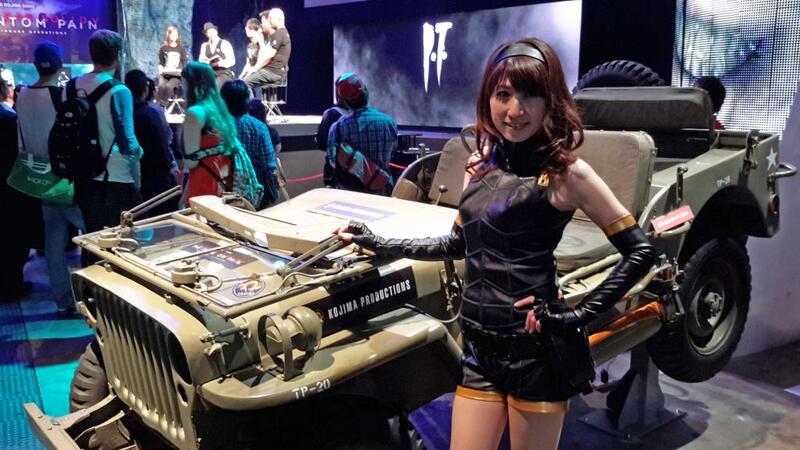 The Tokyo Game Show 2014 was the biggest foreign event of the year that a representative (in this case Alstaire Sarthou) from Top Peg Animation attended this year. Since it was the first time for Alstaire, there were a lot of lessons learned in this event. 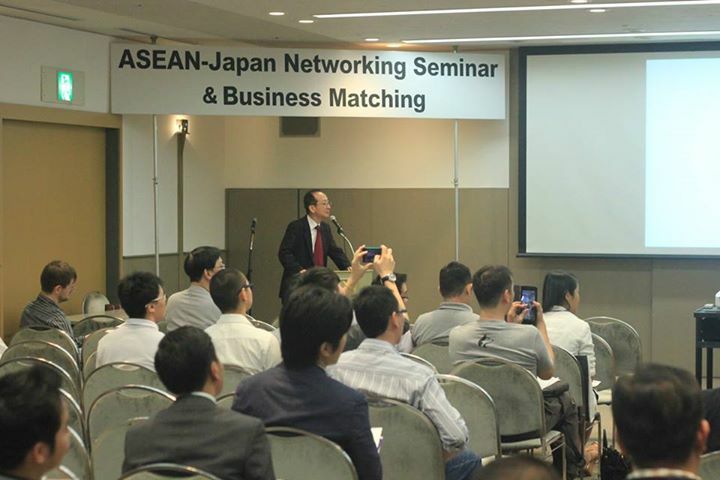 According to Alstaire, this was the most organized event that he attended, especially when it came to business matching. 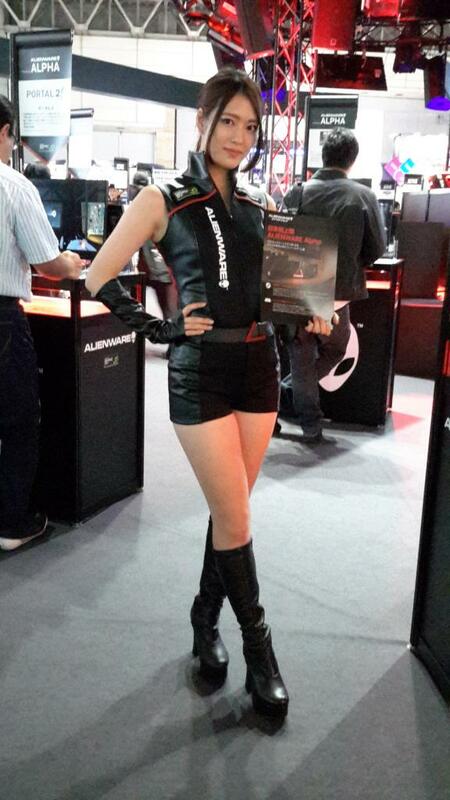 In a nutshell, if you have a service or a game to sell, there will be many serious inquiries. 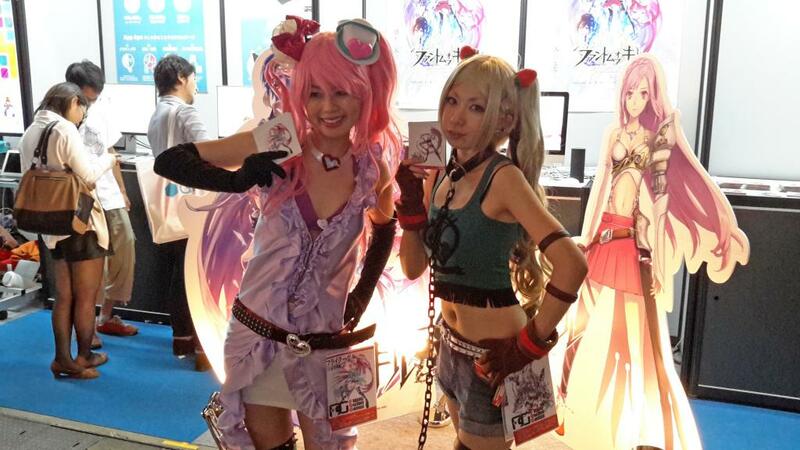 If you have a finished product – a finished game to market, there will be no shortage of distributors from Japan, China and other countries who are willing to market it in Asia, Japan or other countries – if they are interested in your game. Aside from language difficulties, there are different cultural business practices in Japan that we are not familiar with. It will take some time to understand these differences, hopefully we could do business with our new contacts in the future. 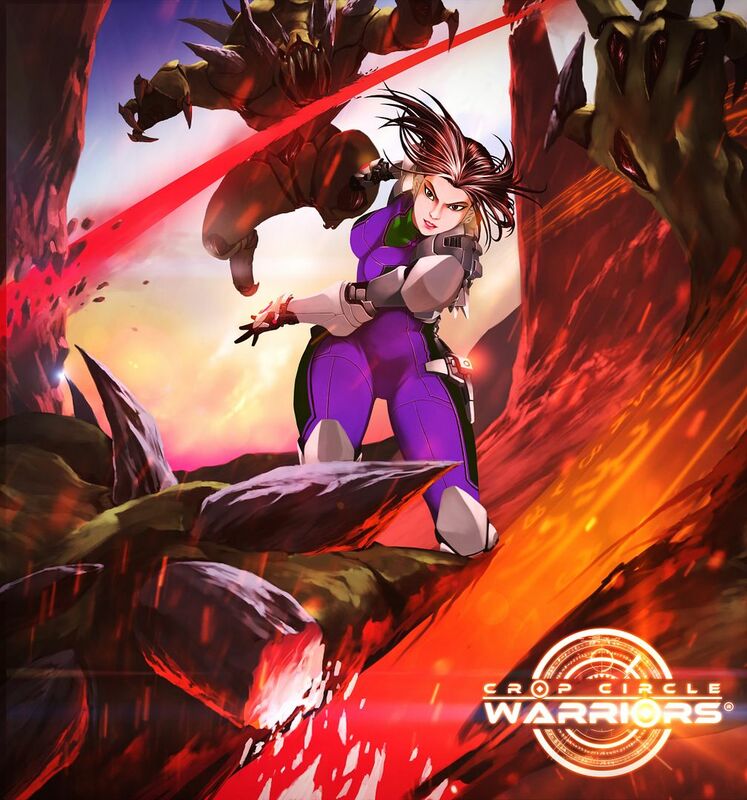 One Japanese distributor was interested in our mobile game “Crop Circle Warriors®”. 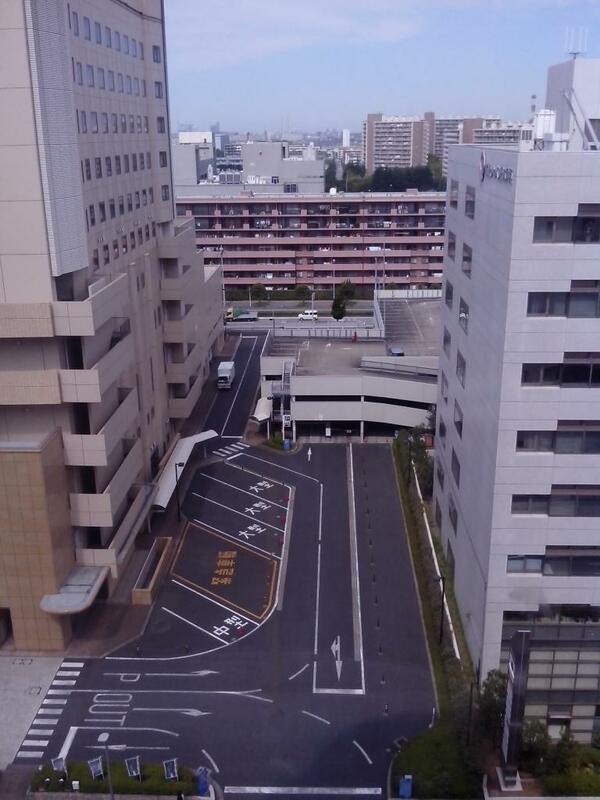 He was interested to market it in the whole of Japan which he said was the second largest market after the US, but he wanted a finished product. 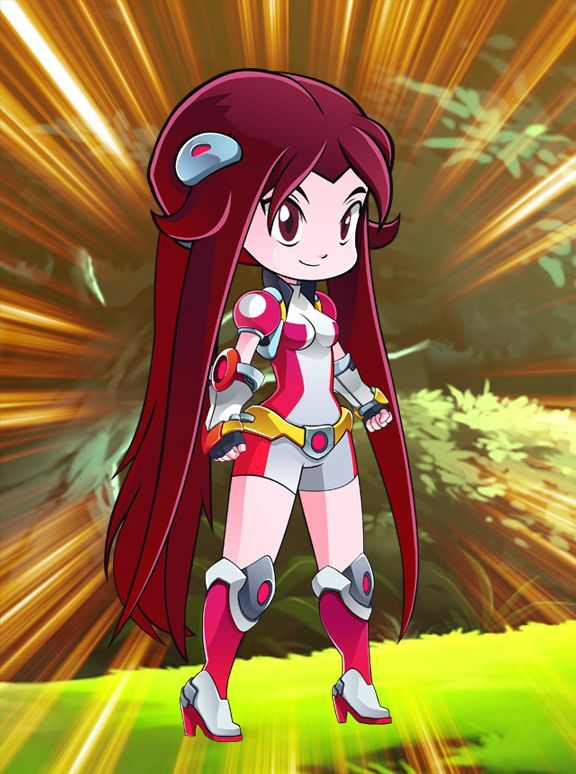 So from this experience, aside from android, we also have to have an iOS program for our game, since Japan is a very huge market for Apple iphones. 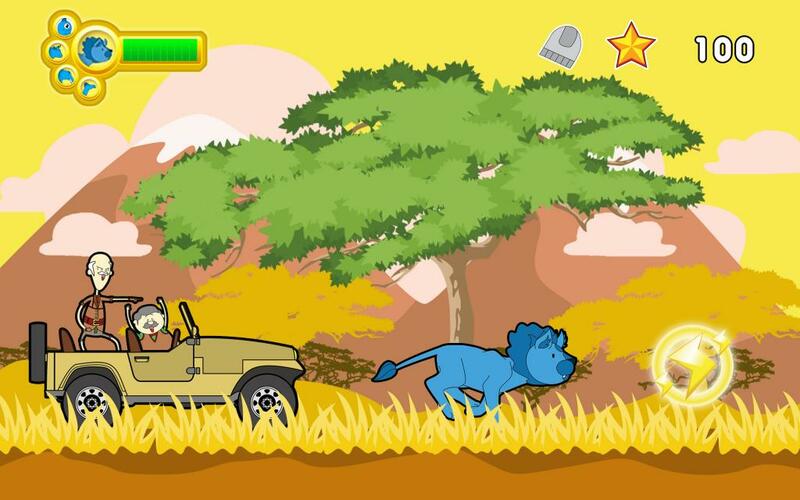 Other companies are looking for e-books, applications, 1 minute animation shorts all for mobile applications, since they want to put out something new every week or every month. 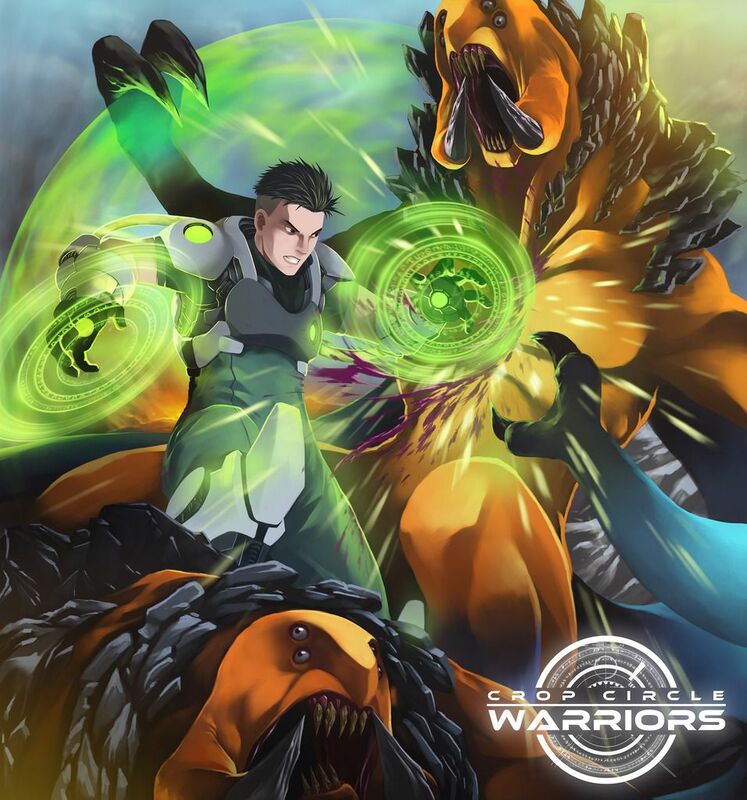 With regard to content, aside from the animation and the mobile game to finish, I commissioned a writer to start writing an e-comic for the “Ultimate Crop Circle Warriors®”, I plan this will be online sometime second half next year. 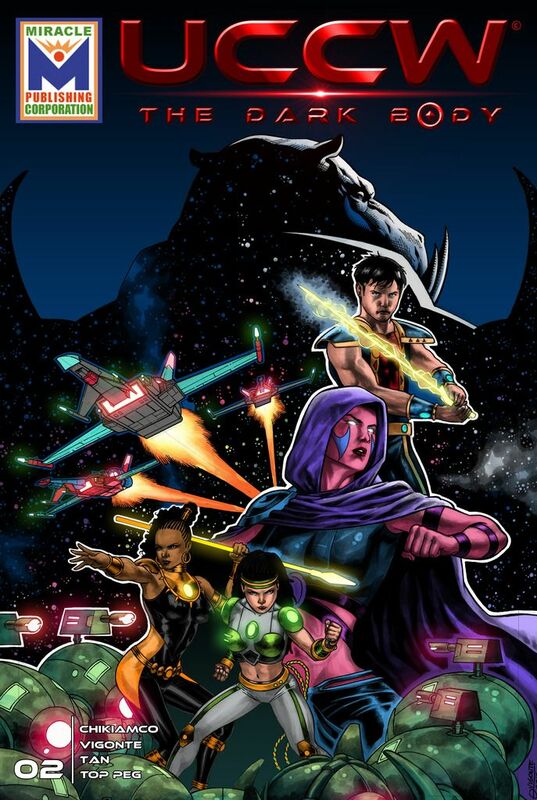 I think the e-comic will be very good, as I have a good concept for it and the writer is a good one. The following are Alstaire’s experiences before and during the event. 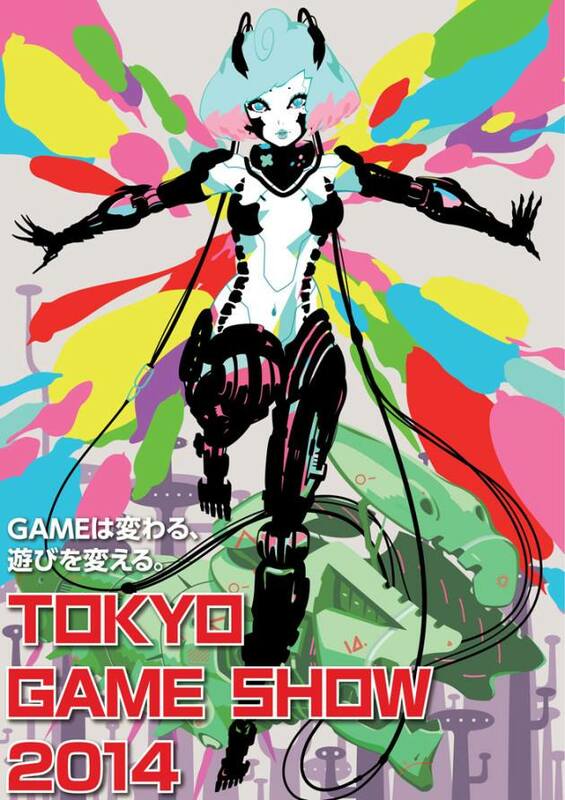 Sometime on the last week of July 2014, Grace told me that I was to represent Top Peg Animation & Creative Studio Inc. to the Tokyo Game Show 2014 on September 16 to 21 at the Makuhari Messe, Tokyo, Japan. 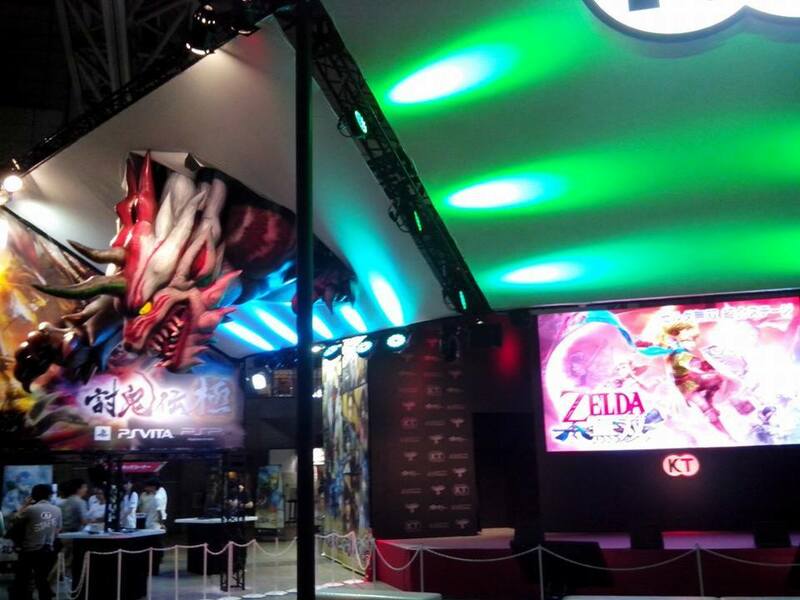 It will be my first time in Japan and this was the second biggest game exhibition in the world after Canada, so I was pretty excited. 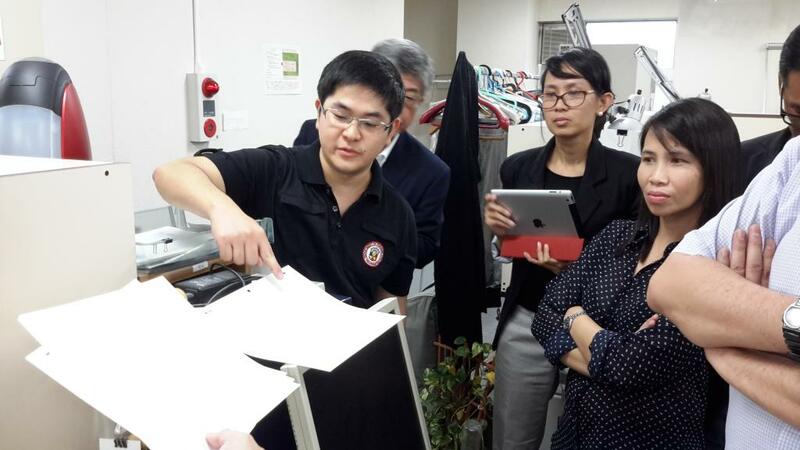 Based on the email exchanges with the Department of Trade and Industry (DTI) representative – Ms. Jojo Flancia; I learned that we were one of the seven local companies invited by the Asean-Japan Centre, DTI’s counterpart in Japan. These companies belonged to the Information and Communication Technology (ICT) sectors. 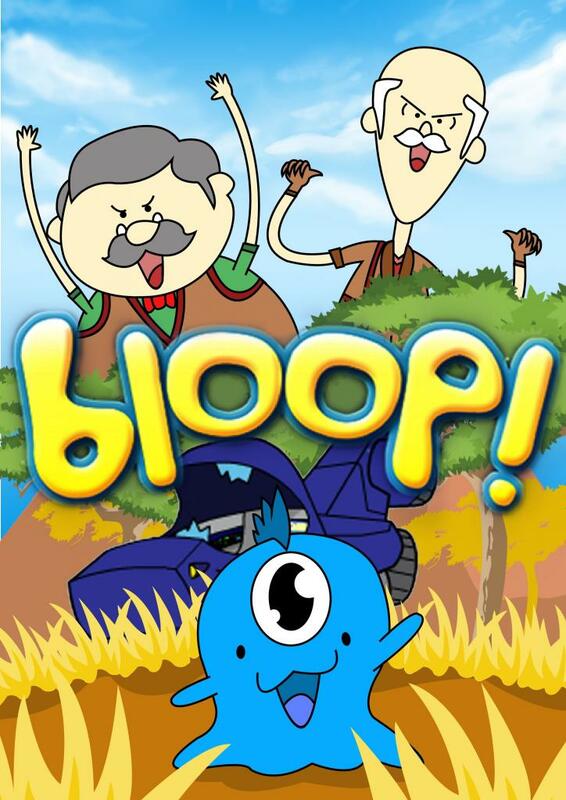 We had two companies from the animation industry under ACPI – Top Peg Animation & Creative Studio Inc. and Toon City Animation Inc. Four companies came from the game industry (GDAP) – Funguy, White Widget, The Studio of Secret 6 and Team App (a.k.a Holy Cow Animation Studio game division), and one company from the software industry (PSIA) – Pointwest. 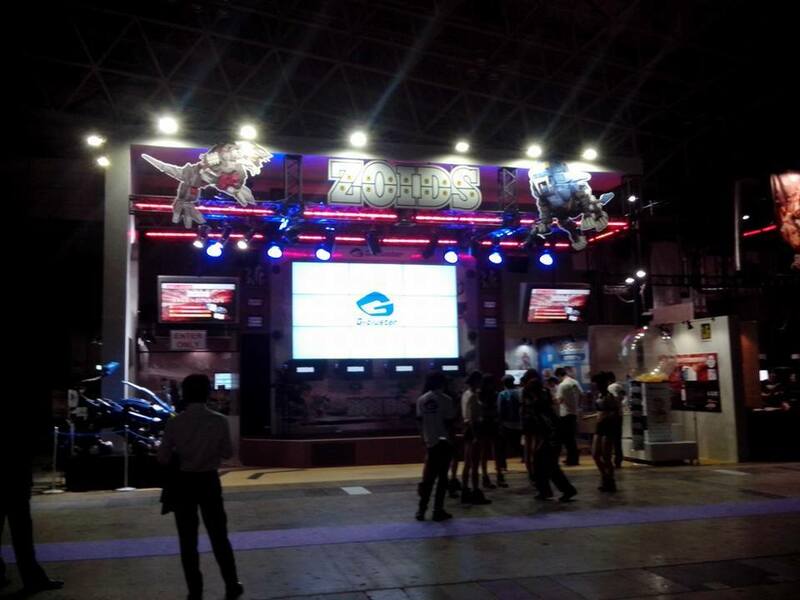 Each company will be having their own booth to exhibit their services and to conduct business meetings. 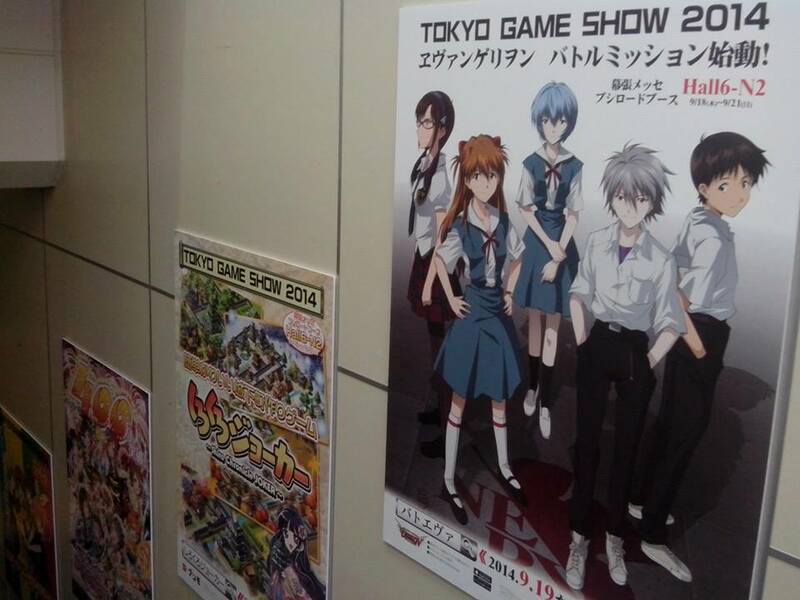 Each booth will have a space for posters, a 23 inch TV monitor, and a table with two chairs. 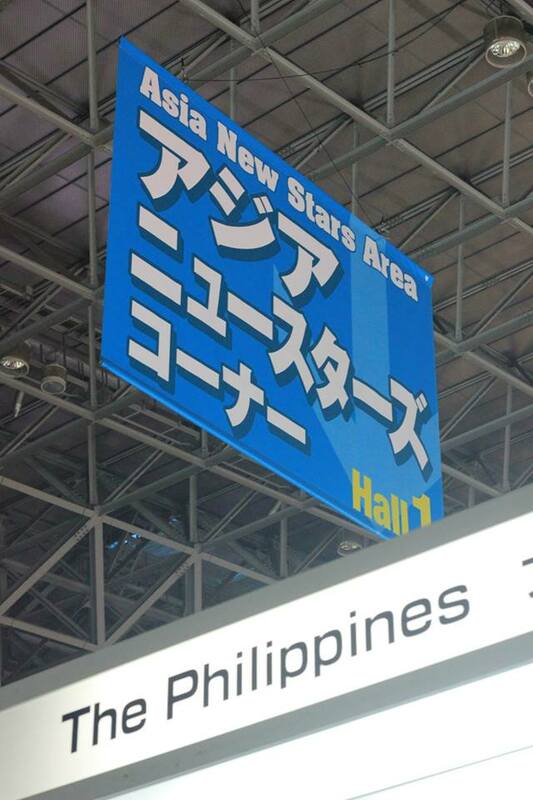 We will be situated at Hall 1 of the Makuhari Messe, together with other Asean counterparts named the Asia New Stars area. 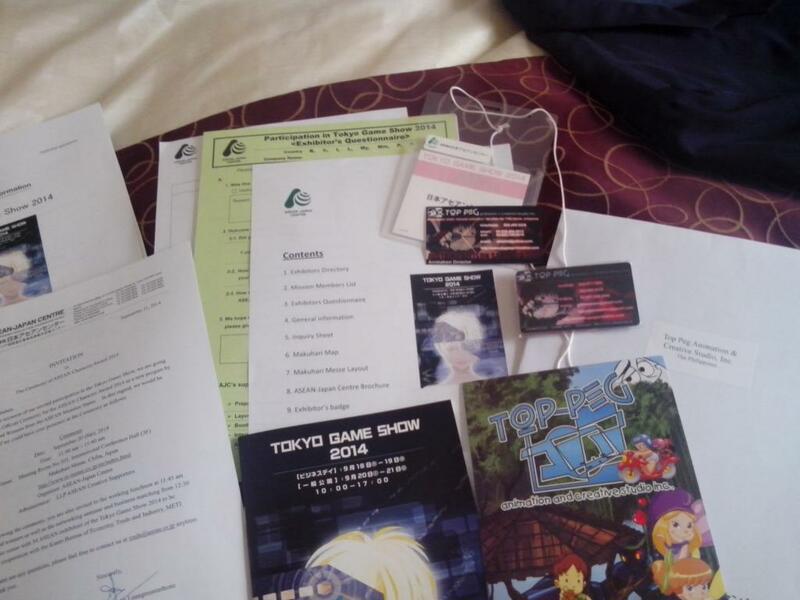 I was also sent the requirements, rules and regulations for the event. I learned that our airfare, hotel accommodations and transportation allowance would be subsidized by the organizers but I needed to book my hotel before August 15 via a booking website that was set up by the organizers. 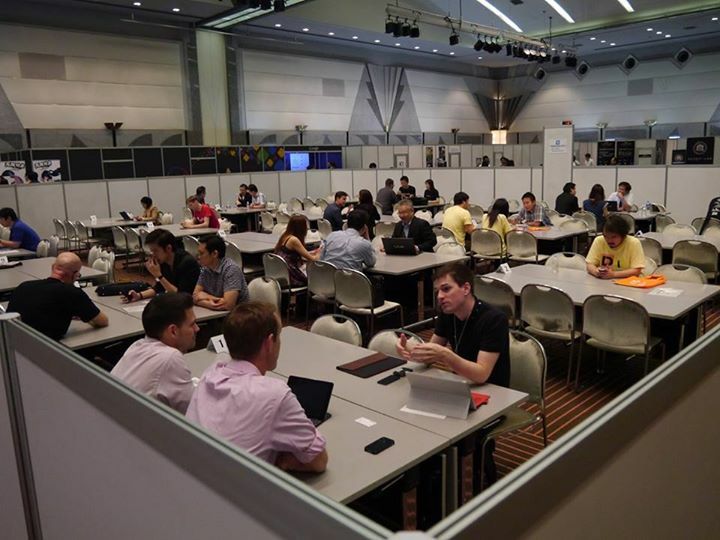 I also needed to set up business meetings on the first week of September via the Internet with the companies wanting to meet up with me using the Tokyo Game Show website. 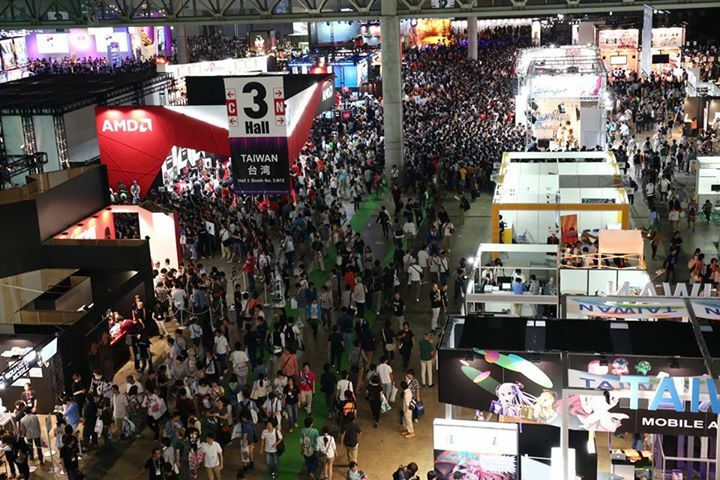 Since this was the Tokyo Game Show (TGS), I didn’t want to only showcase our services in animation, but I also wanted to show that we have worked for game companies and we are currently producing our own games. I planned to make a new presentation reel showcasing our works in animation, game art and sample of the game play of the games in production. 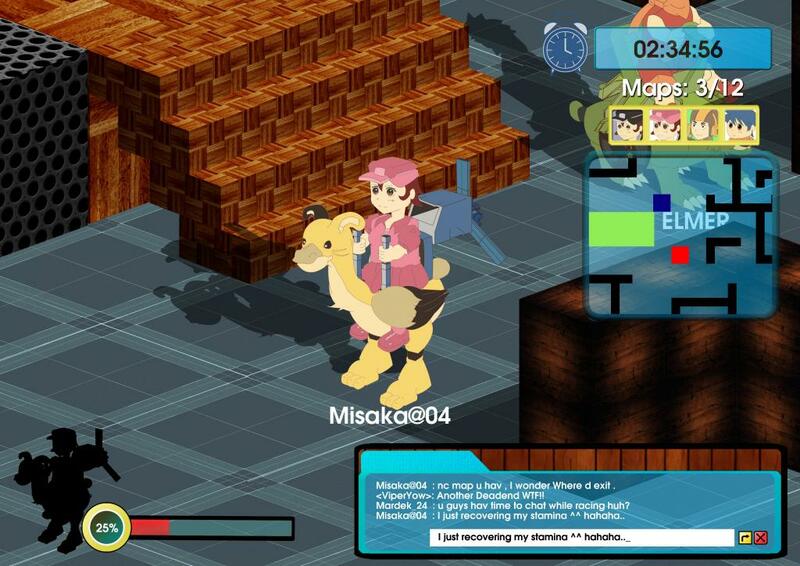 We have two games that already have a trailer and sample game play, via the Creative Collab Space. 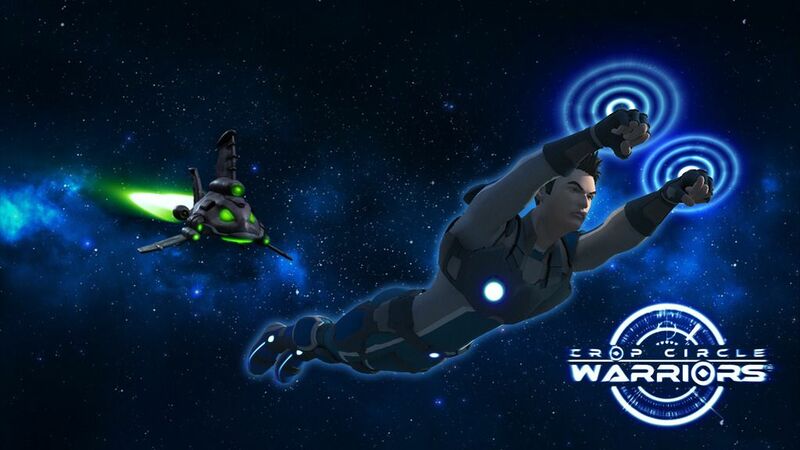 This was Grace’s idea where we could work with some artists who had game ideas and were willing to work with our animators and some intern programmers to make their ideas come to life. 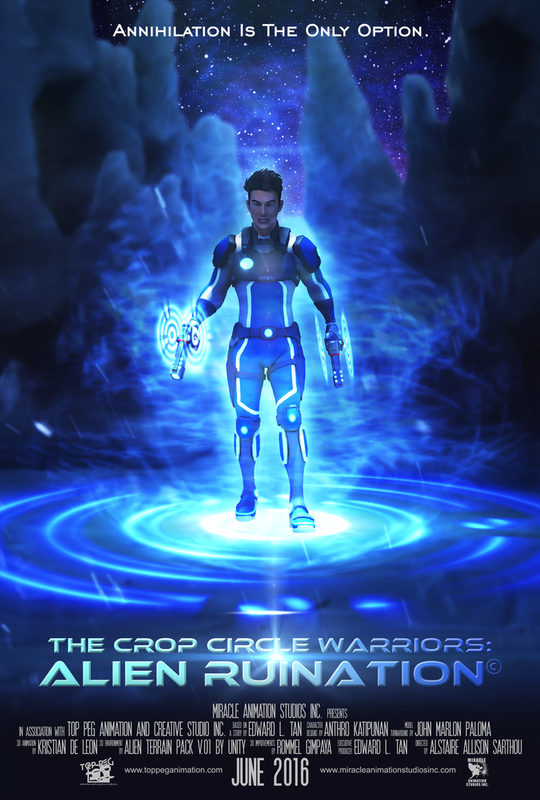 I also had the idea of making a game trailer for the “Crop Circle Warriors®” which is related to the “Jobert and the Crop Circle Warriors®” animation we are finishing. 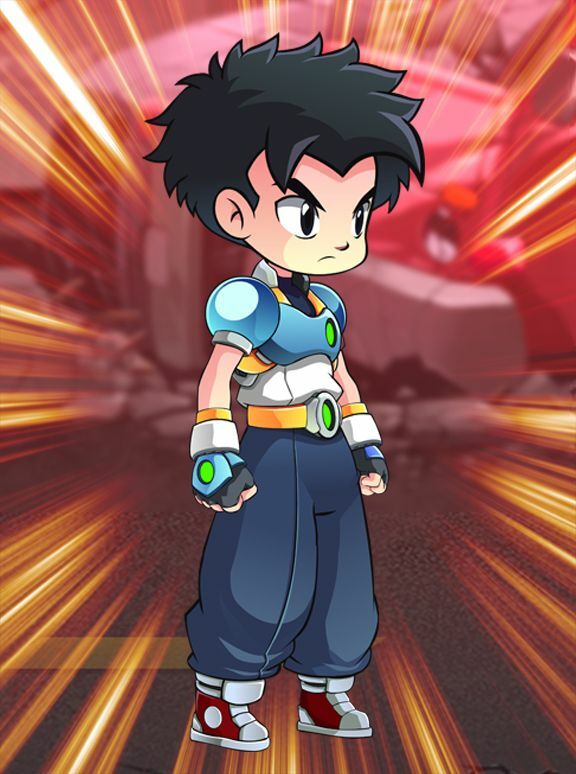 My idea was animate some game sprites for the characters then composite it together with a background, add some graphic interface elements and make it look like a finished game. 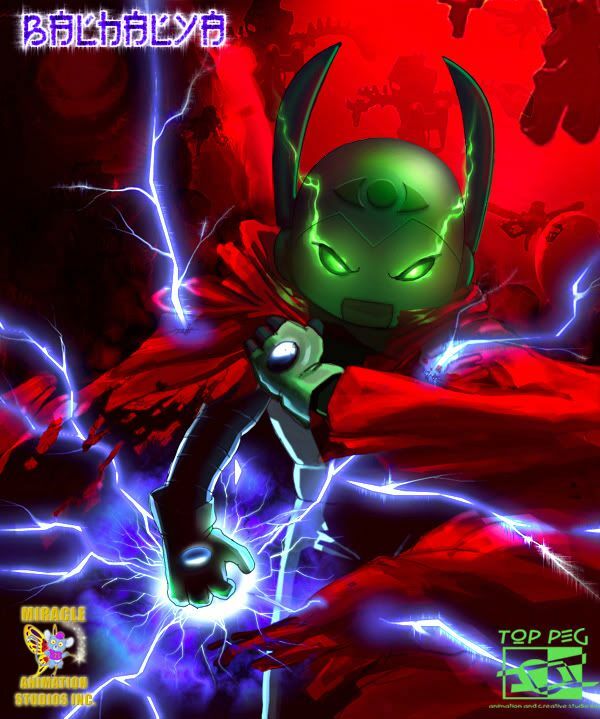 This would give the potential clients the overall idea for the game as well as market the TV series. So when Edward called one time at the office, I told him about it and he agreed with the idea. 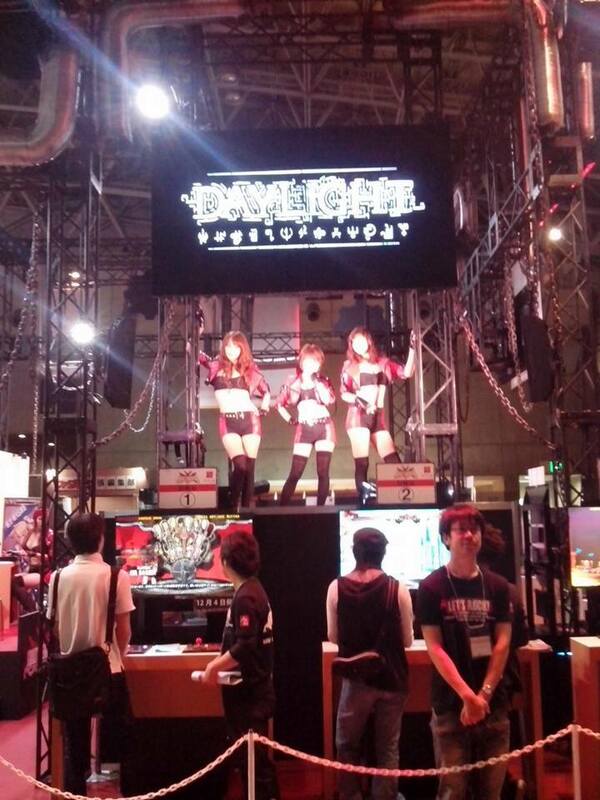 Below are the sample of the two games we have shown at the TGS. My problem was I had only a month to prepare for the trailer aside from the other responsibilities like teaching classes MWF, 9-11 am, finishing the animated series, supervising other projects ongoing at Top Peg. I also needed to design a poster for the booth, as well as prepare brochures and calling cards, have flash drives for marketing samples for serious potential clients. Although Grace had Edith and Tharine took care of the printing work, I still needed to design the poster. 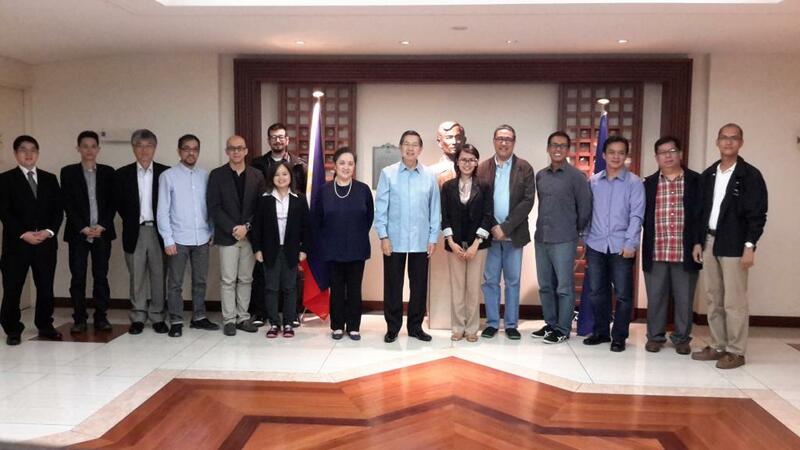 Last September 11, 2014, we had a participants’ briefing at the Center for International Trade Expositions and Missions (CITEM) where I got to meet the other delegates. 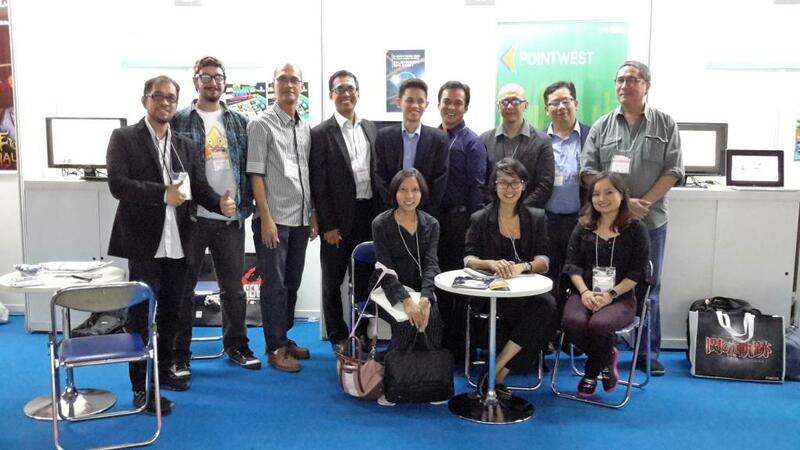 Everyone was there except for Mr. Rene de Guzman of Toon City (who was in Canada at that time) and Andrea and Juan Joseph of White Widget (who had a deadline at work). Ms. Jojo Flancia gave us some information about the event. 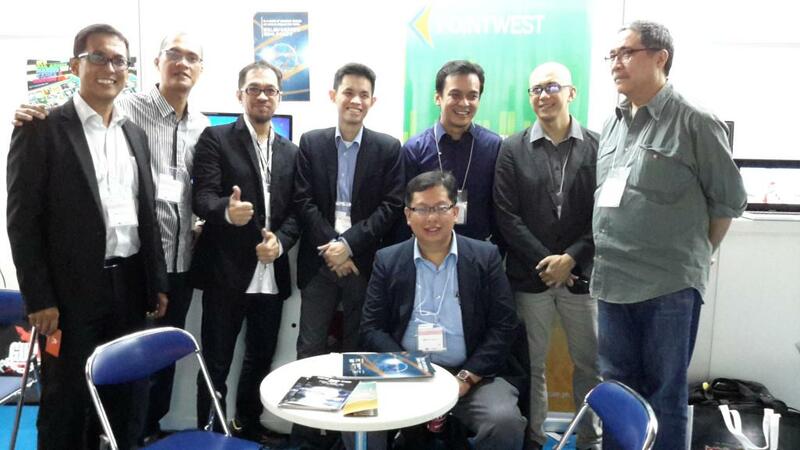 Last year we had 3 companies from the Philippines that shared a single booth, this year we have 7 companies with their own respective booths for free. Last year there were 300+ exhibitors, this year there are 700+. Last year there were 220,000+ visitors, and this year the expected visitors are 270,000+. 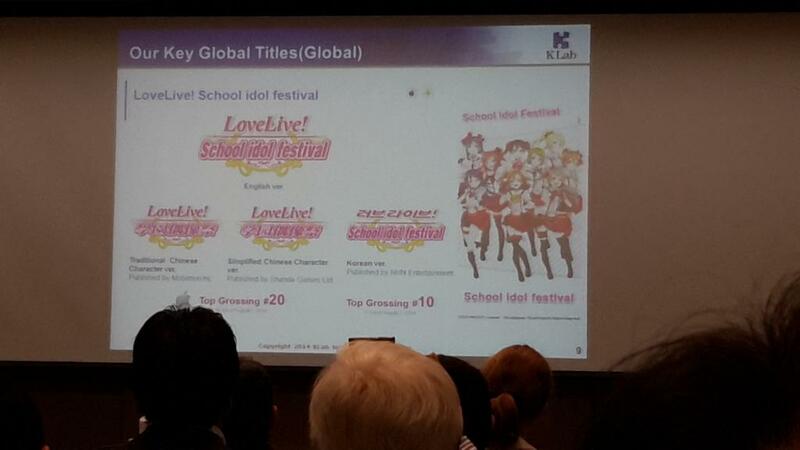 We also learned that our airfare, hotel accommodation and transportation allowance would be given on the 17th in Japan.We were also given maps of our hotel, our itinerary and other details of the event. 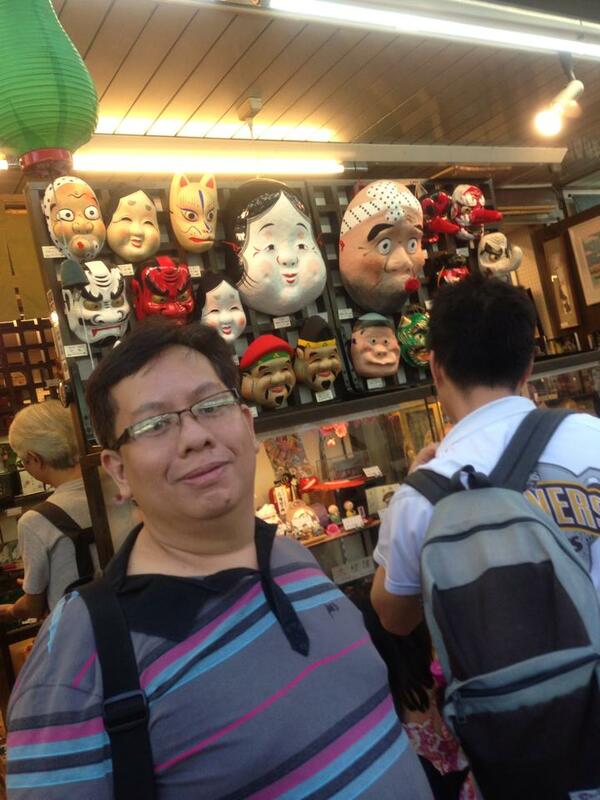 We voted Mr. Rene de Guzman as our team leader, even though he wasn’t present. Since he was the most senior and he had knowledge of the industry as a whole. 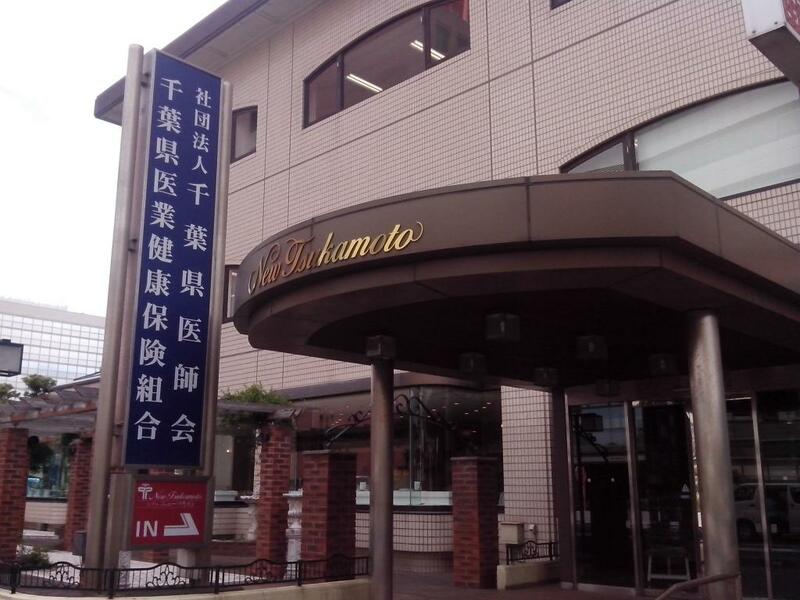 Using the TGS 2014 website, I was able to book at Hotel New Tsukamoto, about 9 minutes by metro train (not bullet train) from the Makuhari Messe Exhibition Hall. I wanted to book at a hotel near the venue but unfortunately, all the hotels in the area of Makuhari were already fully booked. 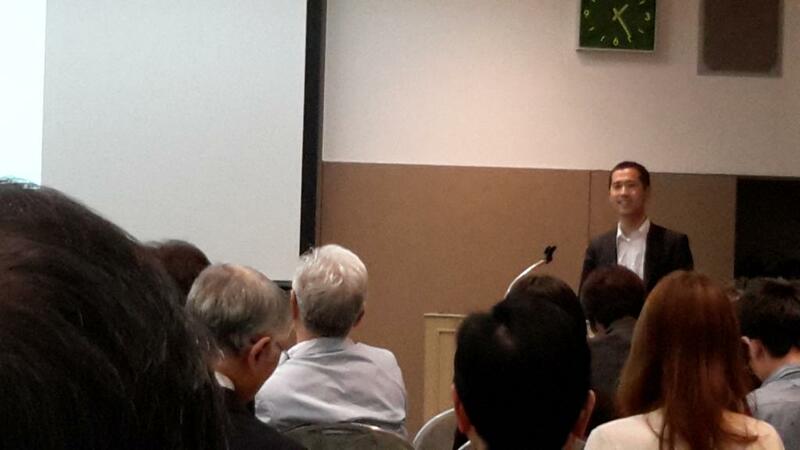 I was glad to know though that among the delegates, I was booked the closest to the venue. 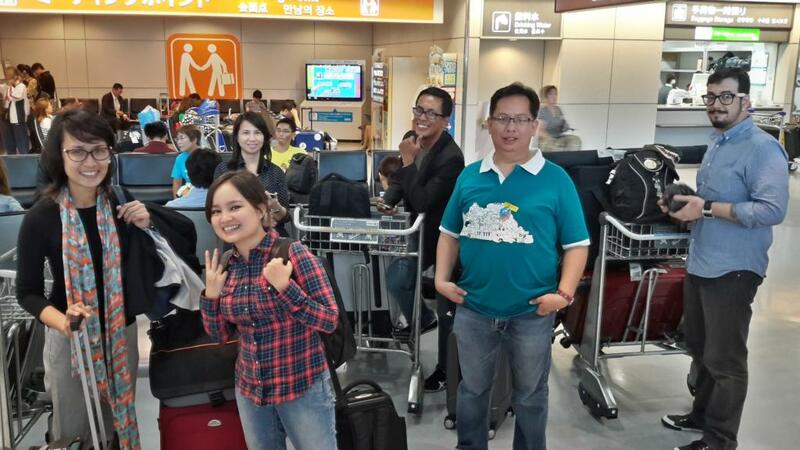 Jojo (CITEM), Danny (Team App) and Dinio (Secret 6) were booked at Hotel Soga about 15 minutes away and the rest from White Widget, Pointwest and Funguy were booked at APA Hotel, 45 minutes away by train. I also already booked my air plane ticket even though I didn’t have my Visa yet, because we were still waiting for some documents from the organizers, when I did receive them, I was able to get my Visa after 2 days from an agency in SM Southmall. 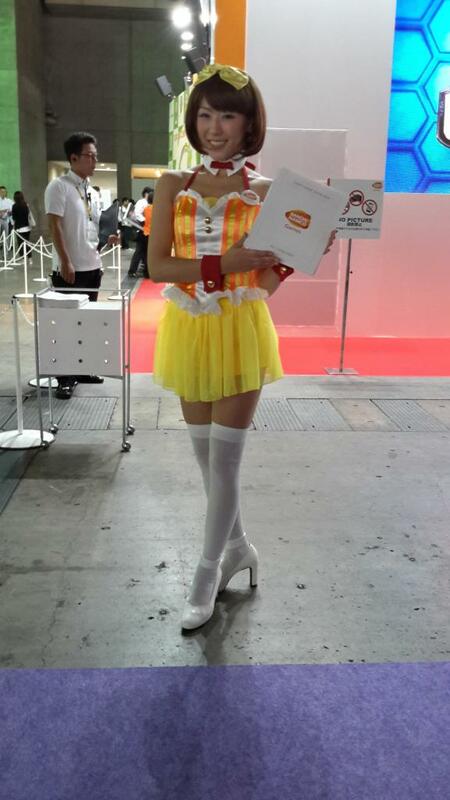 It was fast, maybe because the organizers were from the Department of Tourism in Japan. As if on cue, my calling cards, the posters and the demo reel I was going to bring were all finished by Monday afternoon, and everything was ready and I was set to go the next day (September 16). Later that afternoon though, a client from Guam walked in and he needed a video for September 17, so I had to help finish the video which I did, but finished about 1 am. I needed to leave for the airport by 4 am because my flight was at 6:46 am. So I only had a 2 hour sleep before I left for the airport, so it was a bit hectic. At the PAL airport, I met Mr. Alfonse Anglioto, of Funguy, I learned that Ms. Jojo had to change her flight from PAL to Delta, so it was just us to board the PAL flight to Narita airport. 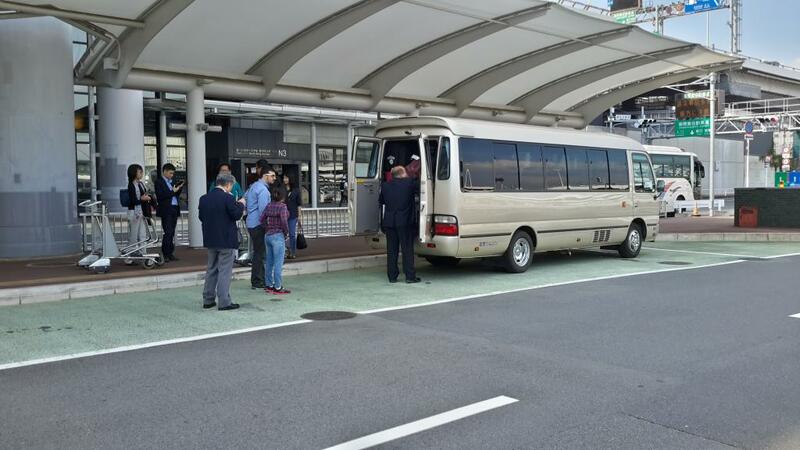 The plan was to meet up at Narita at 2pm, then we would be picked up by a van, courtesy of the Philippine Embassy in Japan; then meet the other delegates at the first Japanese company we would visit. 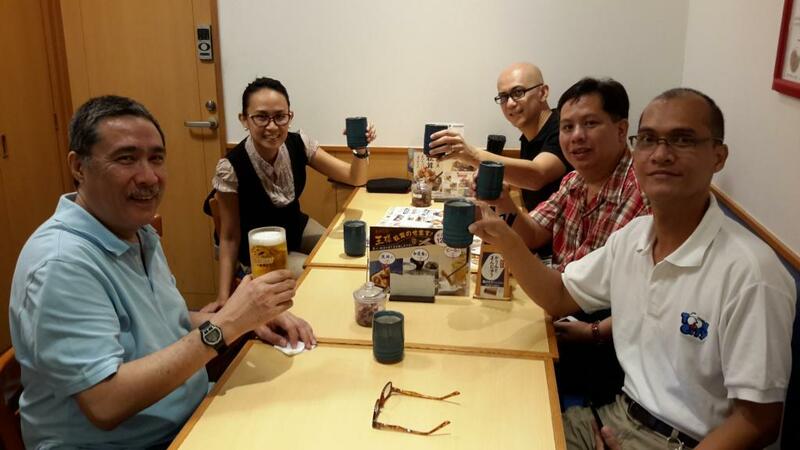 We arrived at 1 pm at Narita airport, where we first met Ms. Jojo and Mr. Hidehiko-san, who would be our guide. A few minutes later, Danny, Andrea and Joseph arrived. It was my first time to meet the guys from White Widget, and it was exciting to find out that Joseph would be wearing a costume for the 18th and 19th business meeting. We were shocked to learn that we didn’t have time to eat lunch because the distance to the first company was 2 hours away, our guide didn’t want us to be late because in Japan, some companies close at 5 or 6pm. 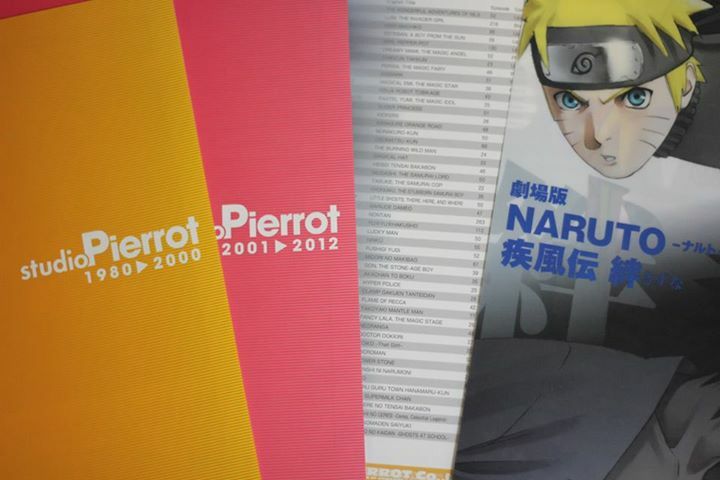 Our first stop was Pierrot, Inc., the company that produces Naruto, Tokyo Ghoul and Bleach. We were surprised to see that this big animation company still animated the traditional way, using paper and pencil. They only used computers for coloring. I was expecting that they would be using all digital tablets already. They said they are looking to transition to digital but they would be sacrificing the time for their production. We also noticed that there was no noise, no music, no talking. We asked the director if the artists were allowed to talk with each other, he said, not during office hours. We passed by a conference meeting, and the people were all whispering in the meeting. It was surreal, we jokingly said that a Filipino might not be able to survive in that kind of environment. 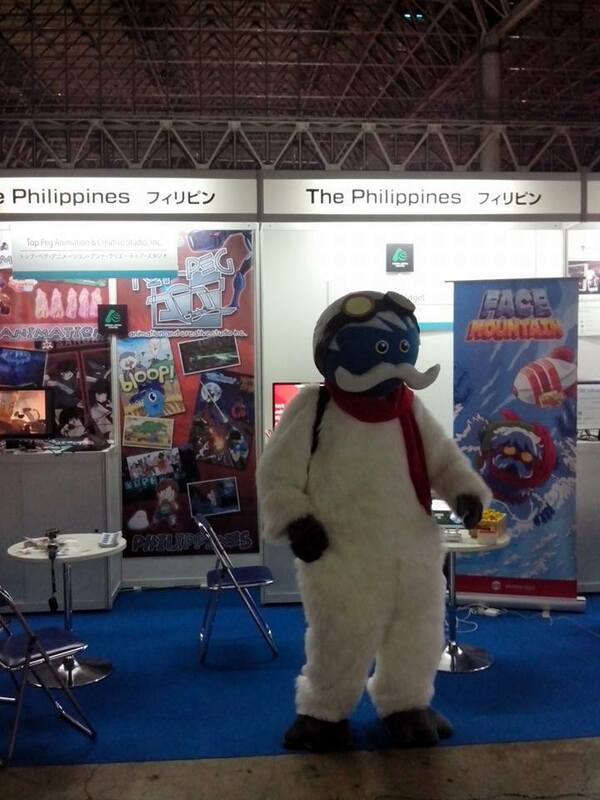 We also learned that they knew of only 3 studios in the Philippines, TOEI, Fil-Cartoons and Philippine Animation Studio Inc. (PASI). 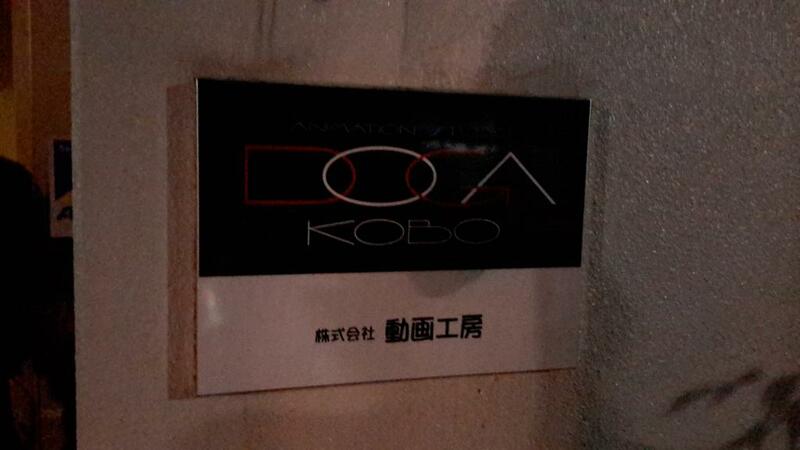 The next company we went to was Doga Kobo, an animation company that worked as a sub-contracting studio for TOEI animation since the 1970s. 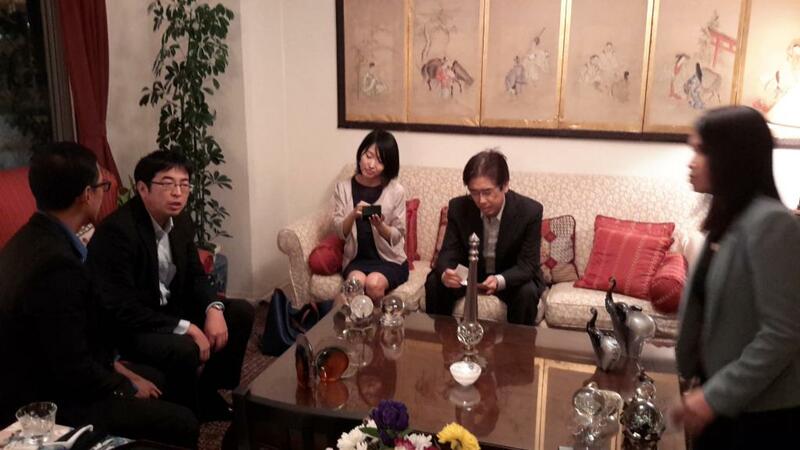 Here we met the young president Mr. Ryo Ishiguro and wacky Project Developer/Animator Hiramatu-san. 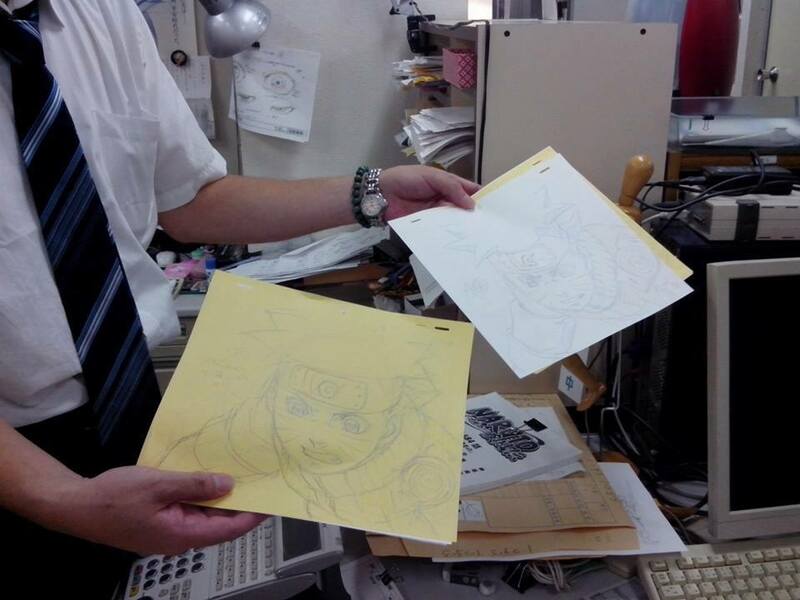 Same as with Pierrot, they were also doing animation the traditional way. 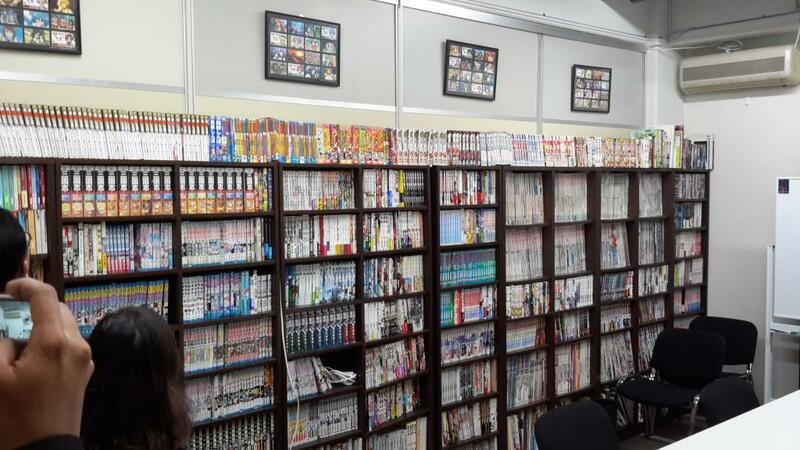 What impressed us was their library, they had Manga and magazines about Japanese animation from the 1970s. 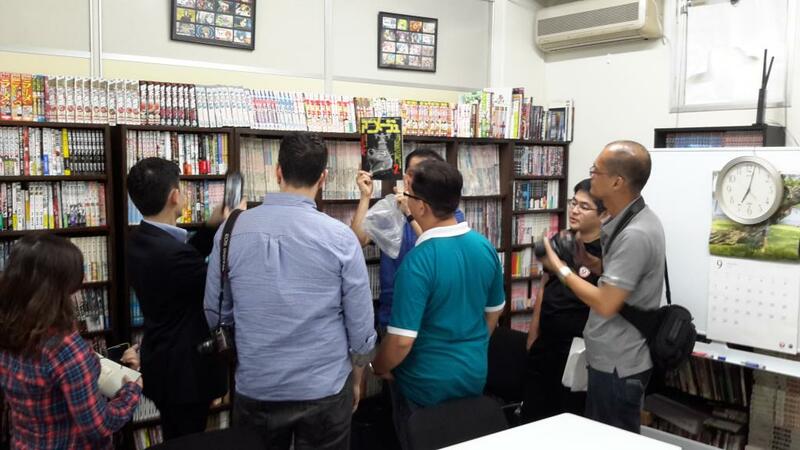 We were able to checkout a magazine that had Yamato (Starblazers) being introduced as well as robots Grandizer, Danguard Ace and Great Mazinger. Their oldest issue was 1978, but Voltes V and Masinger Z were older than that year, so we were a bit sad not able to see copies of our favorite robots. As we were looking at the magazines, we were transported back in time as we were reminiscing our childhood. 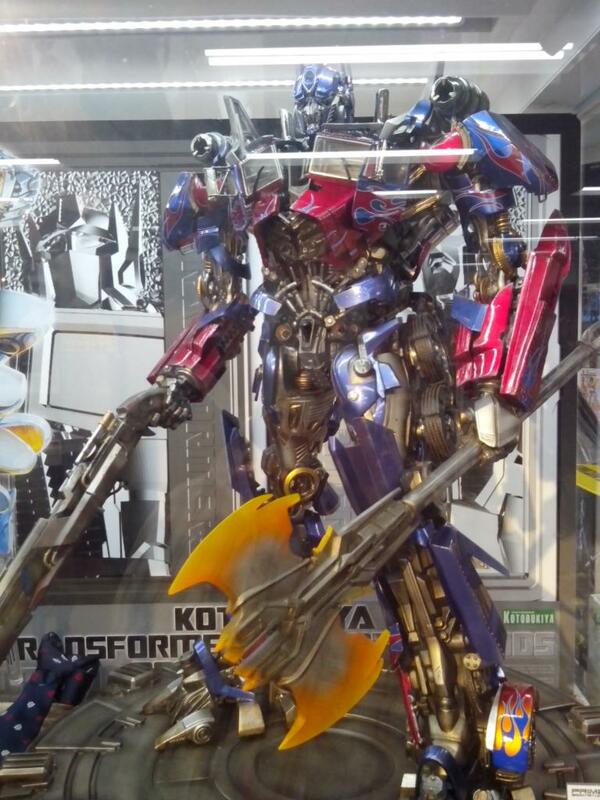 They also had an area for acting, they had props to simulate scenes so they could visualize it when they draw. 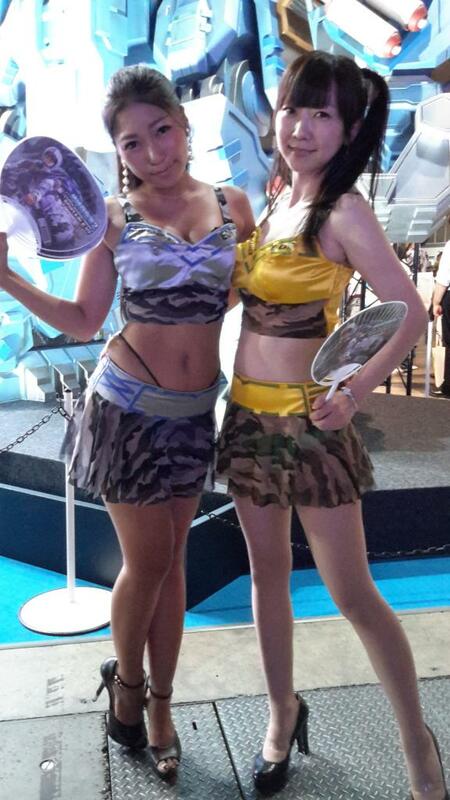 We also learned that they have been outsourcing to Indonesia and Vietnam. We asked them why they didn’t outsource to the Philippines. They said that they didn’t know that there was an industry in the Philippines, but now they know. We are hoping that we could change their perceptions in the next few days. 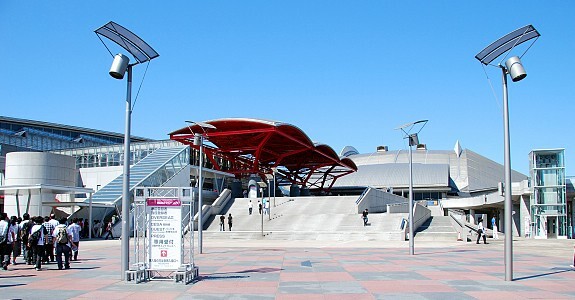 After the tour, we went to Makuhari Messe to do reconnaissance. We needed to know how far from the station was the venue, as well as how many minutes we needed to travel from our respective hotels. But before doing anything, we wanted to know the closest place where we could eat, after the tour we were all very hungry. We went to a ramen place, and we were excited for our first authentic ramen. The first thing we noticed was the price. 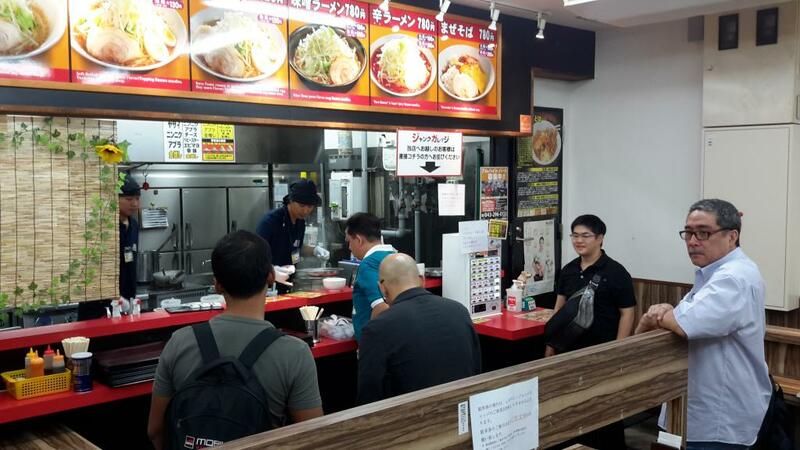 The cheapest order for ramen was about 600 yen or P264, the picture showed it had pork, veggies and noodles. The price was for a small size, as it says in the picture, there was a medium and large version also. We had to order via a vendo machine where there were pictures corresponding to the prices. We ordered by placing money in the machine and pressed the button of our order. Then we had to answer some questions from the waiter, it was a good thing that our guide was there to translate. The waiter asked what flavour of the soup we wanted, garlic soy or Misu. I chose Misu,then he asked what topping we wanted. 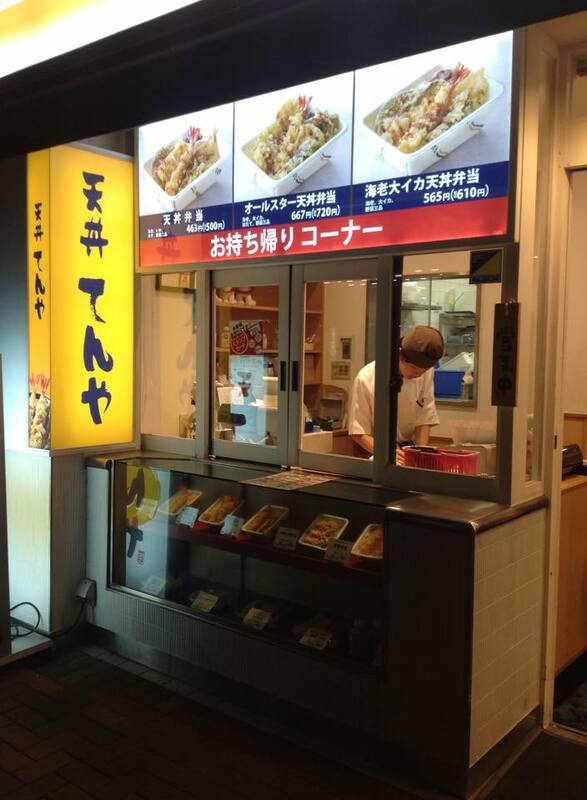 He showed 12 kinds of toppings, as I was choosing, he said we can choose all the toppings for the same price. And so we chose all the toppings. After a few minutes, we were surprised that we were served a big bowl of ramen. It was 4 times the size of a bowl of noodles in Chowking. We learned that a small, medium and large size was not referring to a bowl size, but to the amount of veggies (Mung bean sprouts) that would be placed with it. The soup was good, but with all the toppings (mine had cheese, soft boiled egg, chili sauce, bonito flakes, nori and some mayonnaise) it was really rich, that I wanted some bread with it. None of us was able to finish our bowl. 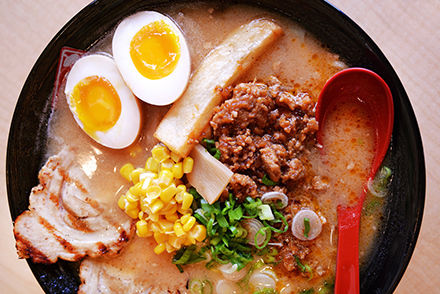 Some of us didn’t want to have ramen ever again. After dinner we decided to go back to our hotels. 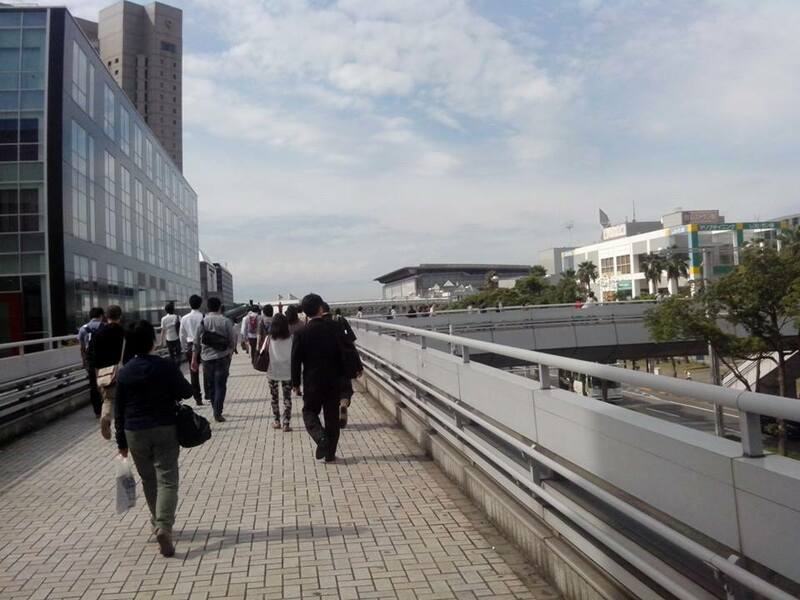 We learned that we needed to meet up the next day at 6:30 am at Makuhari Messe, because we had a courtesy call at the Philippine Embassy at 8:30 am. 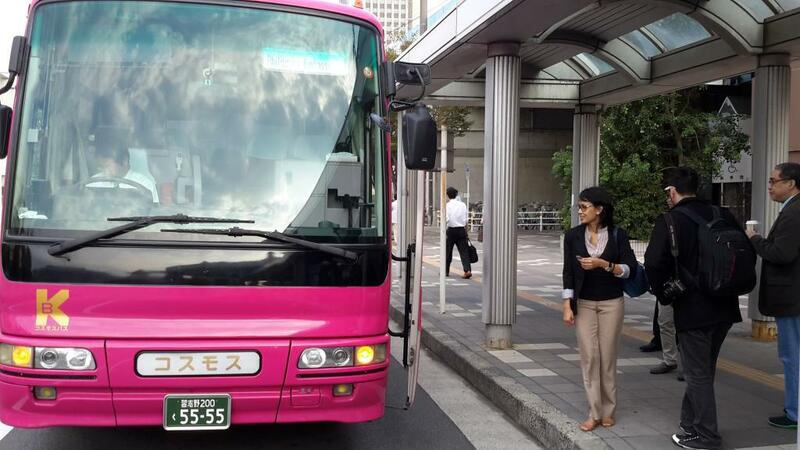 The travel time from the venue to the embassy will be two hours by van. I reached my hotel at 10 pm. The room was small but had a fridge, 23 inch TV, a toilet and a tub. The toilet bowl had a digital handle to the right that had buttons that heated the seat, turns on 2 types of sprays with a control for the pressure for the spray. Wow! I also had a Kimono in the bed instead of a robe. The view was just another hotel across the street. After quickly checking all the Japanese channels, I immediately went to sleep. The alarm didn’t sound off…it was 5 am and I had to hurry. 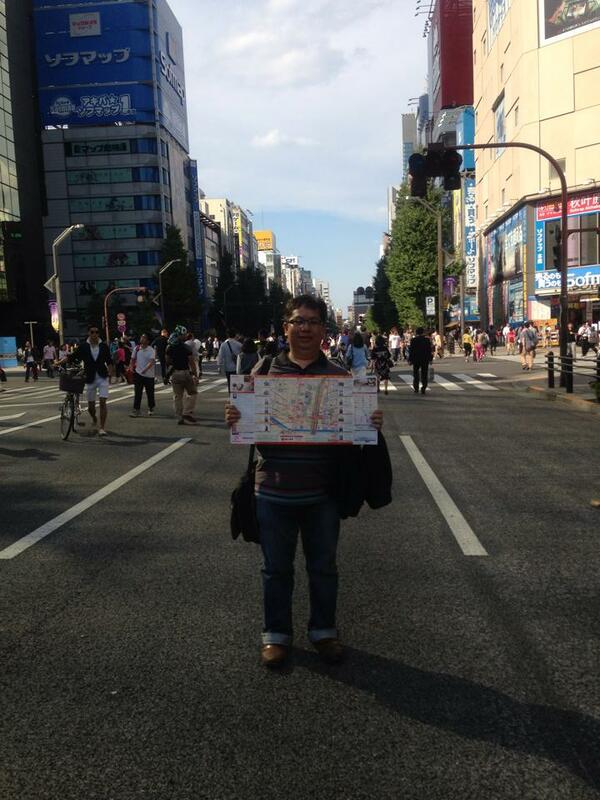 Thanks to Niño, a young Japanese interpreter who accompanied us yesterday told me about the train schedule. Niño is married to a Filipina who works at the Philippine Embassy. 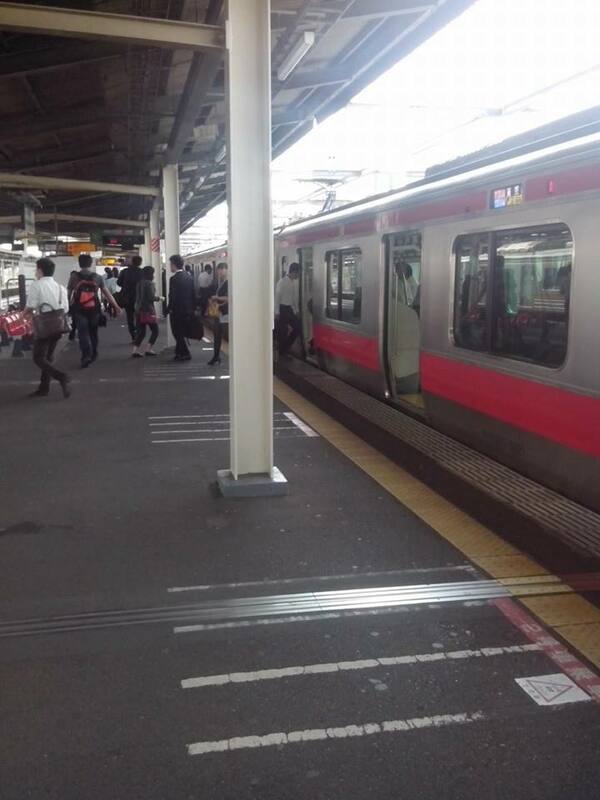 I needed to take the 6:09 am train to make it at the appointed time at 6:30am at Kaihim Makuhari. After a hot bath and no breakfast, I was at the train station at 6:00 am. The train was right on the dot and everyone was there already at the station. We all went to the nearest convenience store for some bread and coffee, and at exactly 6:30 am the bus arrived. Our first stop was a courtesy call at the Philippine Embassy, which was based in Ropponggi, a place where most Filipinos hangout. 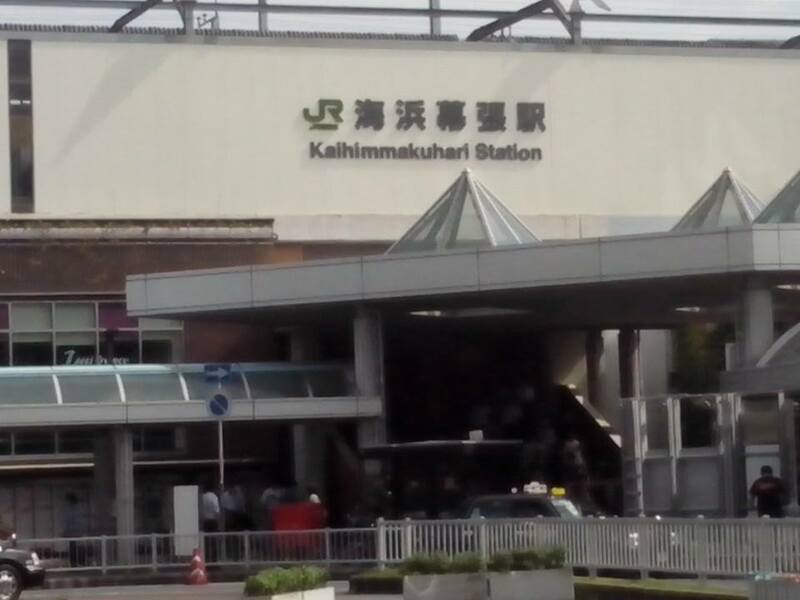 The drive was 2 hours away from Kaihim Makuhari. 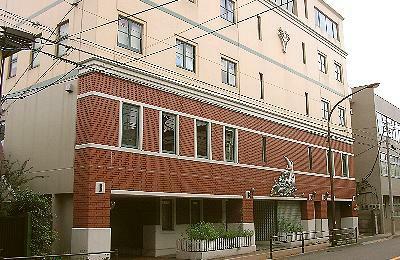 When we got to the embassy, we noticed that the Embassy building here was really big and very nice. 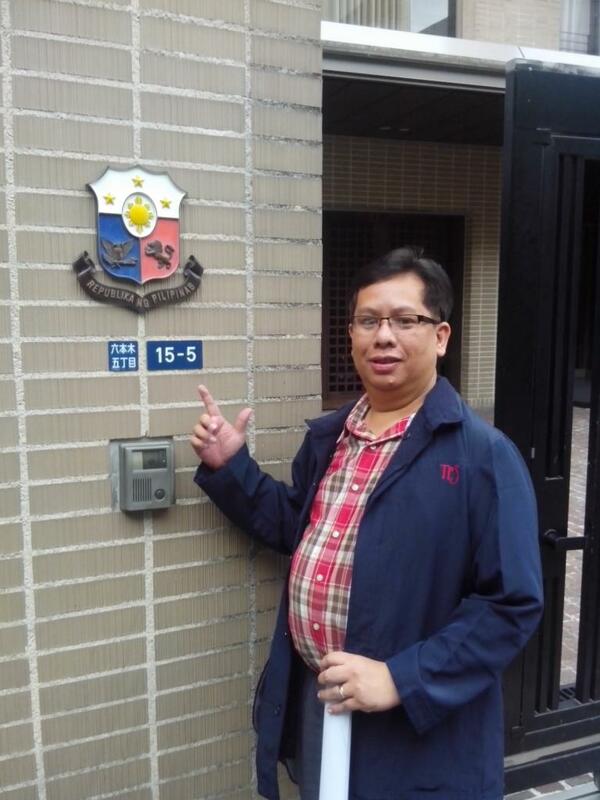 Rene de Guzman said that it was bigger than the embassies in Singapore and Canada. 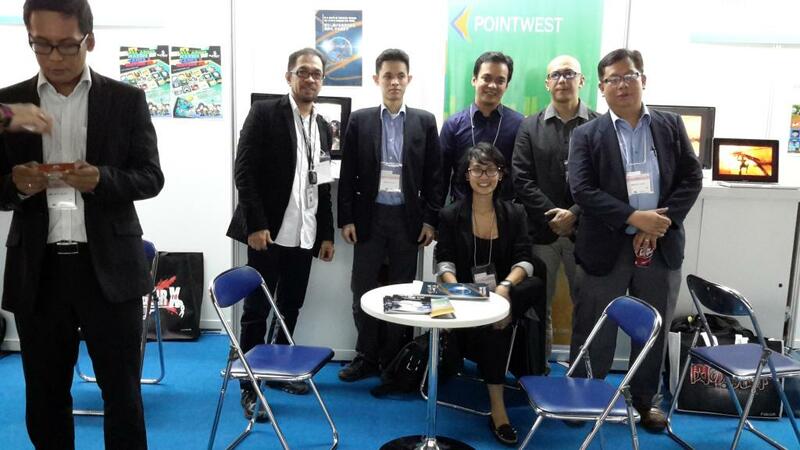 Here we met Ms. Dita Angara-Mathay, Commercial Counsellor at the Philippine Embassy. 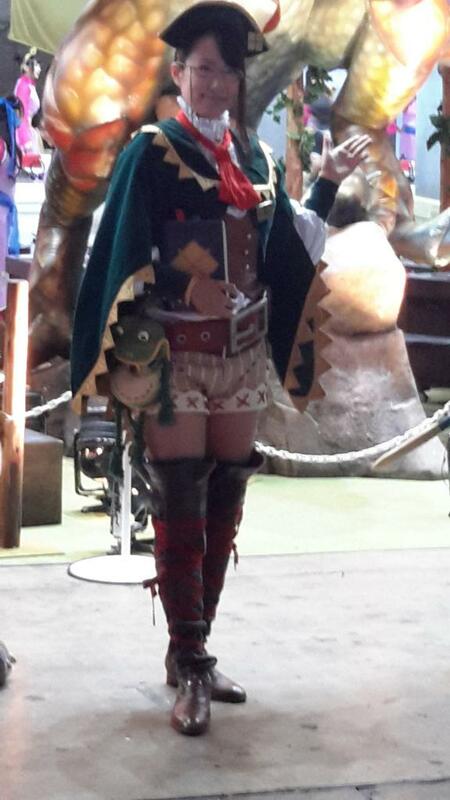 We also met Niño’s wife, but I can’t remember her name, nor was I able to get her calling card. 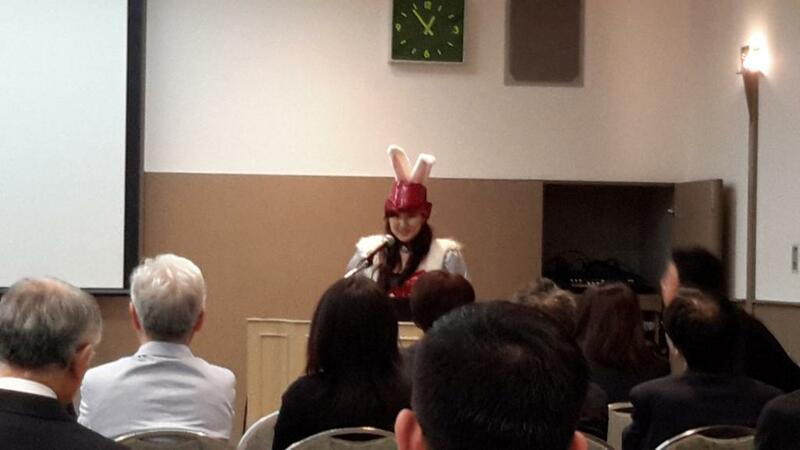 Ms. Dita told us how important this event was for them and for the Asean-Japan Center as well. 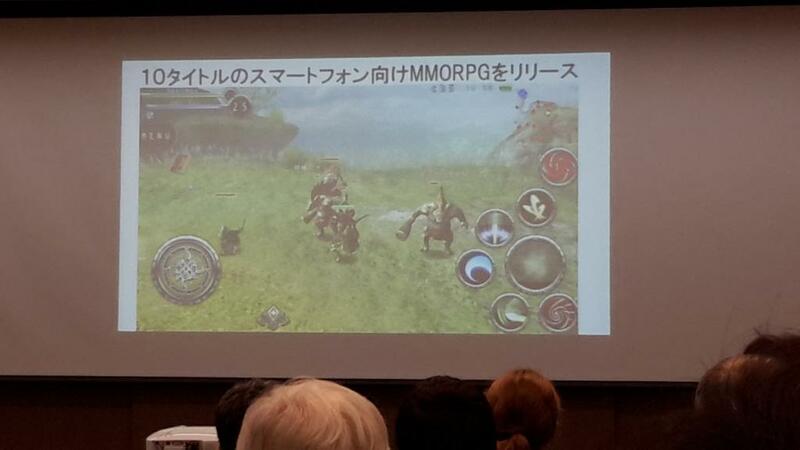 We were shown a clip of how big game development is in Japan. There were lots of opportunities that was open for us and she told us to make the most of it. After a few minutes, Ambassador Manuel Lopez arrived and gave some encouraging speech for the group. After a few pictures, everyone was lively and pumped up for our tour. 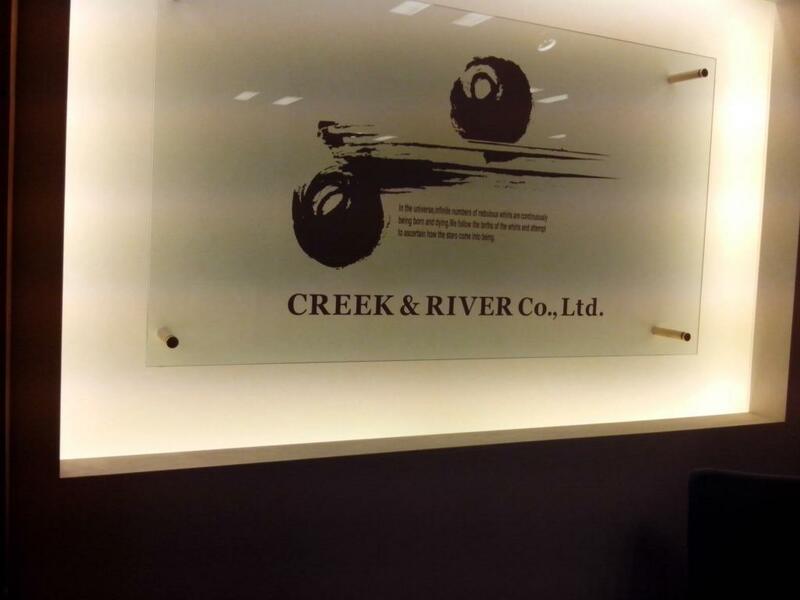 The first company we went to was the Creek & River Co., Ltd. 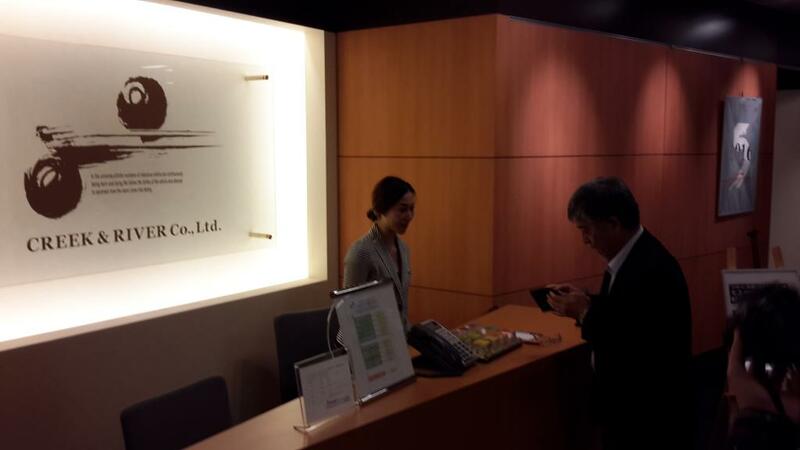 When we reached the lobby of their office, it was corporate looking, the same as some agencies here in the Philippines. 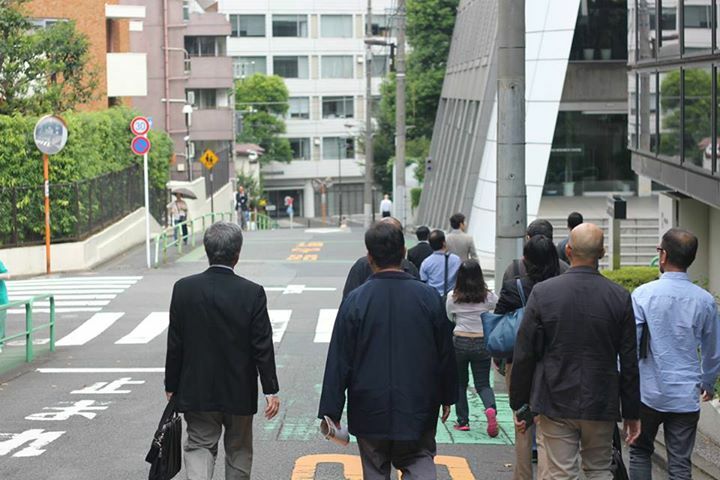 We met Mr. Yamada, who then led us to the back door of the building then out into the street. We walked about 5 minutes to another building and then to a large area with a lot of conference tables, this is where we had our meeting. What we learned about the company was that they were called a Creator Agency. 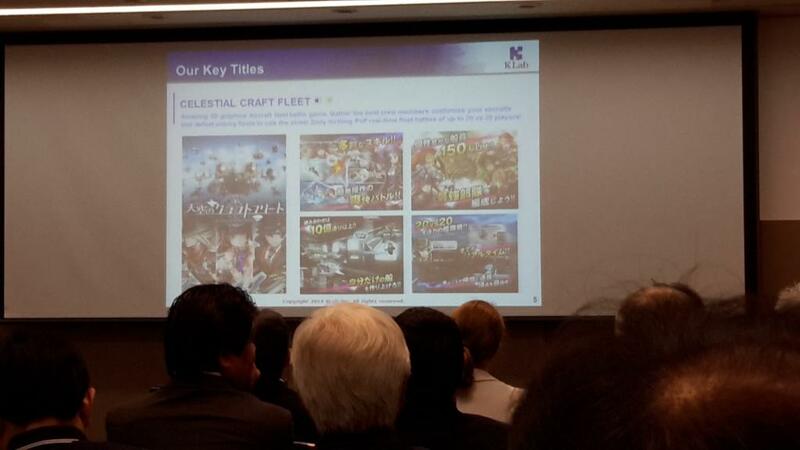 Mr. Yamada said that they have 60,000 clients in their library and about 1,000 projects in production. Basically what they do is offer the creator support to help finish some of the projects. In their library of creators and services, they handle TV, movies, advertising, web, e-books, publications, games, on-line videos and exhibitions. We learned that this was one big company. 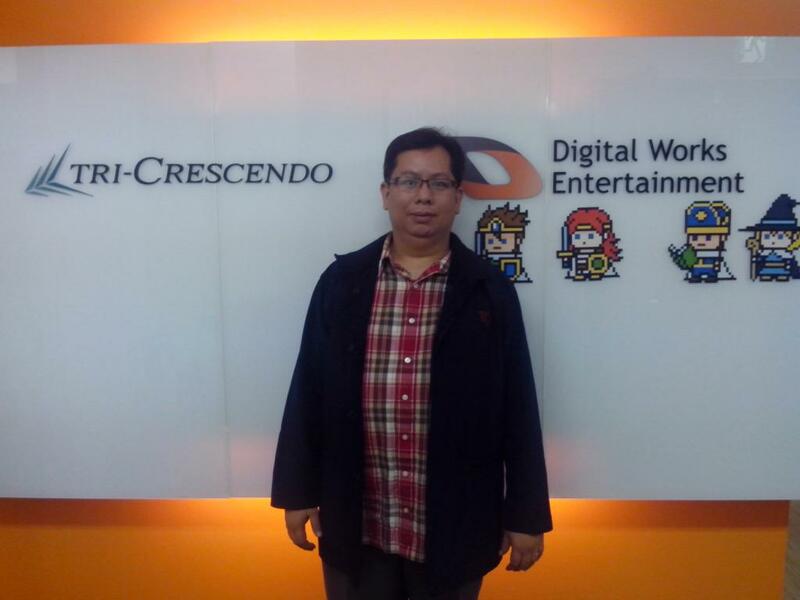 Our next stop was the Digital Works Entertainment, where we met Mr. Yoshio Higuchi, the CEO. 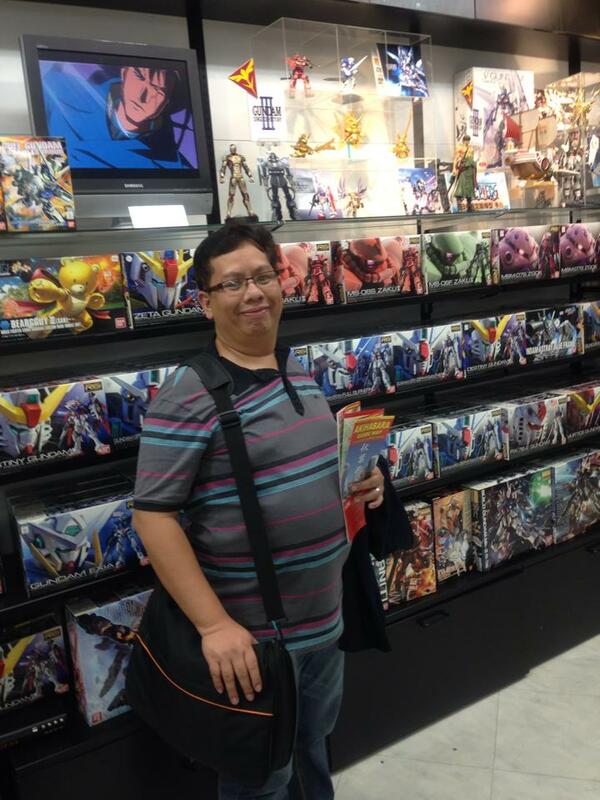 I remember that we met Mr. Higuchi in Manila last May 19, his company was one of the exhibitors then. 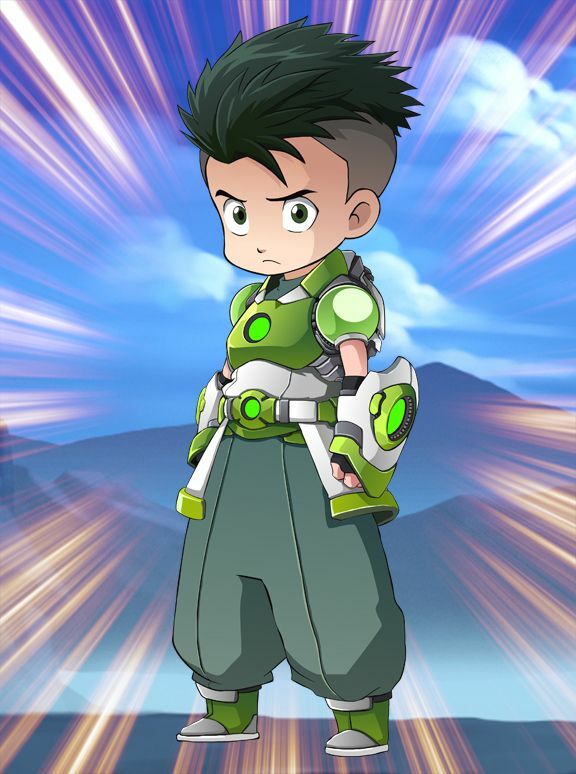 Basically, they handle animation and game development. It was a laid back office, not as big as Creek & River, but Mr. Higuchi had some nice things to say. He said, from what he saw, the Philippines had the talent and he wanted to tap that talent. 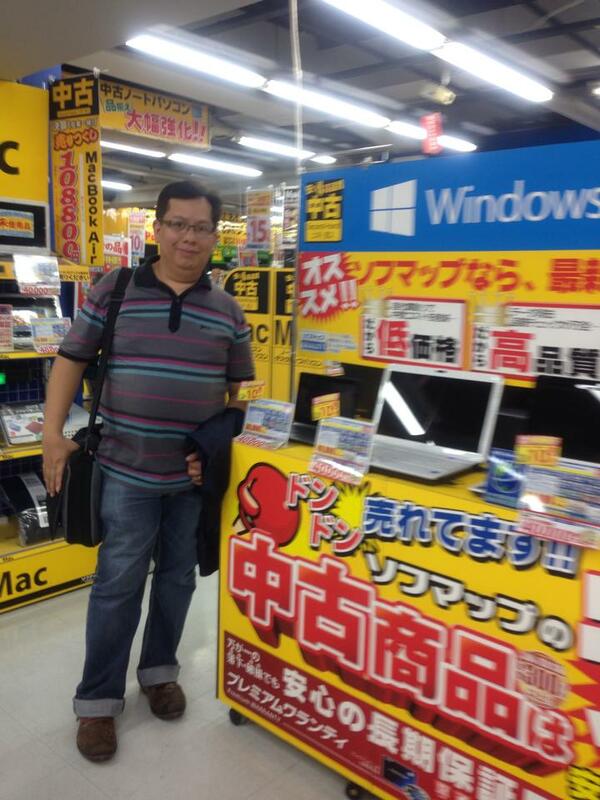 He explained to us that his company is willing to be the middle man for the Philippine companies to Japan. 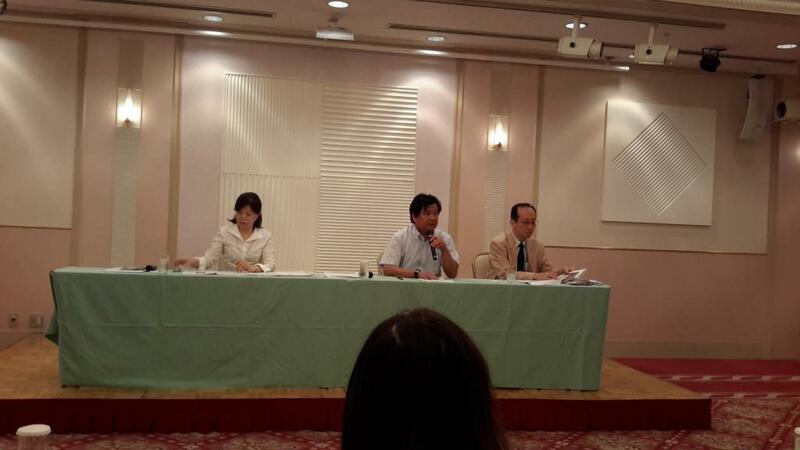 He also explained that the system in Japan is very different from the US. The Japanese don’t believe in contracts when doing business he says, they rely on TRUST. So if we will be doing business in Japan, we should follow this system. This made most of us reluctant, because we know if we do get into a partnership with a Japanese company, we would be dealing with large amounts of money. We were all enthusiastic though that his company was willing to help us negotiate with other companies. 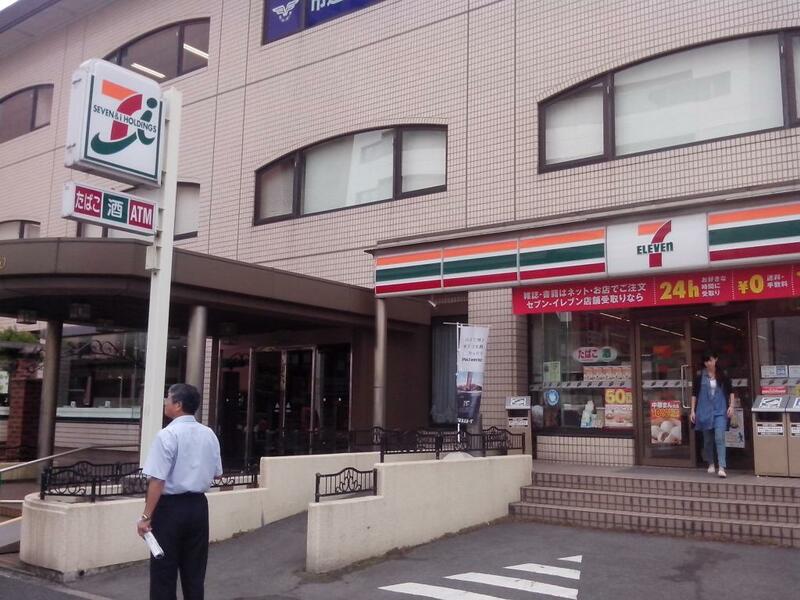 This might be the door to finally break into working with Japanese companies. 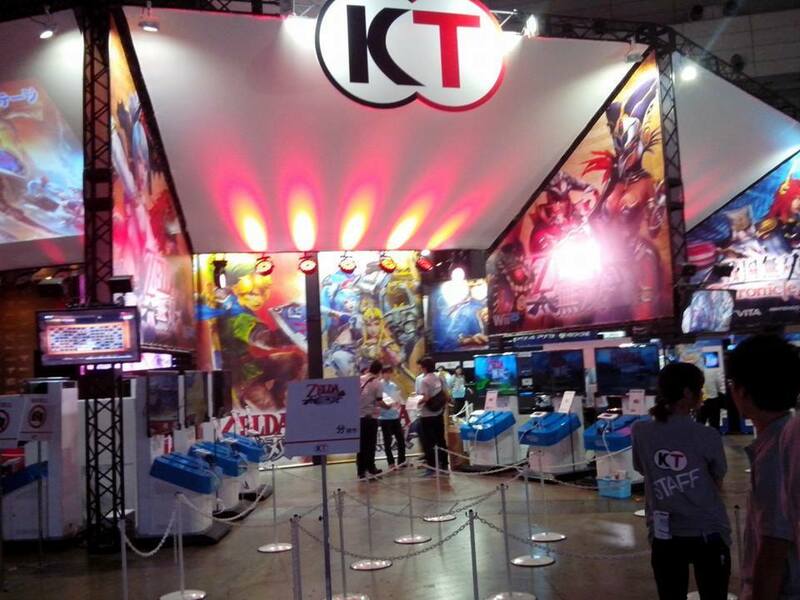 After the tour, we went back to Kaihim Makuhari for the orientation proper of the Tokyo Game Show. We were 15 minutes early when we got there, so we ran to the nearest restaurant for lunch. Others went for Pork Katsu Curry, again a large plate, while I searched for something familiar. I saw some rice topped with braise pork, a also a large bowl but I knew it would be good. 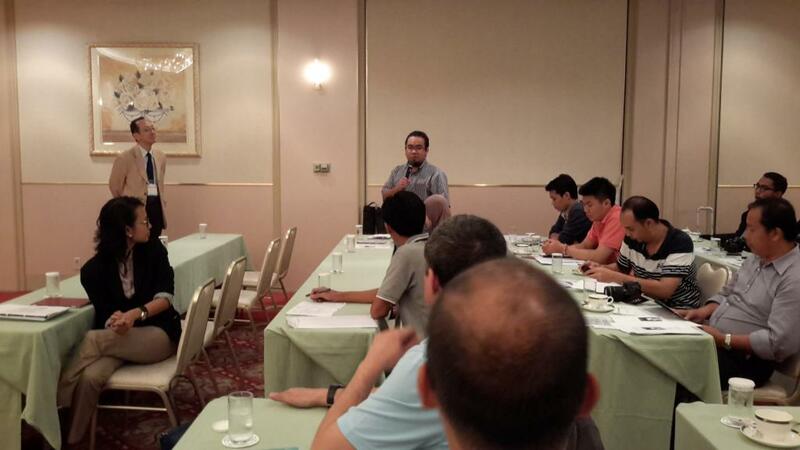 After quickly devouring our food, we went straight to the orientation at the Green Hotel. 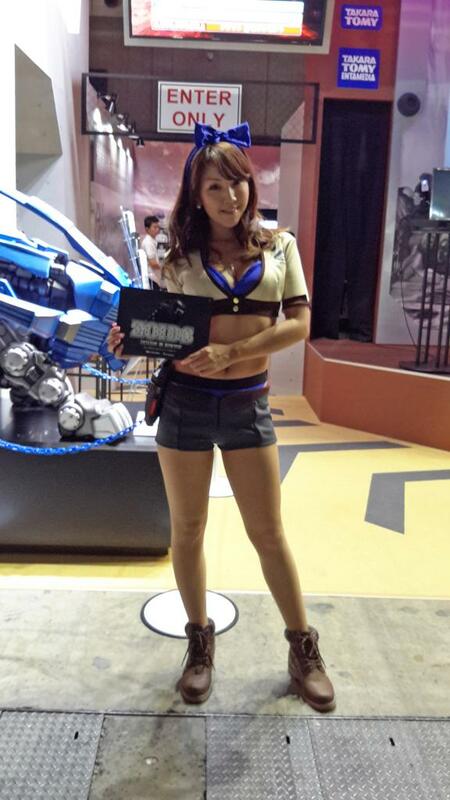 We met the other mission members from Asia. We learned that each country had 5 invited companies, except for Malaysia which had 10. 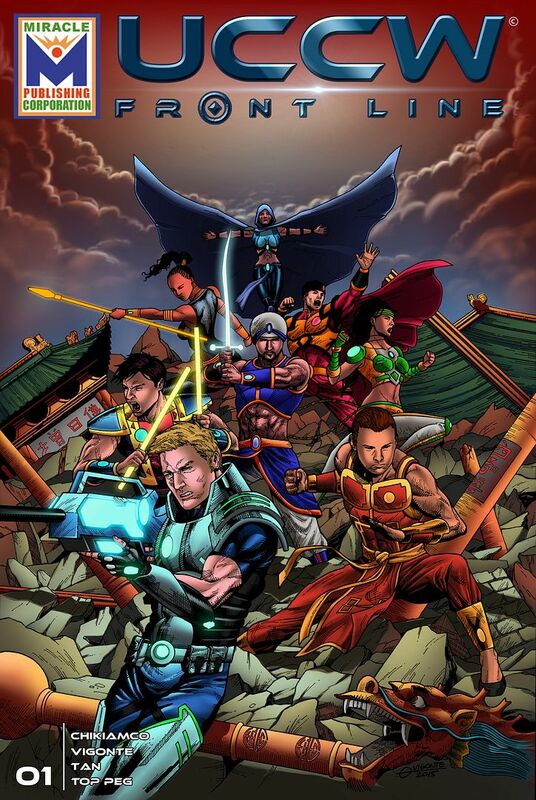 Brunei was only able to get 2 companies to join, so the Philippines was able to add two more companies to join the invitation from the original 5. We were given our exhibition tools like the schedule, badges and brochures for the event. 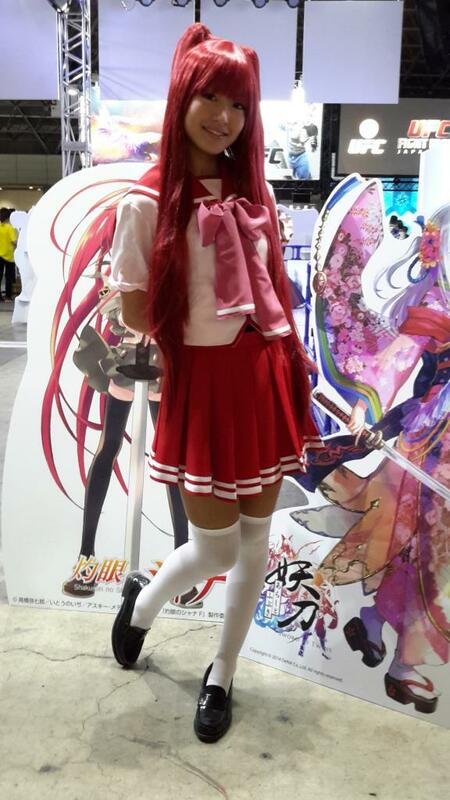 We were also told that we had to be at our booth at all times, and we should attend all the scheduled events that was prepared for us. If we missed any of these, they will ask us to return the subsidy that would be given to us. After the orientation, each company was called so we could receive the subsidy given in an envelope. 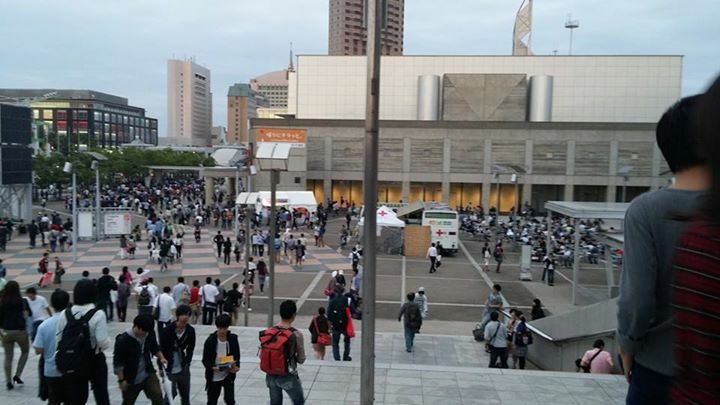 After this, we went to the Makuhari Messe to fix our booths. 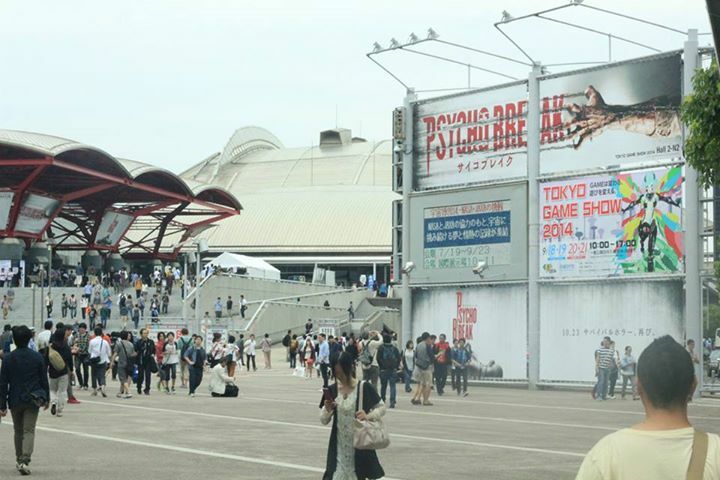 It will be our first time to go in the venue, and the first thing we noticed was how big it was. 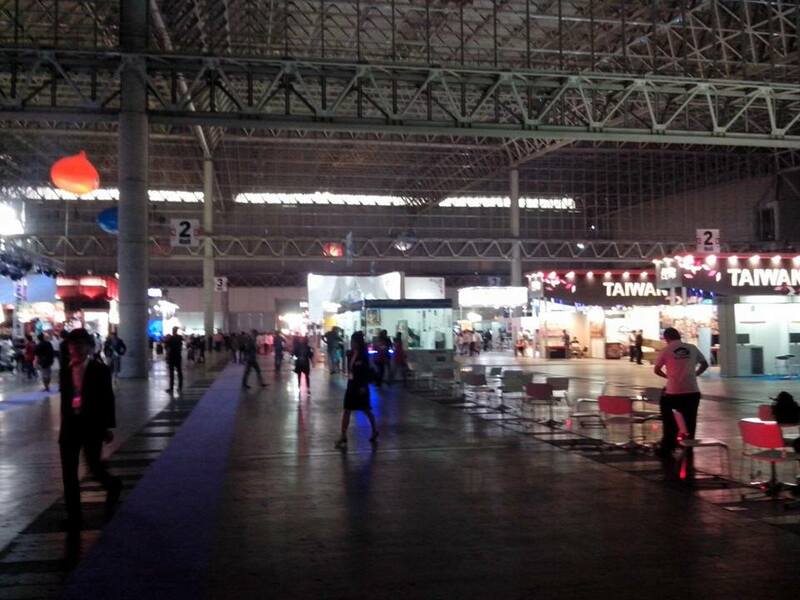 As comparison, it was like 3 times the size of the SMX Exhibition Hall in the Mall of Asia. 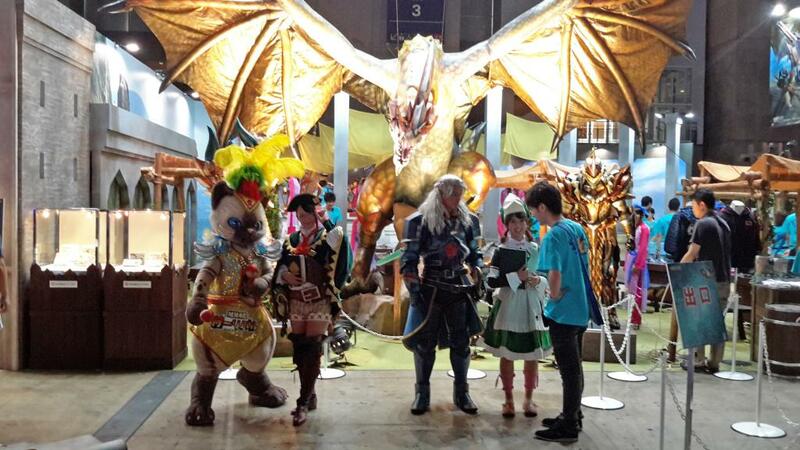 Our booths was the same with all the mission members. I was prepared for decorating, I had 2 posters made to the size of the panels and I had double sided tapes prepared. When I finished decorating, I am happy to to say I had the best looking booth from the Philippine delegation, and maybe for all the Asian New Stars area. One thing the other booths had though was playable games loaded into iPads that were place on stands for the visitors to test. 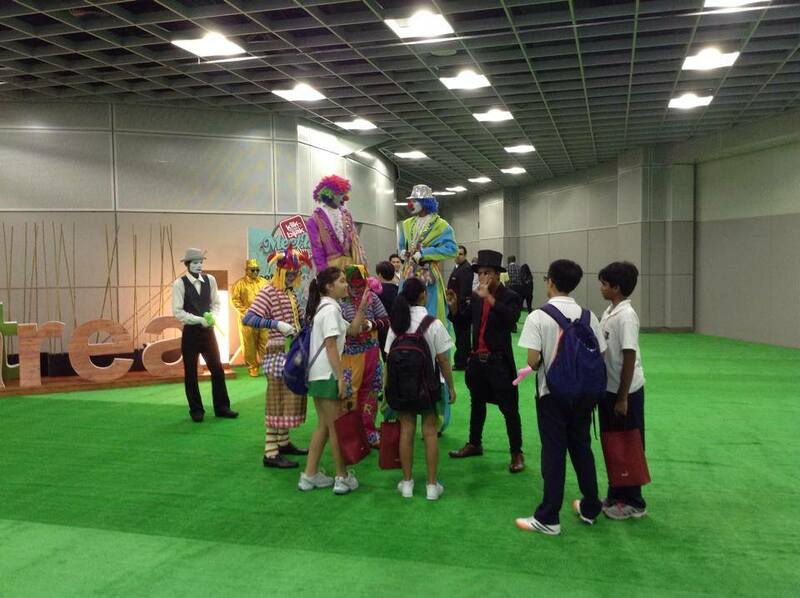 At exactly 5 pm, they announced that the exhibition hall will now be closed. All of us Filipinos then went to a nearby outlet store to window shop and check out what we could buy. 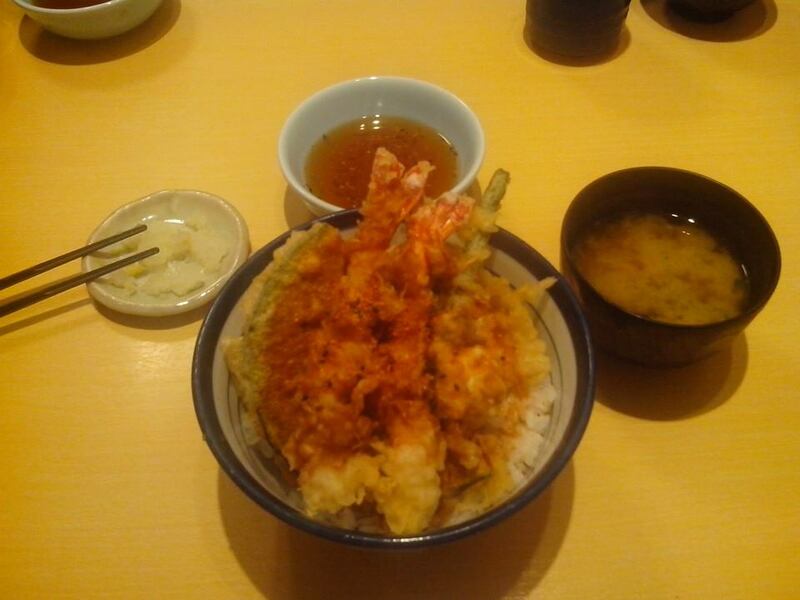 We also had our first Tempura meal, which was probably our best meal since we arrived in Japan. 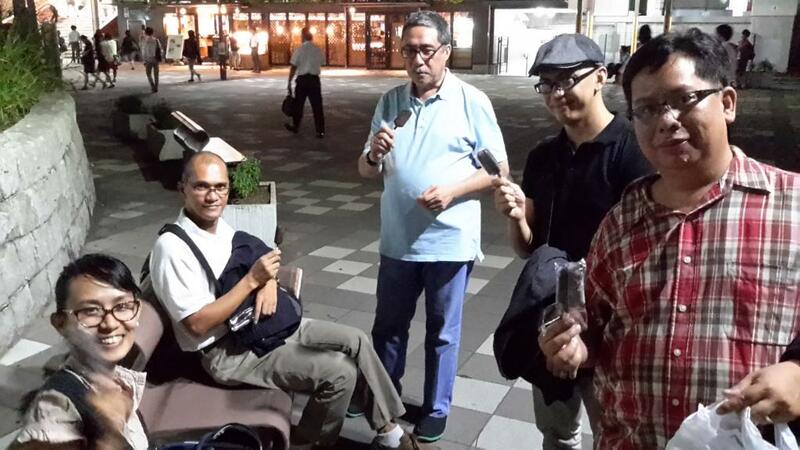 After a few walks around Makuhari, we had some popsicles from a convenience store. 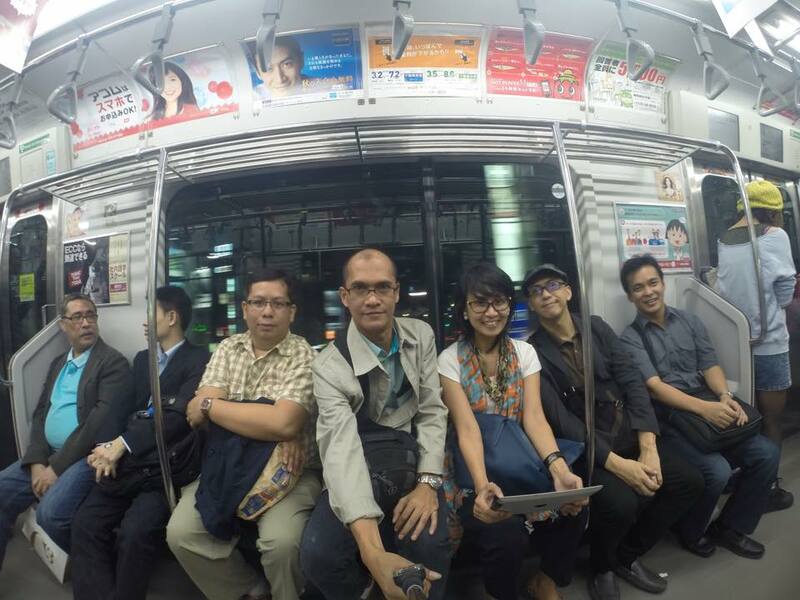 We then went our separate hotels via the Metro train and some via taxi. I had my first breakfast at the hotel. It was a small buffet which offered Misu soup, Japanese rice, noodles with bacon, sausages, scrambled eggs and smoked fish. 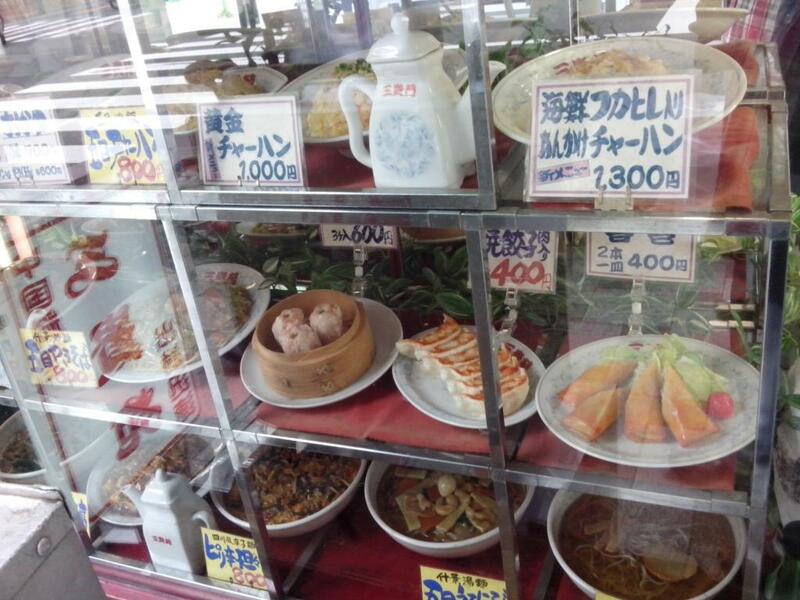 There was a salad bar, that had mostly vegetables and a drink bar where one can have different hot and cold drinks. After breakfast, I went straight to the venue. 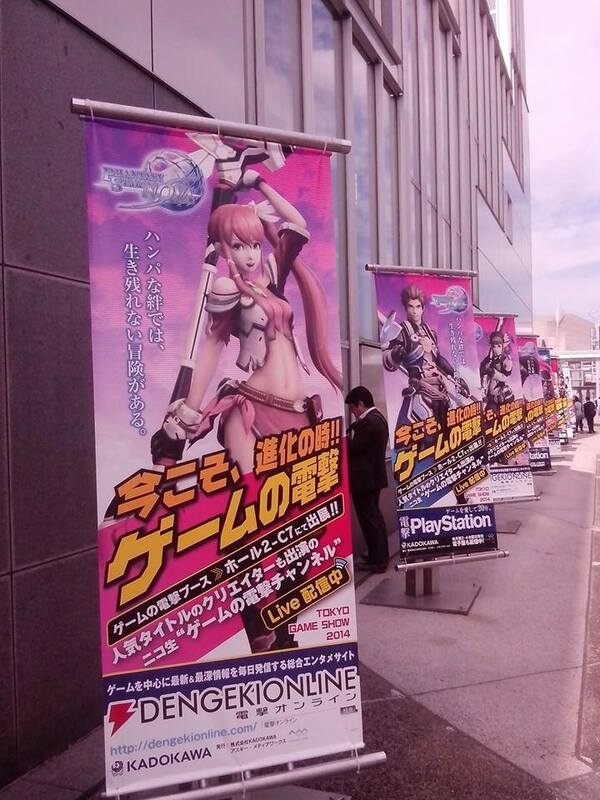 When I got out of the train station, there were some girls in costume giving away plastic bags with anime characters and some leaflets of the different companies participating in the Tokyo Game Show. 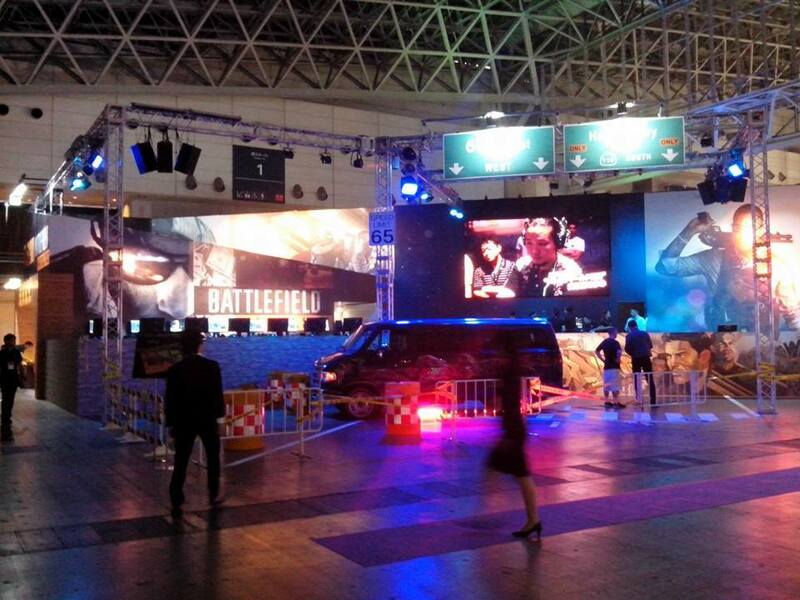 After a 10 minute walk, I was able to see the big awesome booths of different game companies. 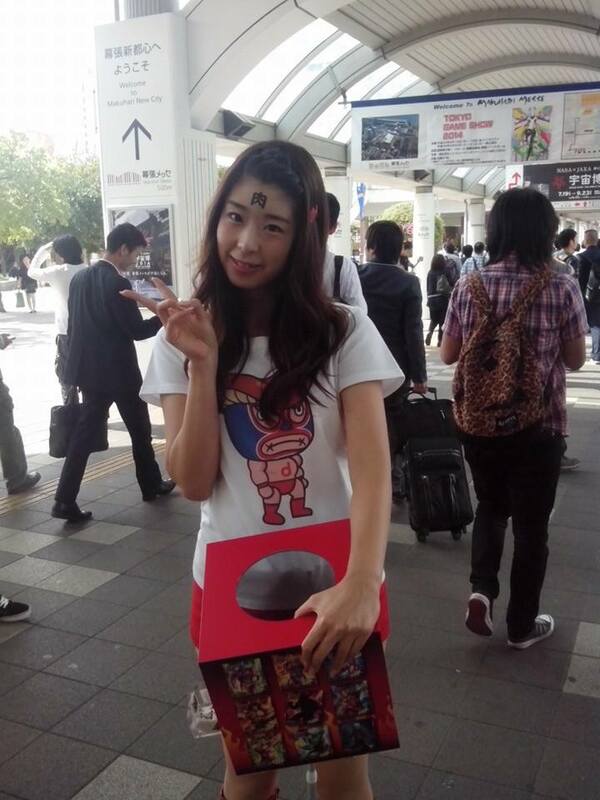 I was able to to get some brochures, fans, eco-bags and a few souvenirs for me to bring home. 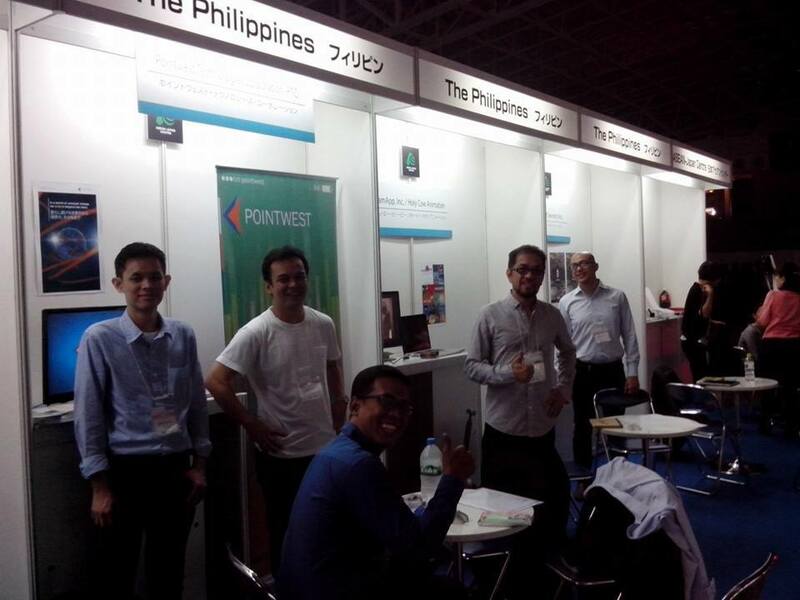 Being the first day for business matching, we were all able to meet some big companies, from Pachinko companies looking for content for their machines to big animation companies seeking to outsource to the Philippines. Doga Kobo, the company we visited when we arrived, visited our booths and this is where we really talked about what they needed and it was nice to hear that they were really interested and plan to visit the Philippines as soon as next month. 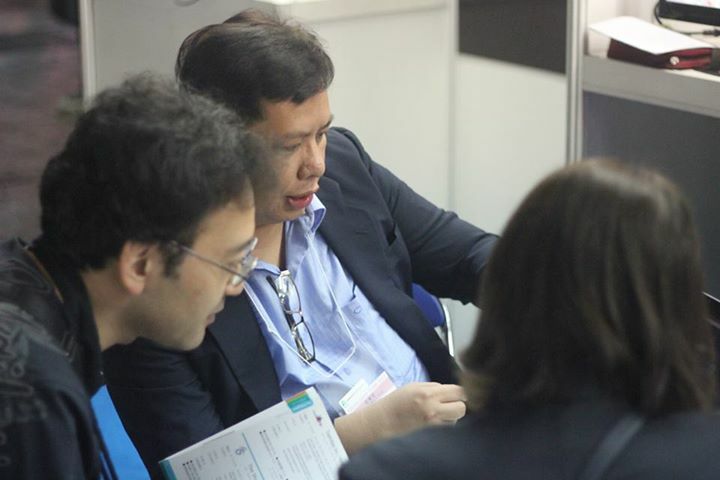 I was able to talk to 16 potential companies, and most of them were interested but only had one concern – communication. I assured them that we have some Japanese partners here in the Philippines that could help mediate between our companies. They were happy to know that and they were excited for us to follow up on what we have talked about. 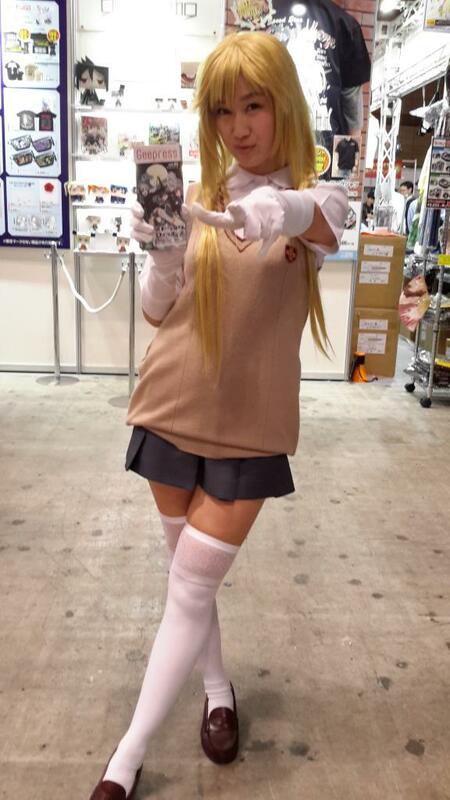 During lunch, I would go to the farthest convenience store, so that I could see and photograph the different booths at the show. 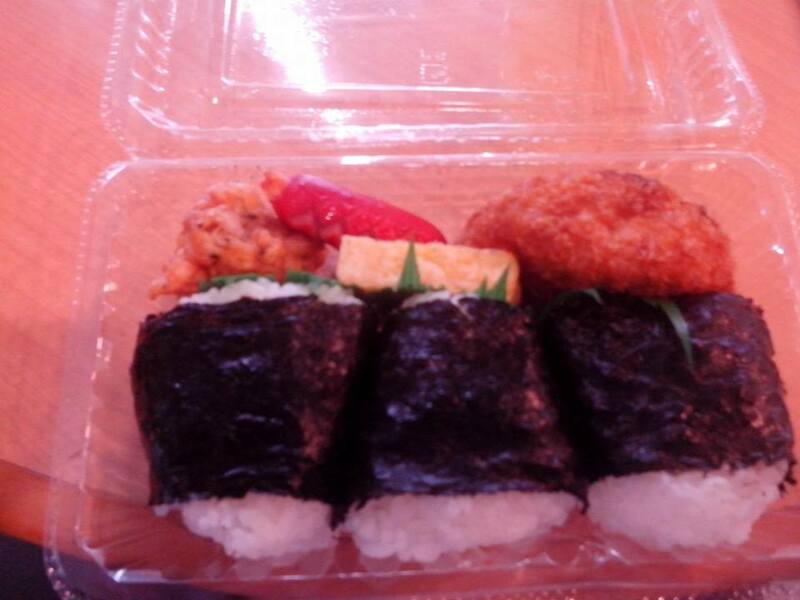 I ordered a small take out box, with 3 triangular shaped rice, with some meat toppings, together with a small sausage, small chicken, scrambled egg and potato katsu. It was cheap and filling, even for a small meal. 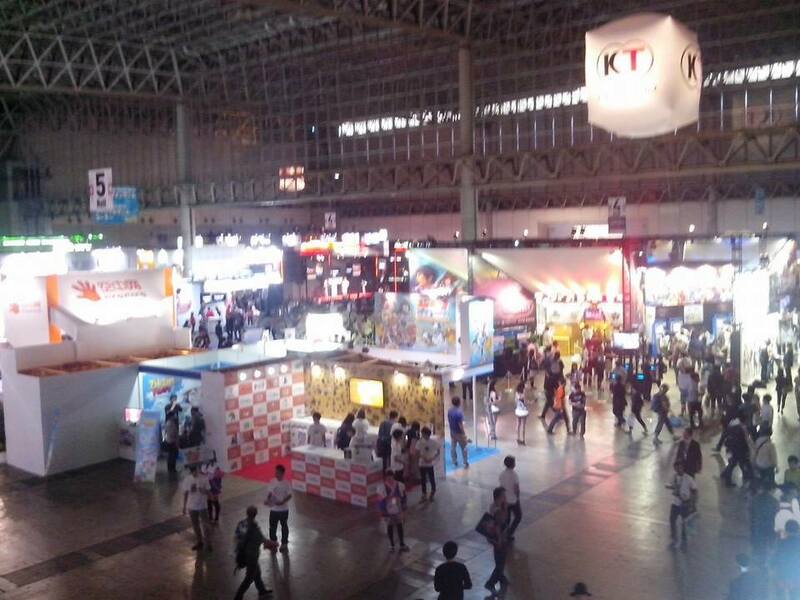 After lunch, I would pass the different booths again. 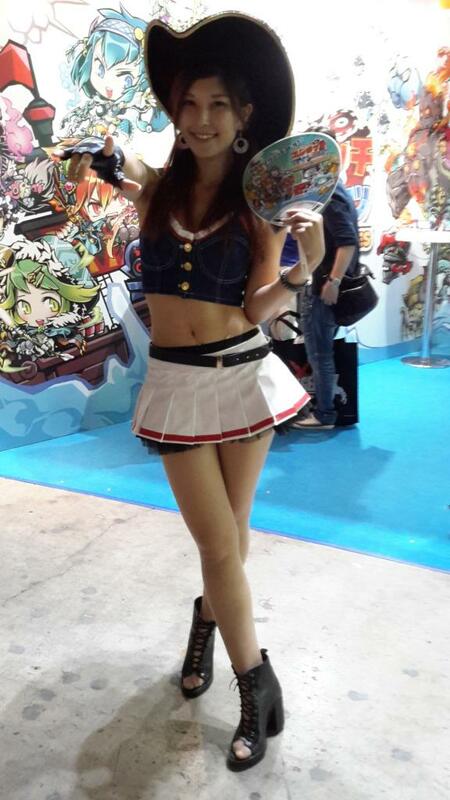 This was the only way I could go around, since we weren’t really allowed to leave our booths. After 5 pm we were then invited for dinner at Ms. Dita Mathay’s house. We were all excited and we were expecting that we would be able to sleep in the van, since were all standing at the booth for the whole day. 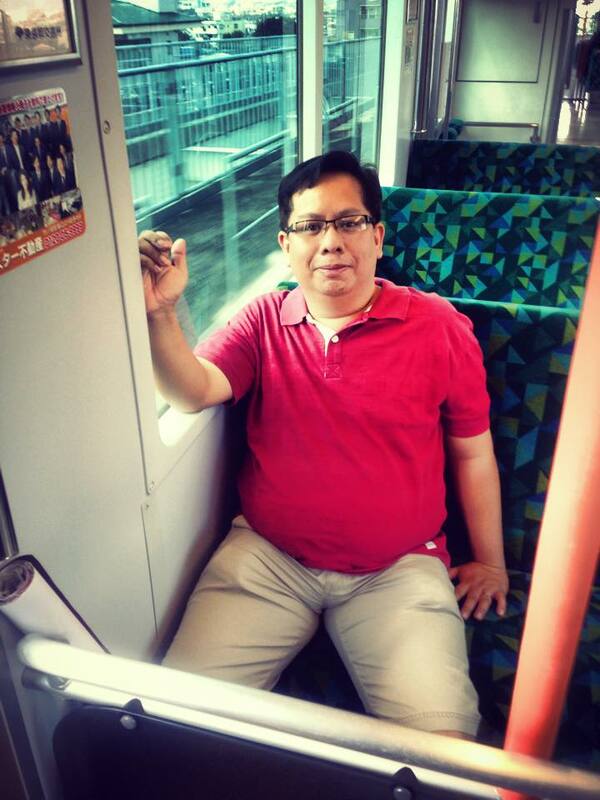 We were surprised that our guide – Mr. Hidehiko-san led us to the train. 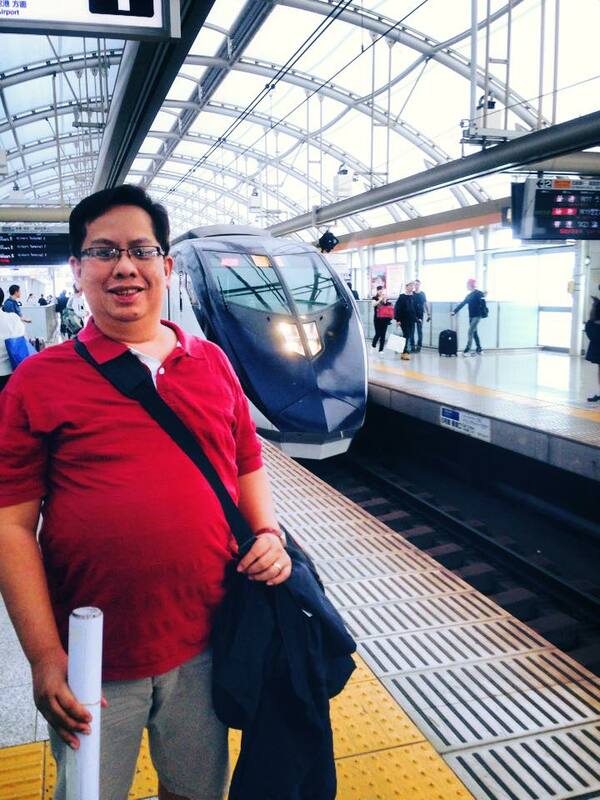 We would be commuting to the Philippine Embassy. The people from Doga Kobo were invited as well and it seems that all the companies we visited during the first 2 days will also be there. It was an hour and 30 minute train ride to Roppongi and then a 30 minute walk to the embassy, where we picked up Mr. Yamada of Creek & River. Then it was another 10 minute walk to the house of Ms. Dita. 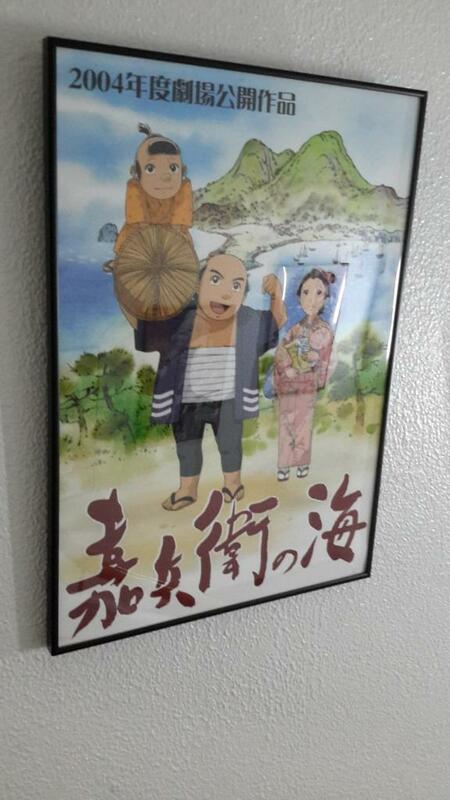 Although we were really tired, our walk was fun as we got to know Mr. Hiramatu-san from Doga Kobo. He was really a funny guy, and he tried his best to communicate with us using his phone and google translate. 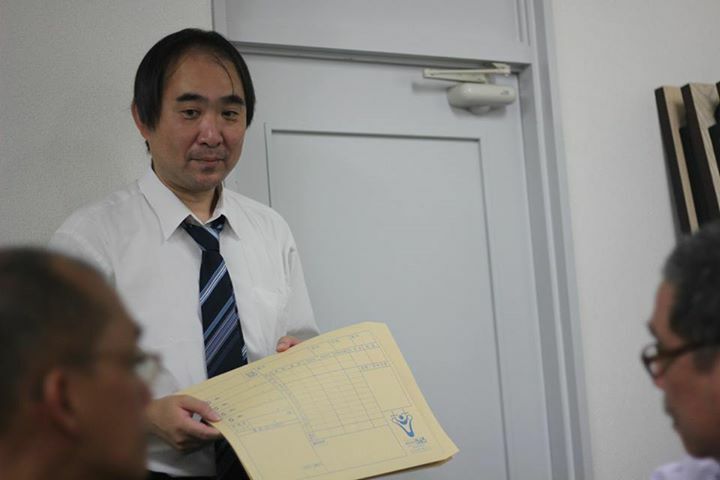 His boss, Mr. Ryo-san, we learned knew how to speak a little English and understood what we were saying, but he was shy to admit it. We learned that the Japanese, even if they know how to speak some English, were not confident enough to admit it. 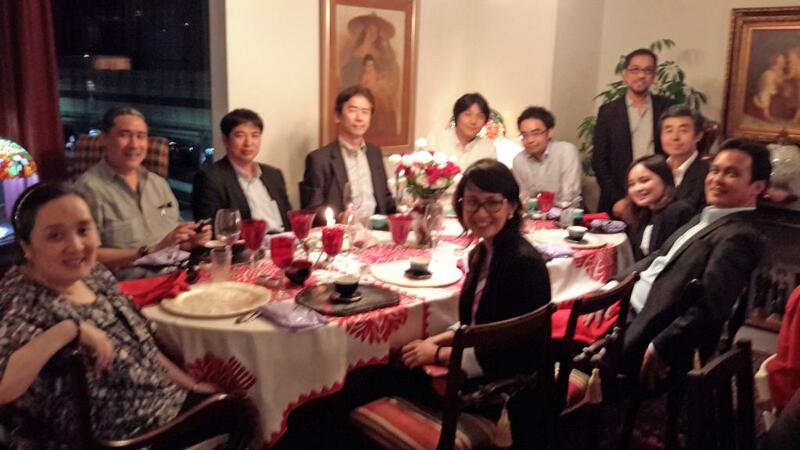 At Ms. Dita’s lovely house, we were able to meet other Japanese who were invited to this occasion. 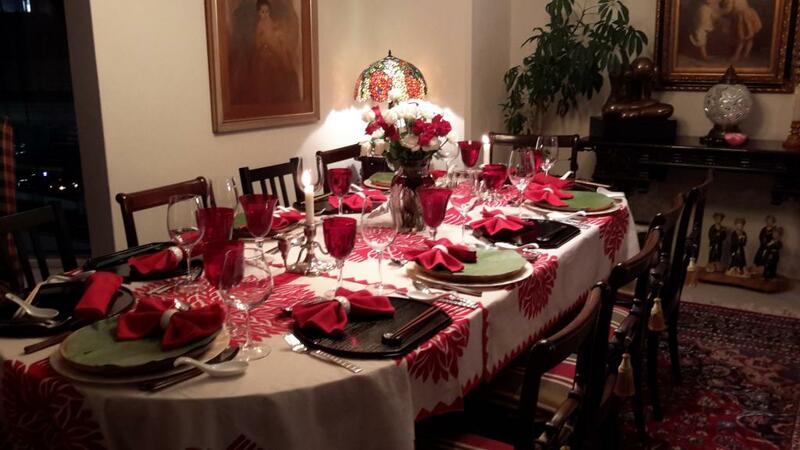 Her house was set up with 2 dinner tables where we were served like in a fine dining restaurant. We were first served an appetizer, Sinigang with bite size cuts for vegetables, some wine and beer. Next was the Entrée, a bowl of rice, chicken pork adobo and fried cream Dory in tausi. some of us ordered extra rice, which Mr. Hiramatu-san copied. 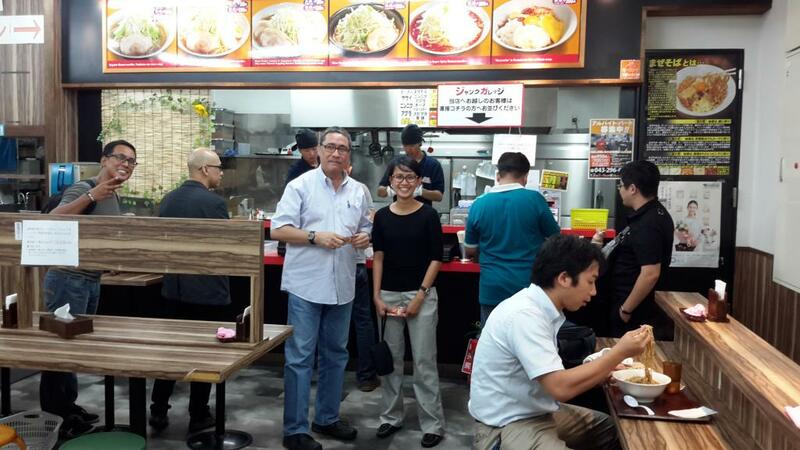 He says the food was very good and Filipinos love Oishi! We were then given our dessert, leche flan and sorbet. Overall the mood was light and fun, and we got to know more of our new friends. 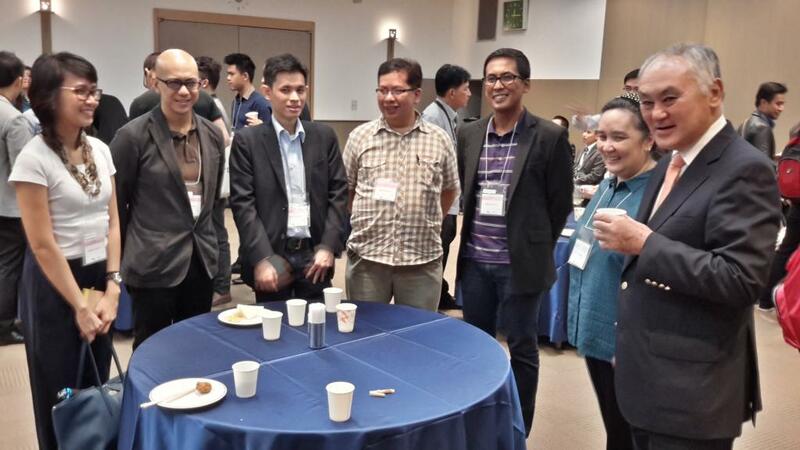 Everyone exchanged Facebook pages, and we gave invitations to our new friends to visit us in the Philippines. After some picture taking, we then went back the same route. A long walk and a long train ride. Before riding the train though, I needed to charge my Suica card (cash card for transportation and other store establishments) . 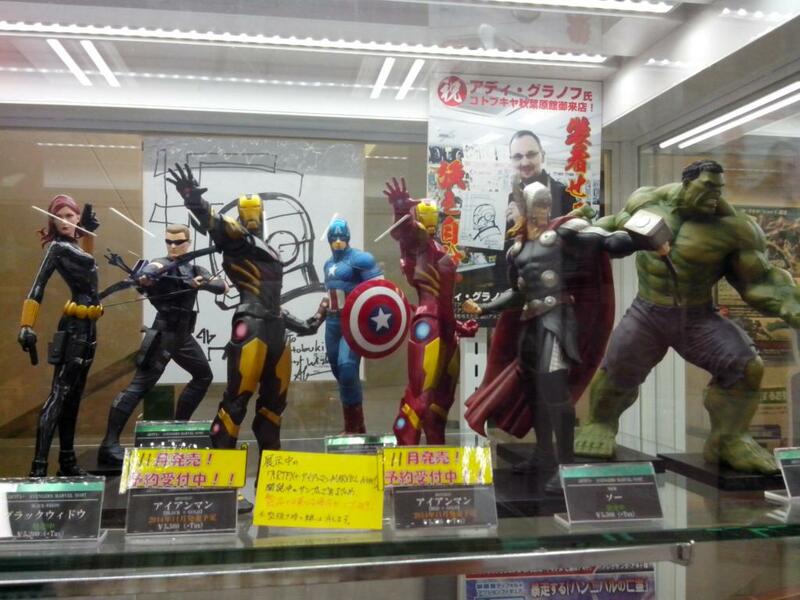 I apparently placed it in the wrong machine, including a 1,000 yen bill. It was a good thing Mr. Hidehiko-san was still there. He knocked at the machine and we were all surprised that a small hole in the wall opened. There was a person at the back of the machine, his arm went out of the window and gave me my card and money back. He then pointed to where I needed to charge my card. Everyone was laughing because who would have guessed that there was a person behind those machines. Back at the hotel, it was 11pm already. Exhausted, I was still able to Skype my love ones at home before finally going to sleep. 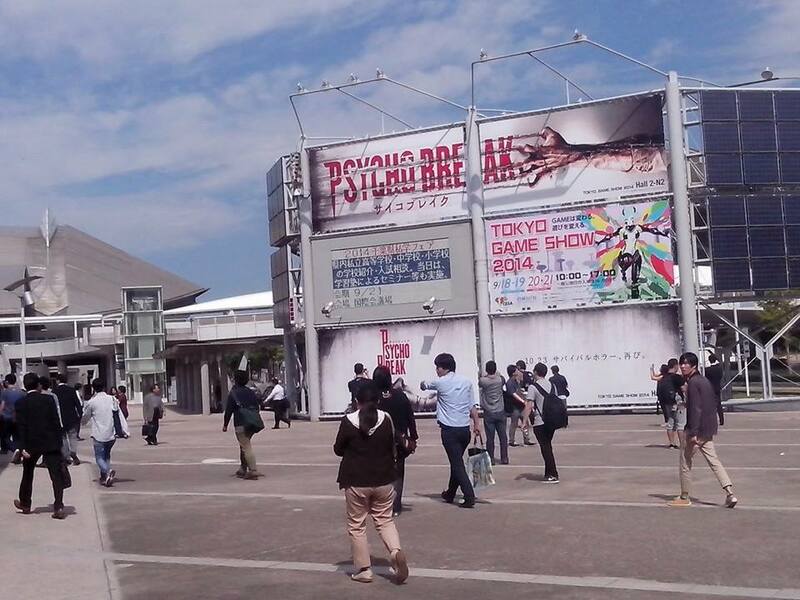 At the Makuhari Messe at 9:30 am, the second day had more people but most were small independent studios. 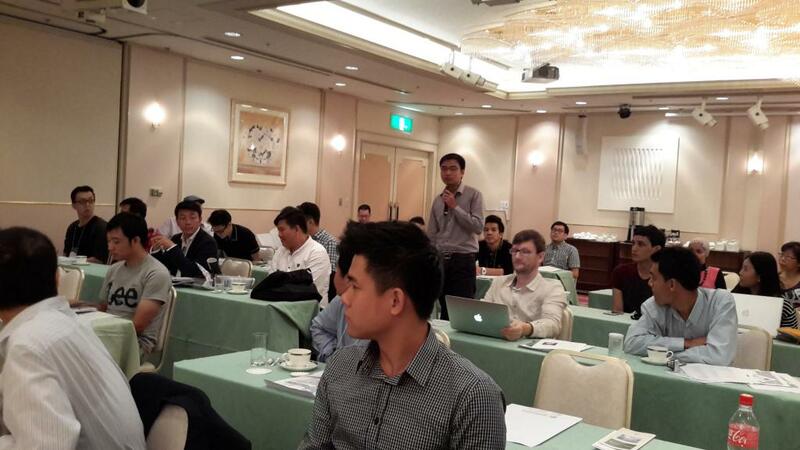 I was able to talk to only 9 prospective clients and most were from Asia, one from the US and another from France. 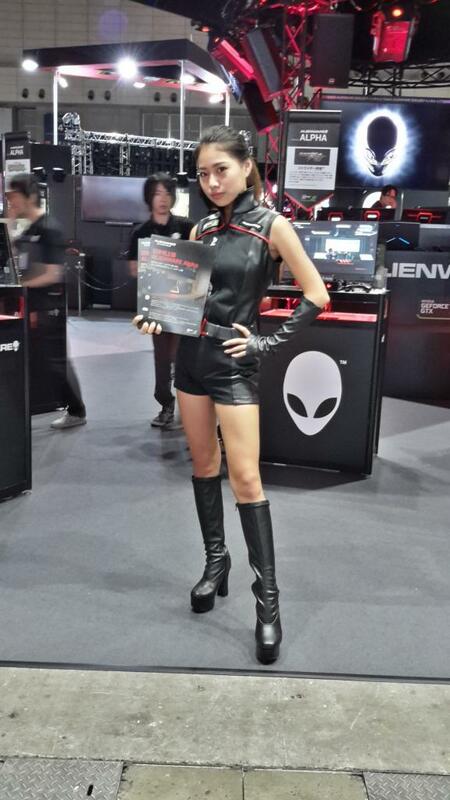 Only a few Japanese companies talked to us this time. I had some meetings that I scheduled via the appointment system arranged by the organizers. Since the meeting place was at the other end of the very large hall, it would be a bit of a hassle just to meet each one at different times. 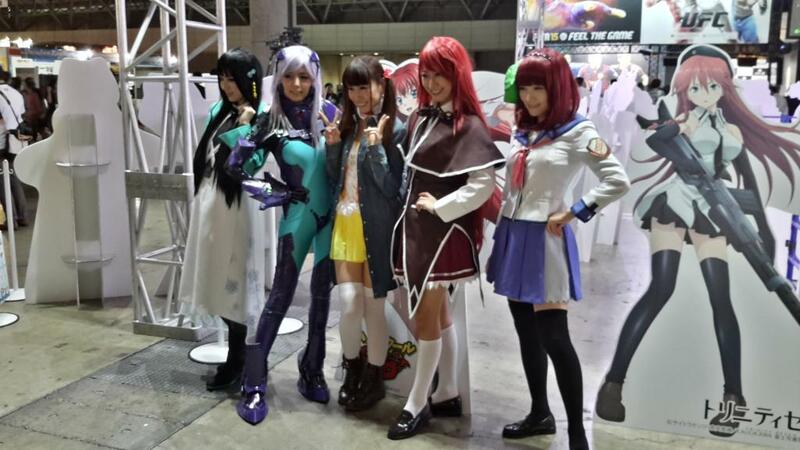 I was able to inform them the night before just to meet me at our company’s booth. I had the same lunch as yesterday, but I’m not as fond of it as yesterday. 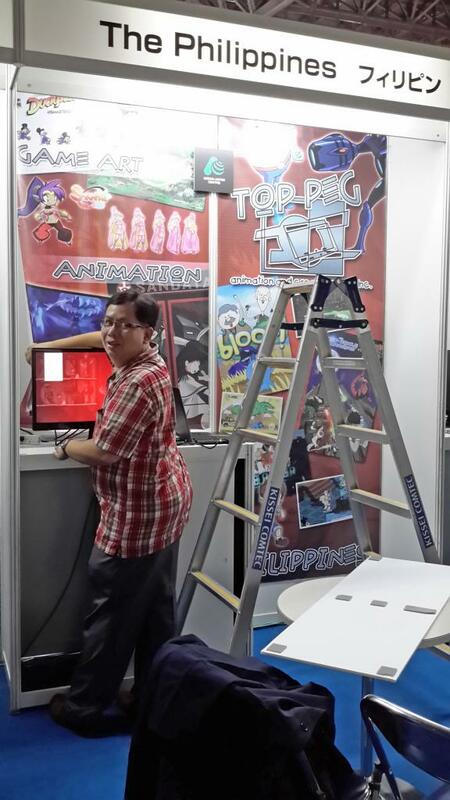 At the closing time, we had to take our booth decorations down, since our schedule was only for two days. We also took down our company’s sign that was provided by the organizers. We were then invited for an after show party called the Sense of Wonder party. All the exhibitors were invited, so we had a few finger foods and after a few minutes we were all back again at the outlet stores. The other delegates were able to buy some stuff, I on the other hand just waited for them, since I had plans going around other places in Japan. 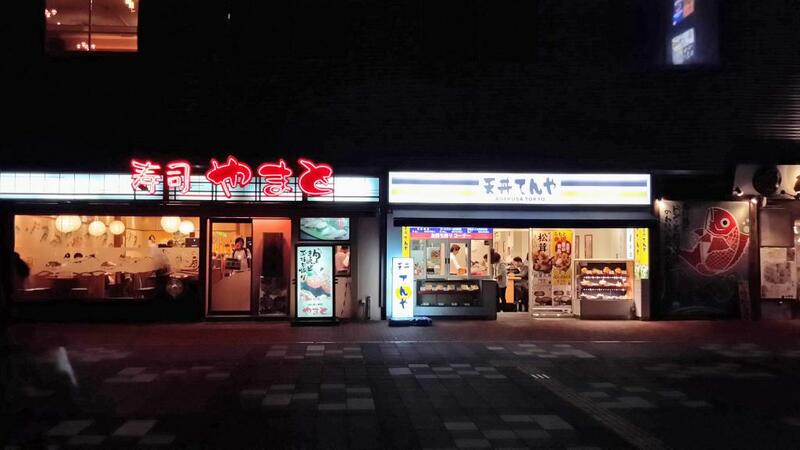 We then had dinner again at the Tempura joint and after that a few strolls and we went back to our respective hotels. 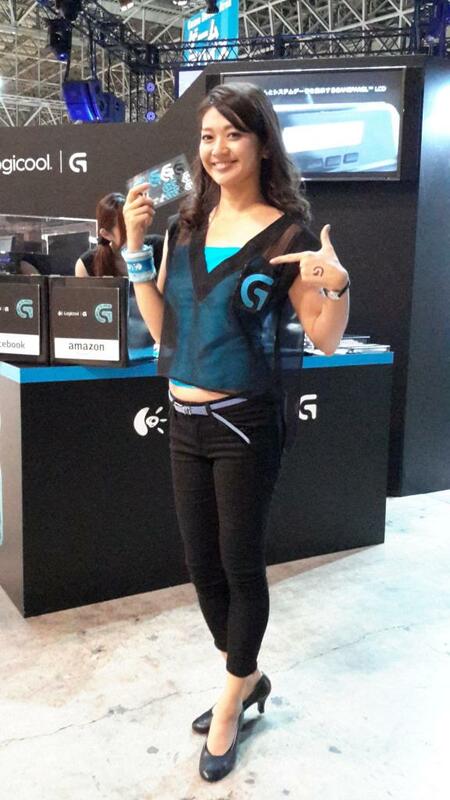 This was the first day that the TGS was open to the public. 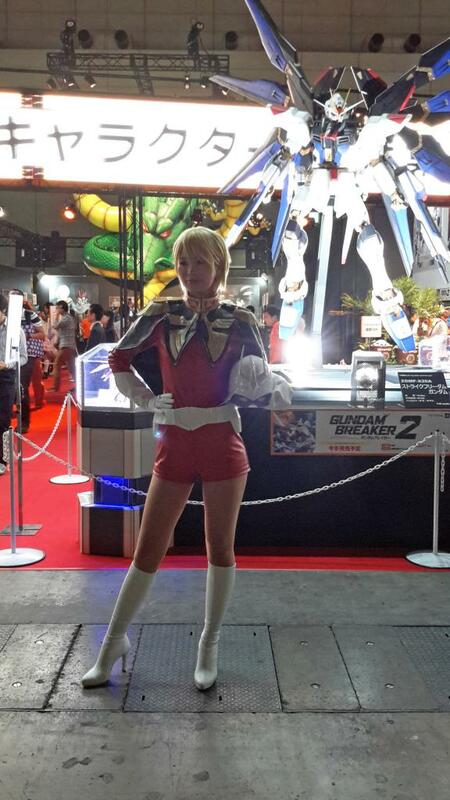 Plenty of cosplayers and also new booths that took our place in the hall. Sadly, this was also the Networking Luncheon day. 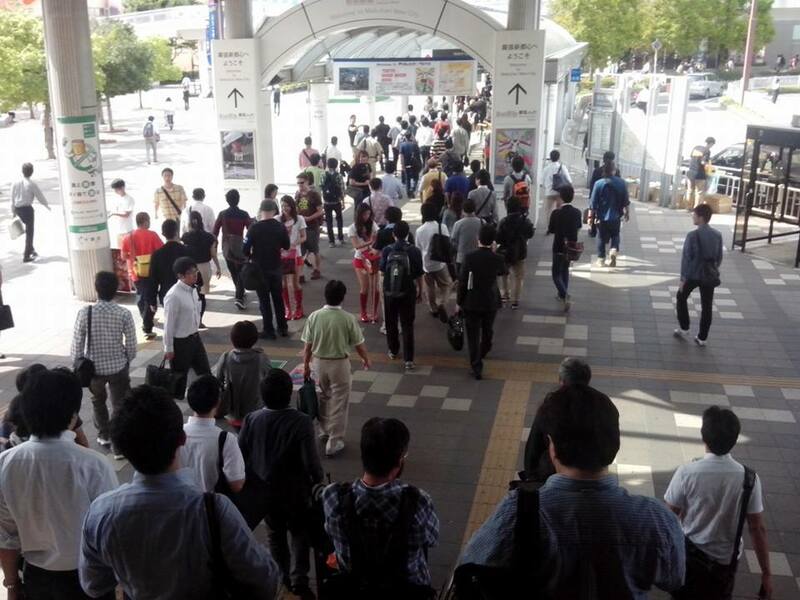 When I arrived at the train station at the Makuhari station, there was 10 times the crowd from yesterday, the people coming out of the train was really a lot. 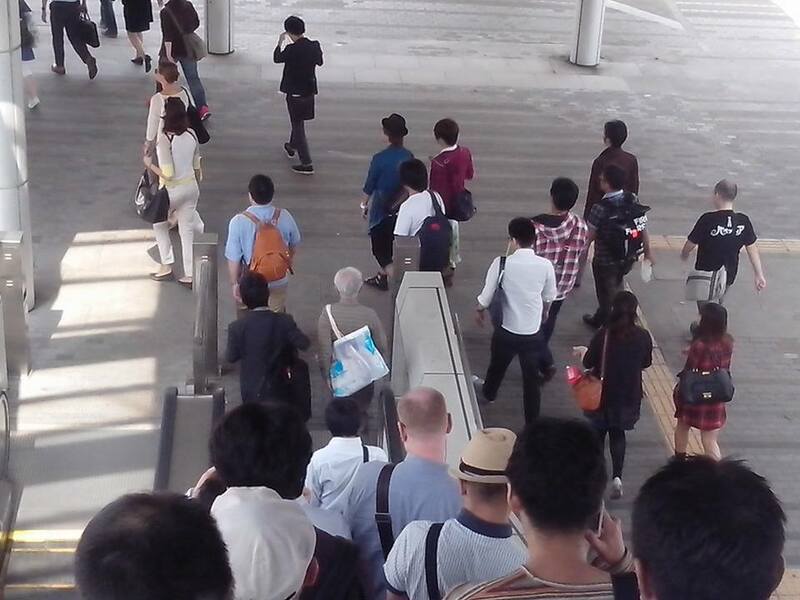 And the flow of people didn’t change for many minutes. I arrived at the International Conference Hall at 9:40 am…I wasn’t allowed in since the presentation would start at 10 am. They were really sticking to the time. 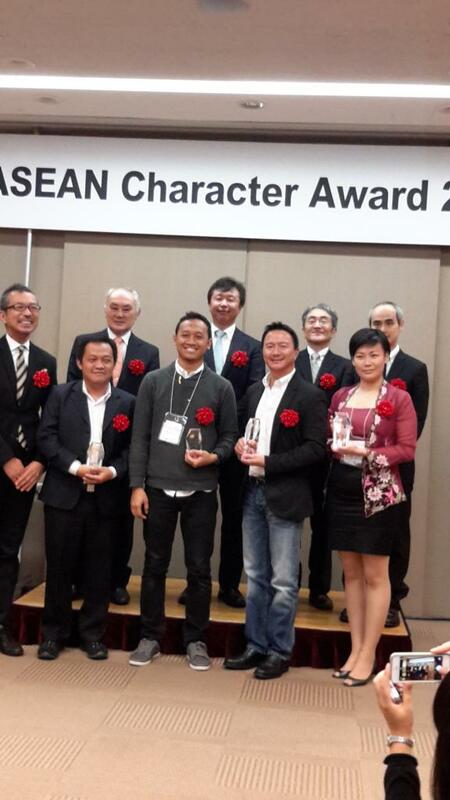 First the Asean Character Award was presented. 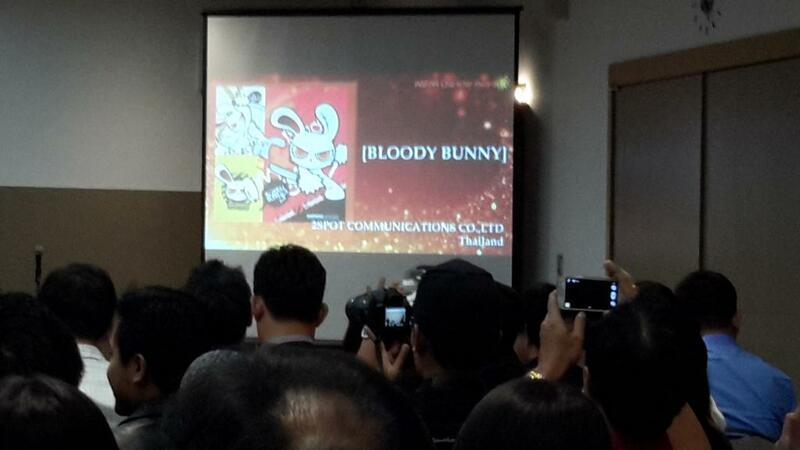 The best character was awarded to Bloody Bunny, a 10 year old character in a flash web series from Thailand. 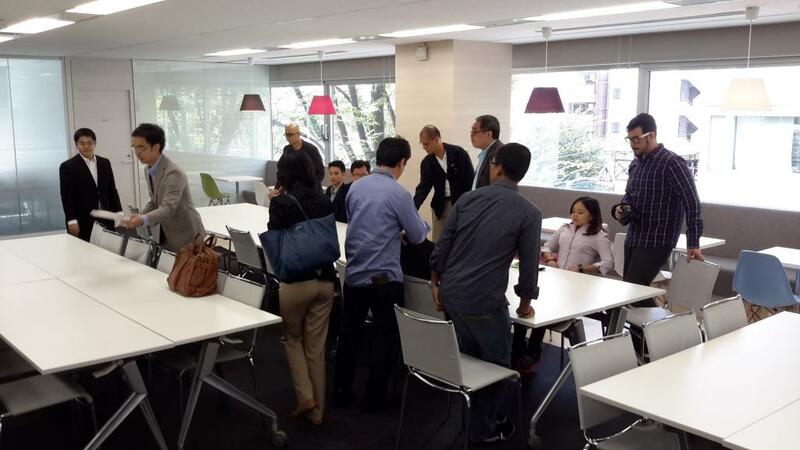 Later on 6 out of 19 companies invited would present their companies to us. The rest of the companies then would meet us at the Networking Luncheon. 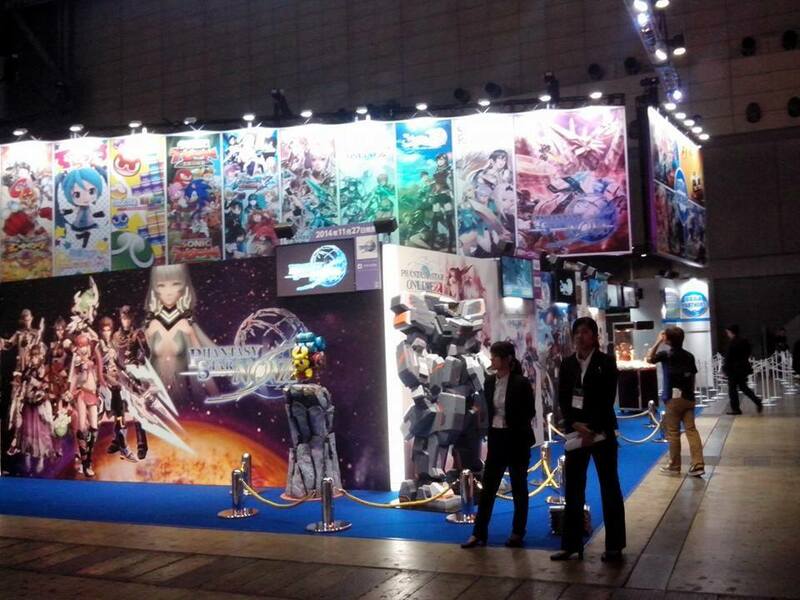 We were able to get a few contacts here, hopefully some of them would be seriously interested. Ms. Dita and her husband also visited us at the Networking Luncheon. Ms. Dita asked for a meeting to check feedback from us. During the meeting we told Ms. Dita that other companies in countries such as Malaysia and Thailand is that their government subsidizes money for the buildings and equipments that the Japanese companies needs. The budget of the Philippine government is not that big, so we can’t compete with the others in those areas. 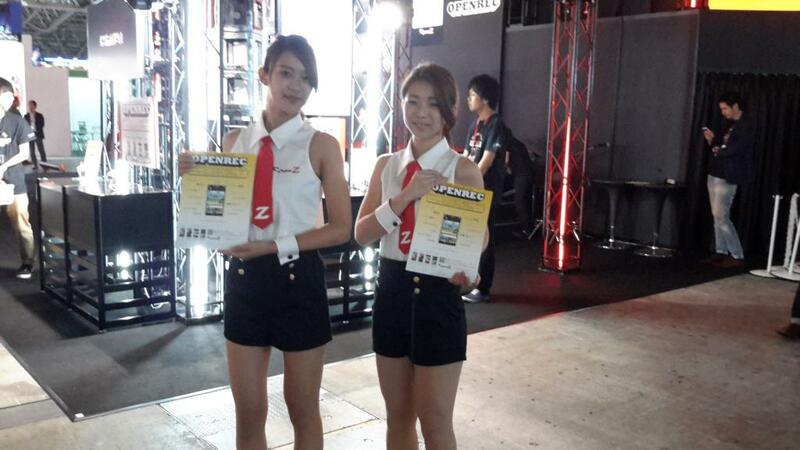 At the meeting from the presentations, we learned that the Japanese want to get into the Western market. We mentioned that the Philippines has outsourced to the the US and other Western countries since the 70s. 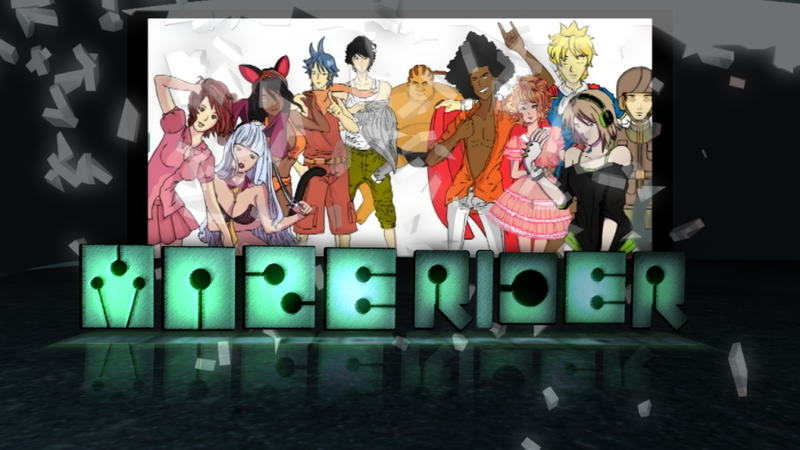 This info piqued some interest from a few people there, at least we had a tagline. The networking ended at 3:30 pm and we were told its a free time. 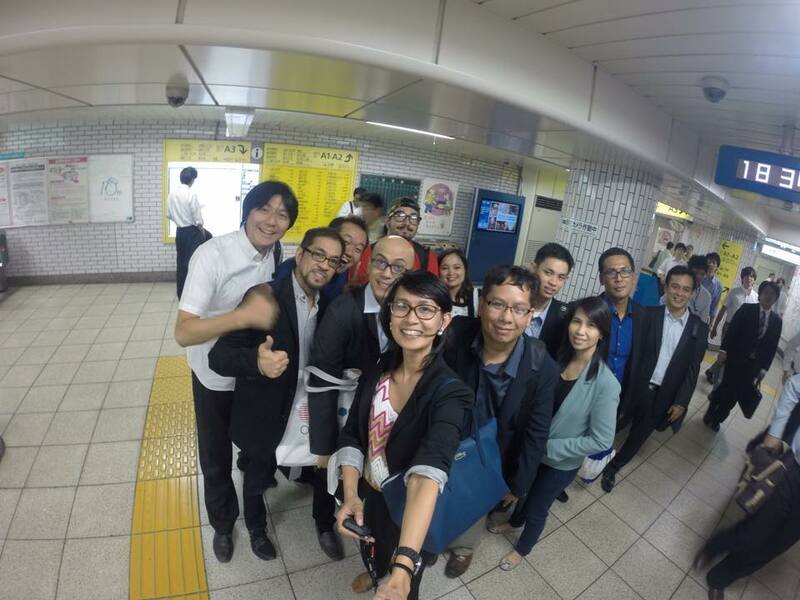 The free time was an opportunity to go around Tokyo, so we all agreed to stay together to tour the city. 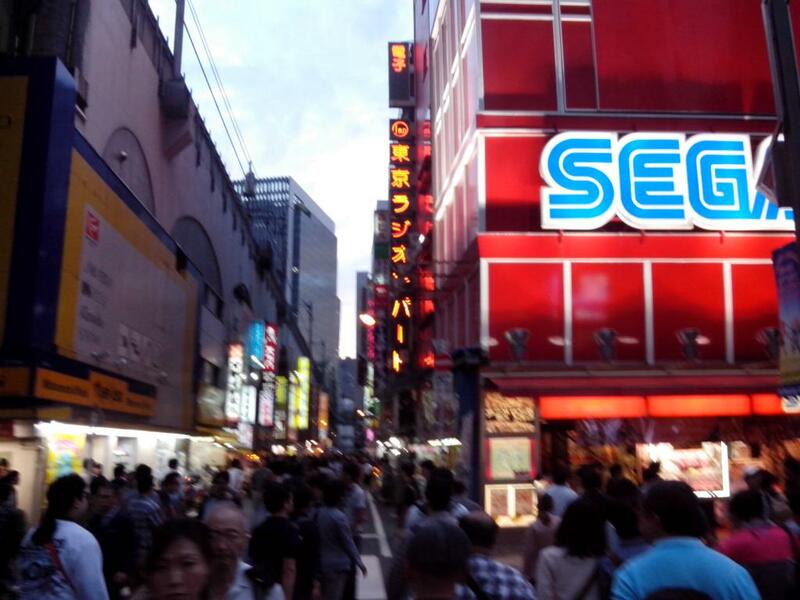 Our first stop was at the Akihabara or Electric City. 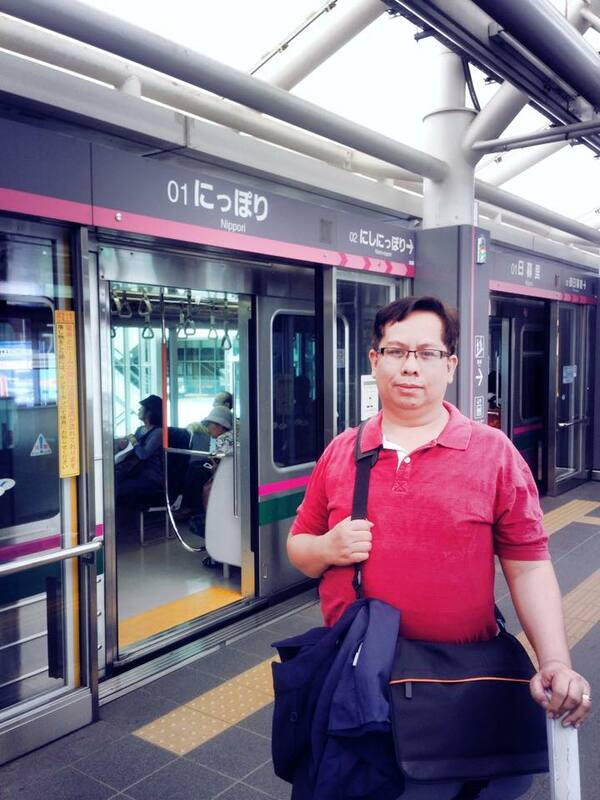 From Makuhari we needed to get off Tokyo, then transfer to another train to Akihabara. We got to see computer shops, toy shops and arcades. These shops were housed in 5 to 7 story buildings. 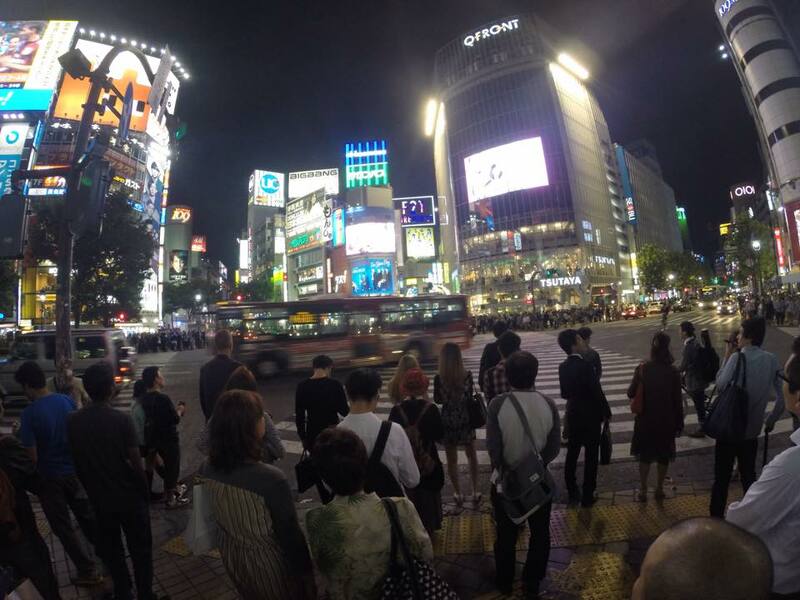 We then decided to go to another area – Shibuya, the place where the famous intersection we often see in the movies was located. We took some pictures here then we decided to have dinner. 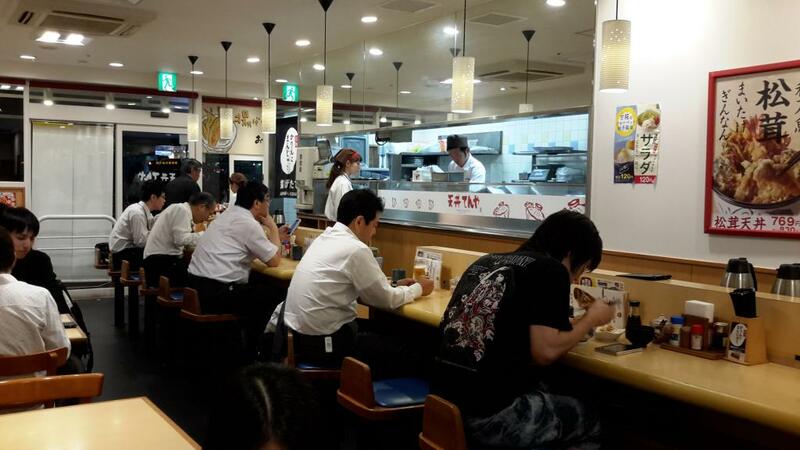 Some went to a Tonkatsu restaurant, and the othesr went to a Ramen house. I on the other hand, had already a McDonald’s hamburger with Wasabi Mayo, a few minutes earlier while walking. 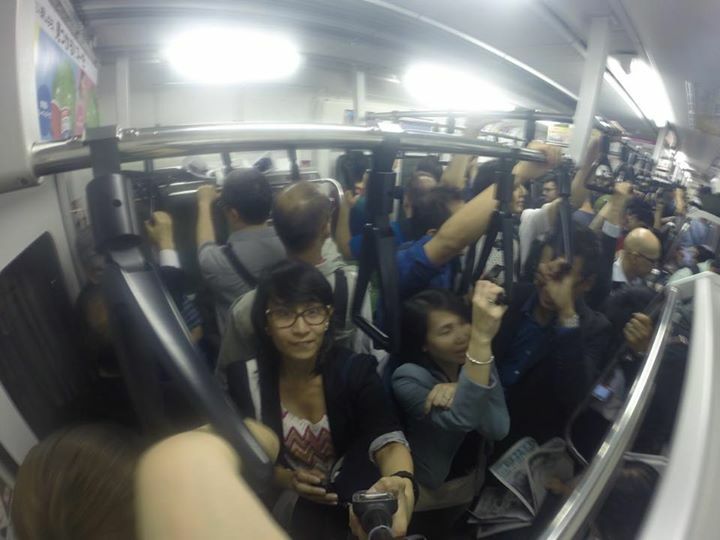 We were then able to catch the last train ride back to our hotels. I had the same breakfast meal, then I checked out from the hotel since I will be staying with my aunt that night. She would take me around as she promised. I was supposed to meet the other delegates at 9 am at the train station, since most of the delegates planned to fly home this day. 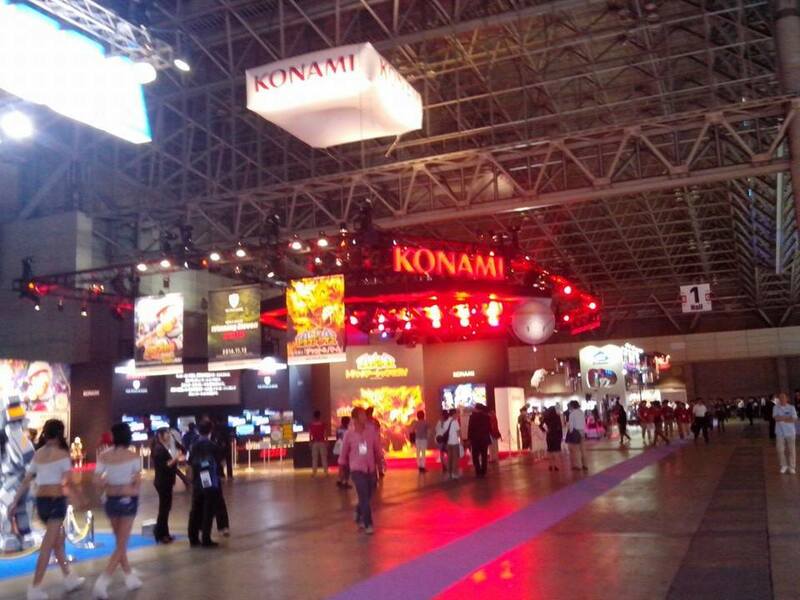 Some of us planned to meet here and take a a last look at the TGS before going home. 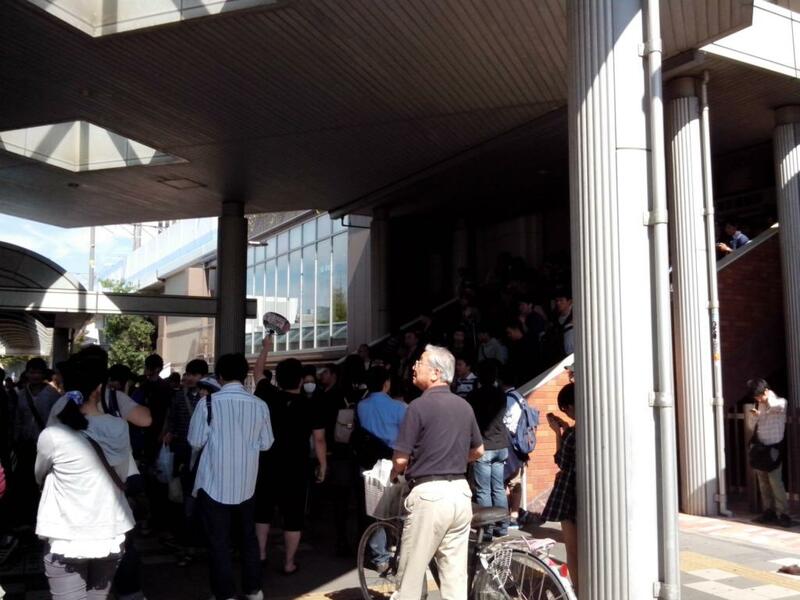 When I got to the meeting place, the crowd was really huge, even larger from yesterday. 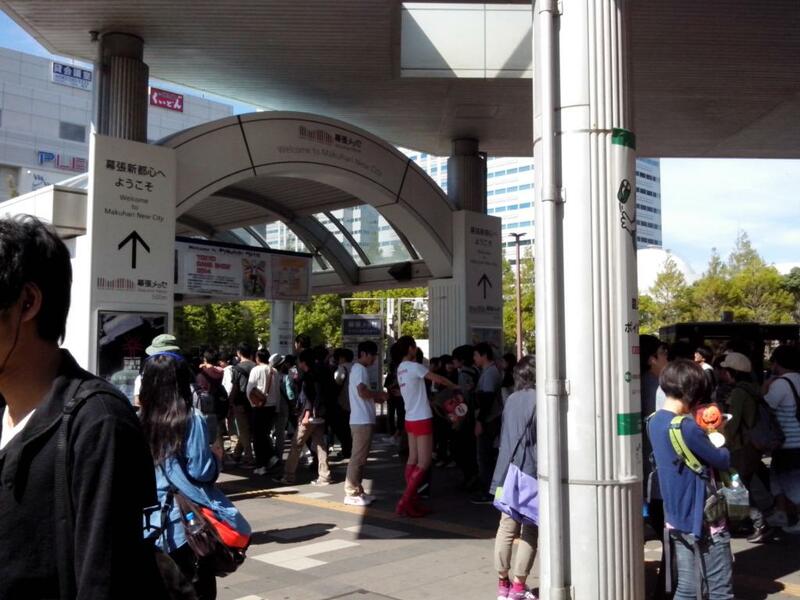 I couldn’t find the others and the line to the TGS was really massive and was not moving. 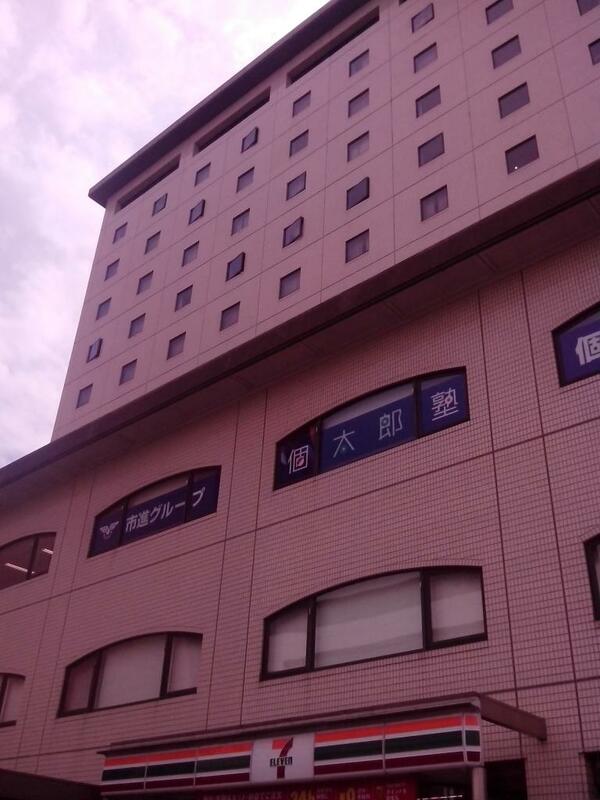 I decided to leave the place and just meet with my Aunt instead in Ueno. Here is where I learned to use the rental lockers around the city. 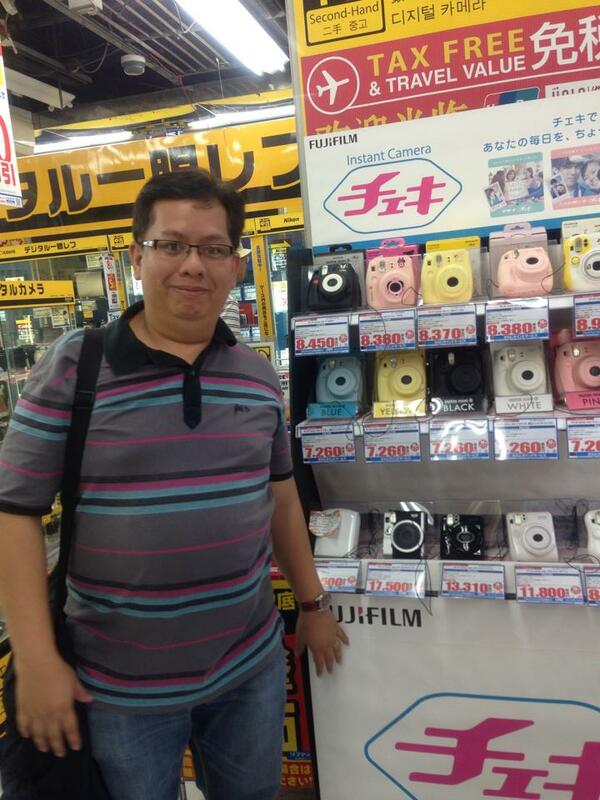 I was able to leave my stuff at 700 yen, while I met my relative in Japan. We went around Akihabara, this time I was able to get around more and since it was Sunday, the roads were closed for shopping. 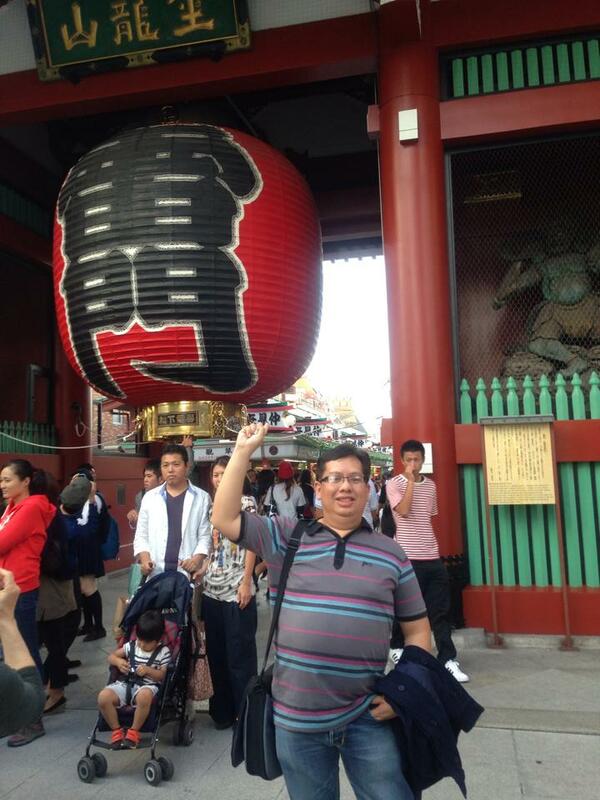 We then went to Asakusa, where the temple with the giant lantern was located. 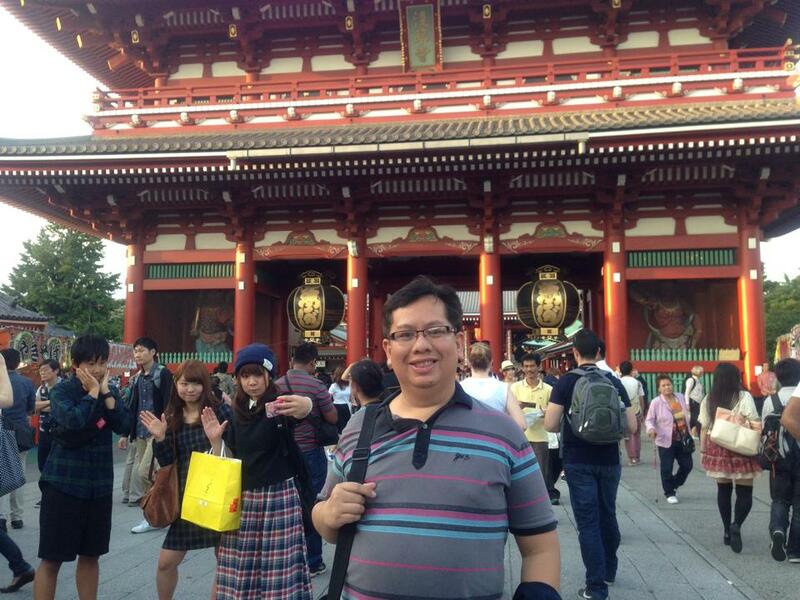 All the stuff at Asakusa was expensive, because there were lots of tourist in the area. My Aunt treated me to the Royale Hosts, where the food was good. 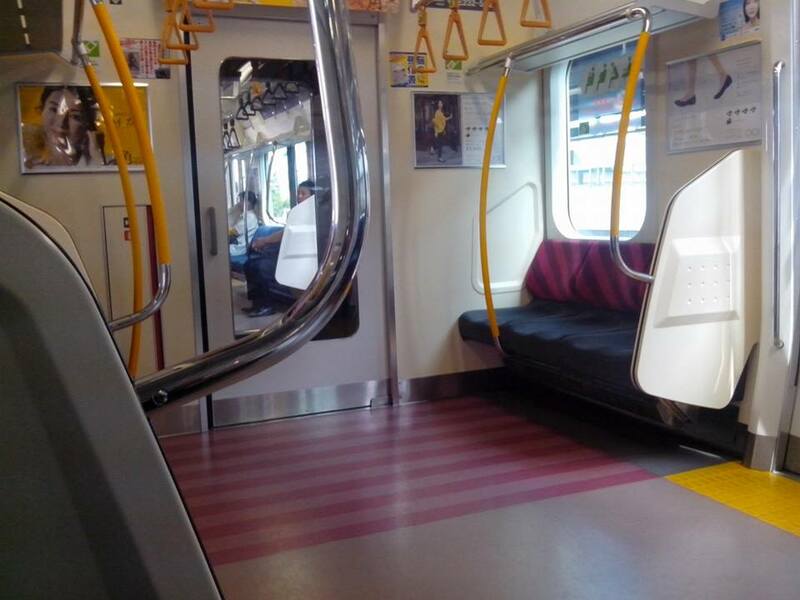 I was able to ride the Monorail towards my Aunt’s home, where I stayed for the night. 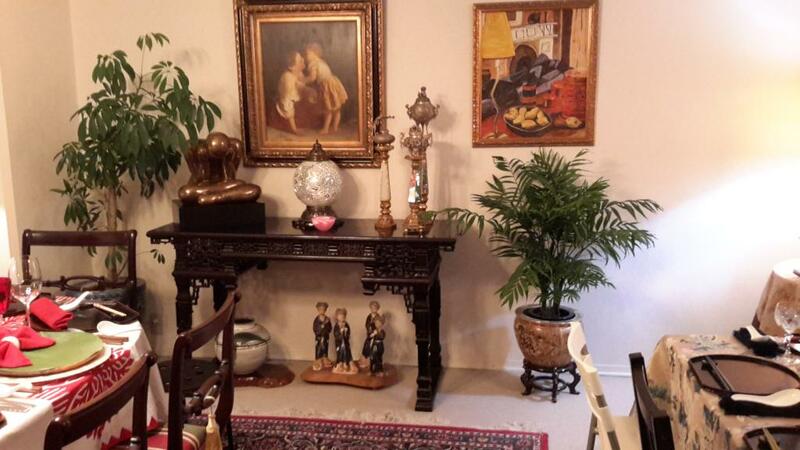 From my Aunt’s house, we shopped at the nearest mall in the area, where we took lunch at the food court. Then we went back to her house. 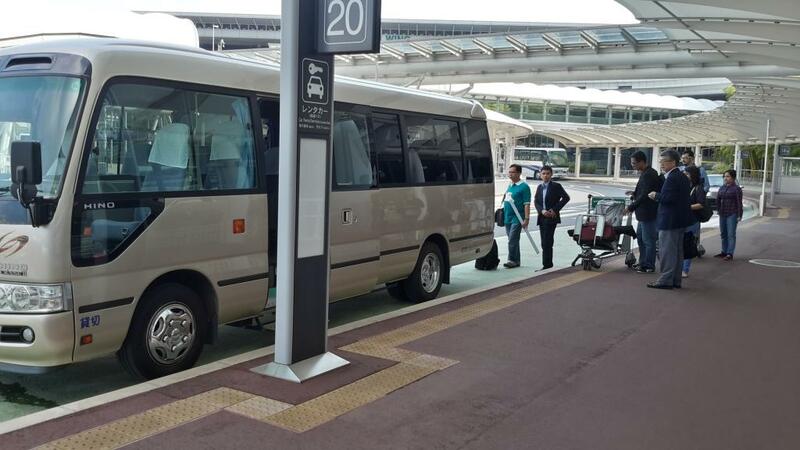 We took the bullet train to the airport, where it only took 30 minutes. When we got to the airport, we were shocked to learn that the plane was delayed for 4 hours. As compensation, PAL gave me a food and dining coupon worth 1,500 yen. My Aunt and I had some nice food at the restaurant in the airport. I boarded my flight home at 7:20 pm and arrived at Manila at 11:40 pm. I am very greatful to all the organizers of this event for making the business matching mission a success. 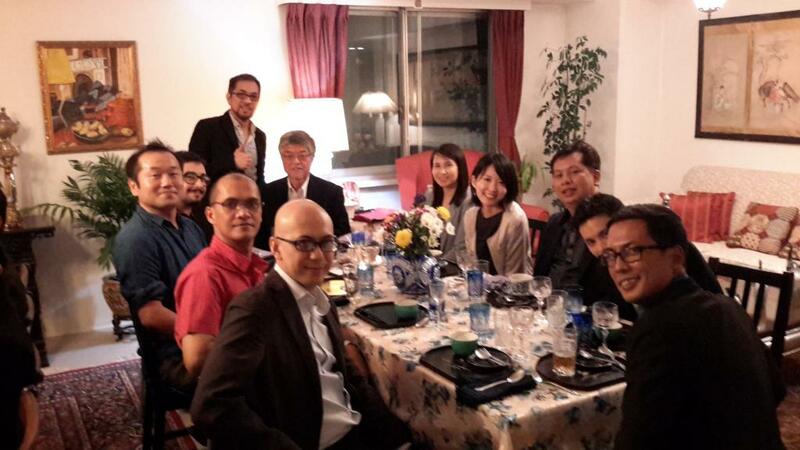 From both the Japanese and Philippine government side, all made great efforts to see to it that the participants are well taken care off and make the trip worthwhile. 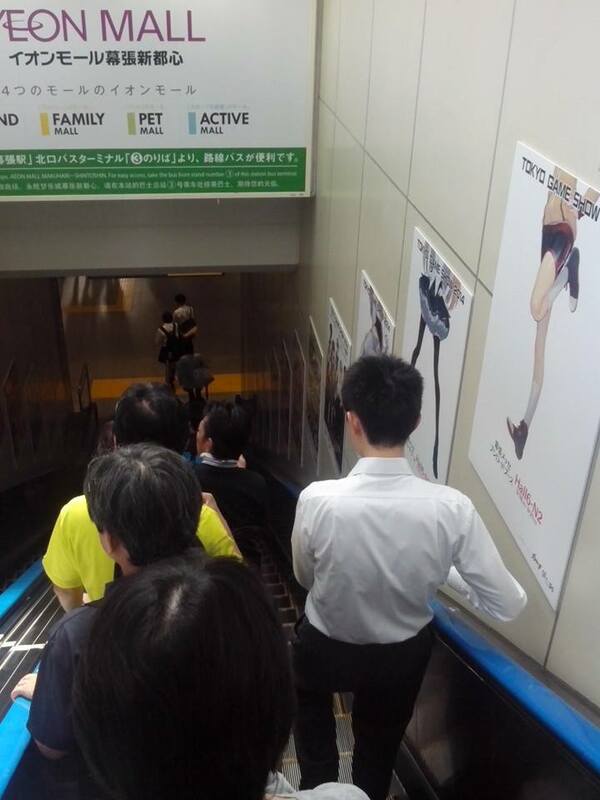 The Japanese companies were also very accommodating despite some language barriers. 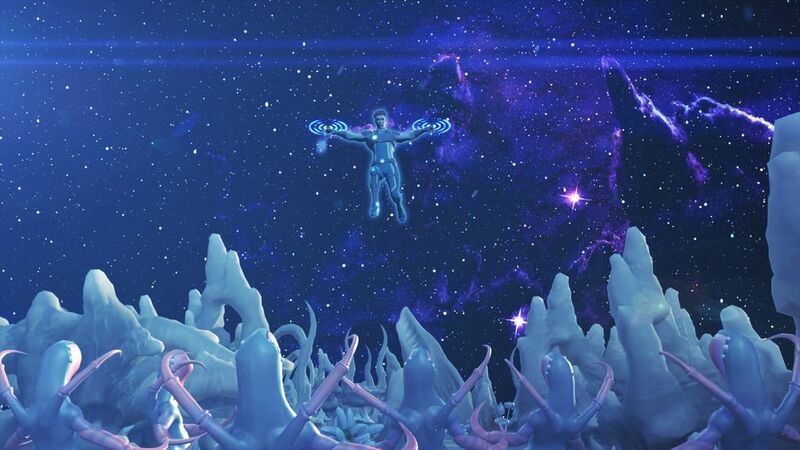 The whole experience was really great and fun. 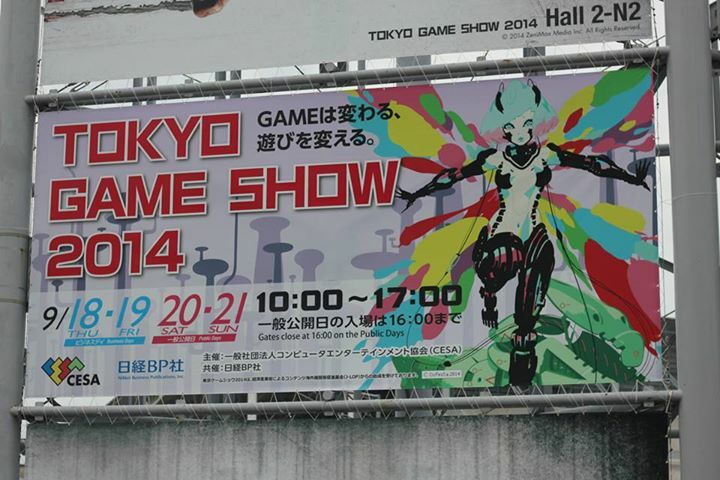 I can’t wait to be invited again to the Tokyo Game Show next year. 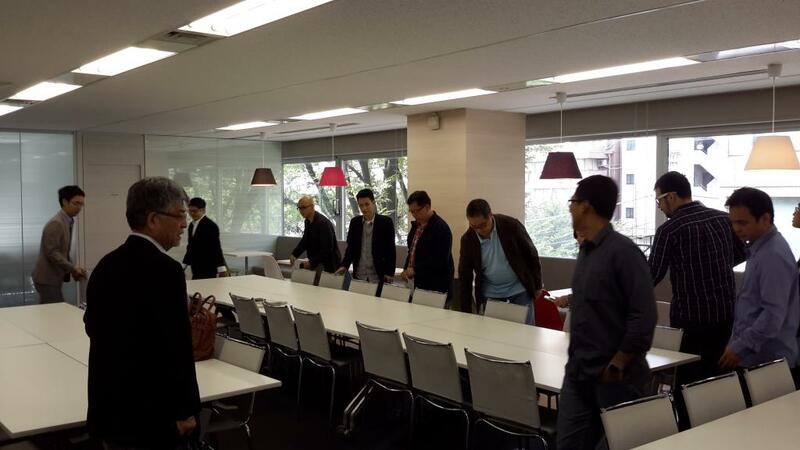 Last September 30, all the Philippine delegates to the Tokyo Game Show (TGS) were scheduled for a debriefing. 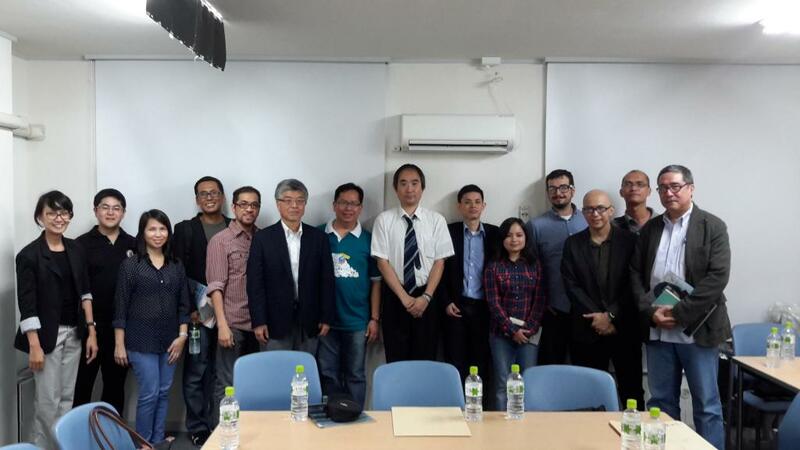 Initially, the meeting was supposed to be at the CITEM office, but Mr. Rene del Rosario invited us to have the meeting at Toon City Animation Studio. The people in attendance were Rene del Rosario and Joey Balderas of Toon City, Dino de Guzman of the Studio of Secret 6, Alfonse Angliongto of Funguy, Dani Montano of Team App/Holy Cow Animation, John Joe of White Widget, Ms. Jojo Flancia of CITEM/DTI and myself. 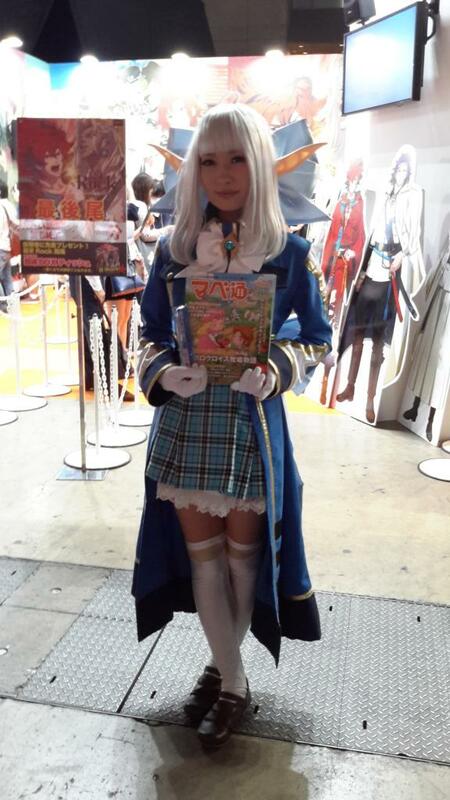 Dani Montano was kind enough to burn DVDs of all the pictures he took at the TGS and gave everyone a copy. First, Rene gave us a tour of Toon City, and I was surprised at how big the changes were from the last time I was here which was way back in 2007. Toon City is entirely digital now and a third of the size it was before, but it still had the same amount of production. 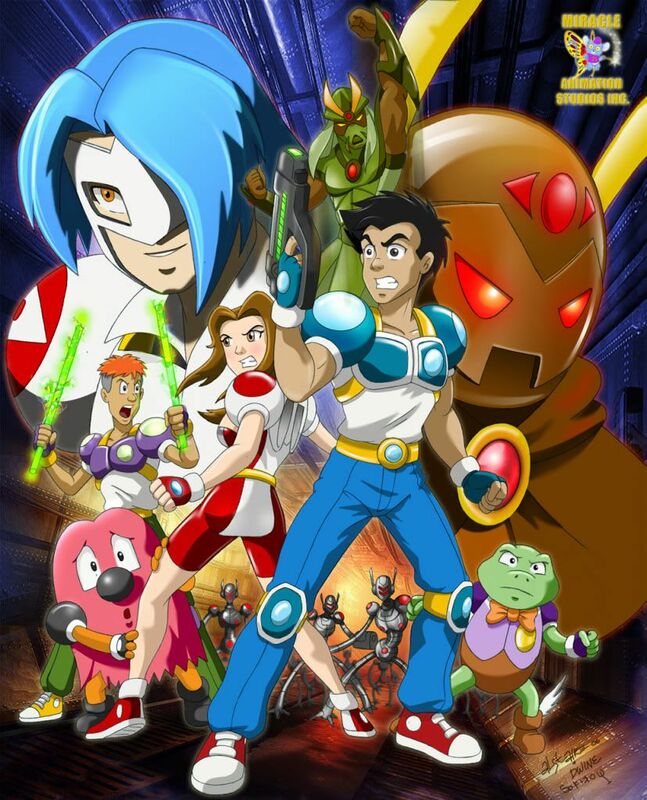 We were even joking that Toon City was far more advanced than the animation studios in Japan. 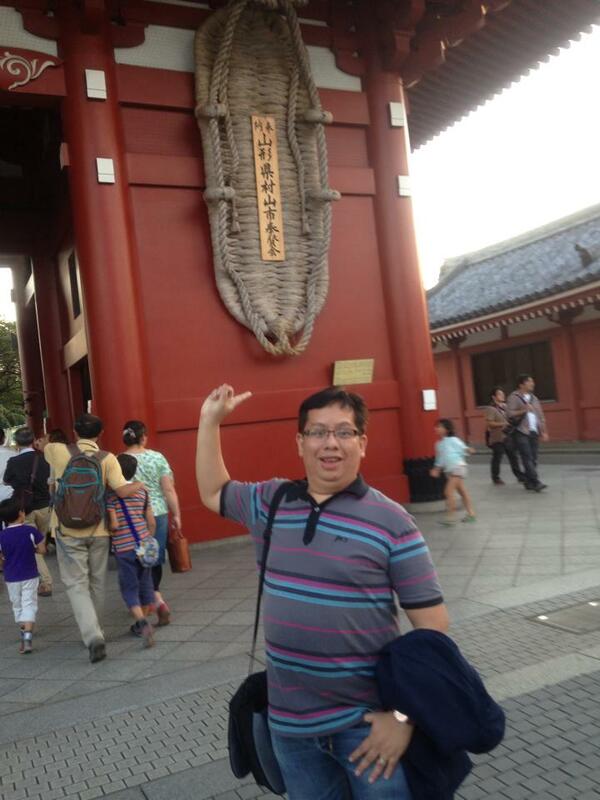 We told Rene that they should conduct a tour when our Japanese friends makes a visit to the country. Our host then invited us for lunch in the conference room, where we were served sumptuous food from Amber. Jojo then gave us number like who had the most inquiries. According to her, this was the delegates’ ranking according to the number of inquiries (this ranking is only accurate according to my memory but I am sure about numbers 1,4 and 7). 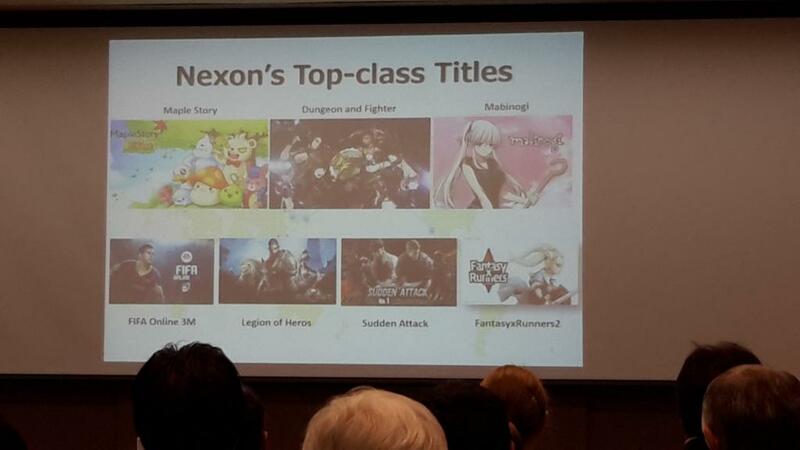 1) White Widget – they had a finished game, 2) Team App/Holy Cow Animation – they also had a finished game, 3) Toon City – lots of inquiries for animation services, 4) Top Peg Animation Studio Inc. – again animation services, 5) The Studio of Secret 6 – a game development studio but they couldn’t show finished games because of their non-disclosure agreements, 6) Funguy – a game development company with the same dilemma as Secret 6, 7) Pointwest – a software developer …they had inquiries but not as much as the others. 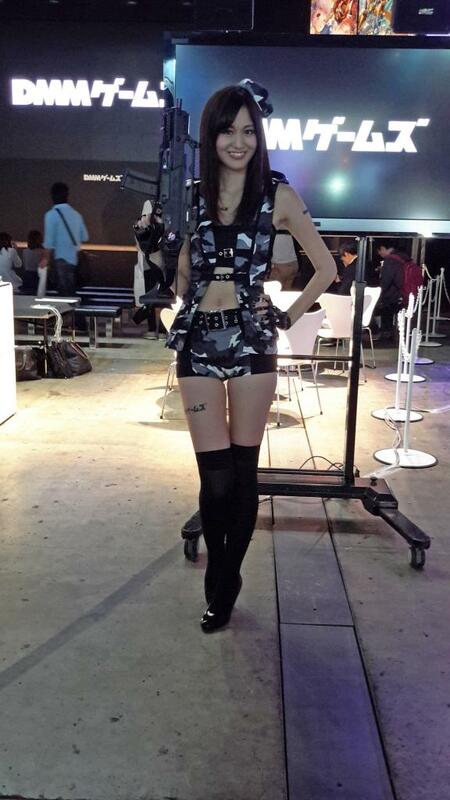 So to be really noticed here in the TGS, you really need to have a finished product. 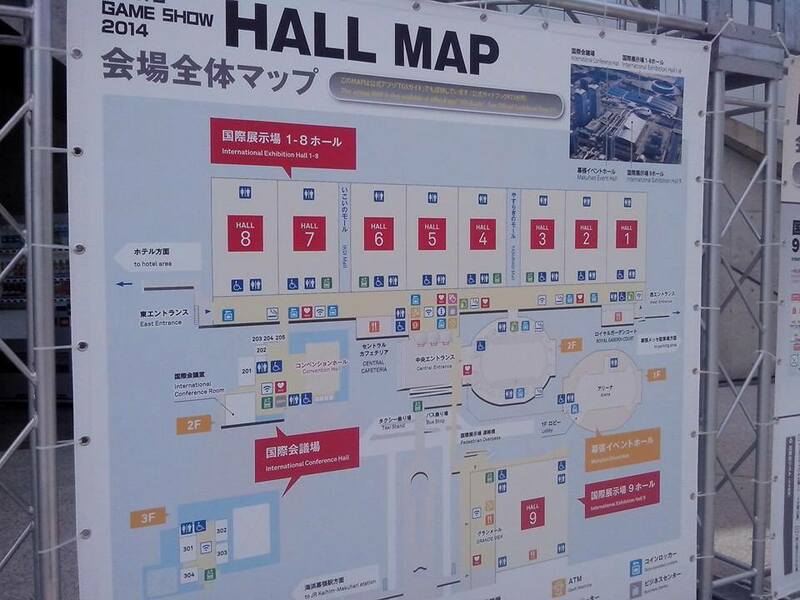 Our first feedback was the location of our booths, we were expecting that our booths being in front of the entrance of Hall 1 we would be having traffic come to us first. We were surprised to learn that the doors open to the crowd from Halls 4 and 5, so we were like in the farthest corner of the hall. Next our booths were really generic booths, that it was hard for the crowd to even notice us, unlike the booth of Taiwan which had a larger generic booth, but with a large sign that read “TAIWAN” on top of the booths. 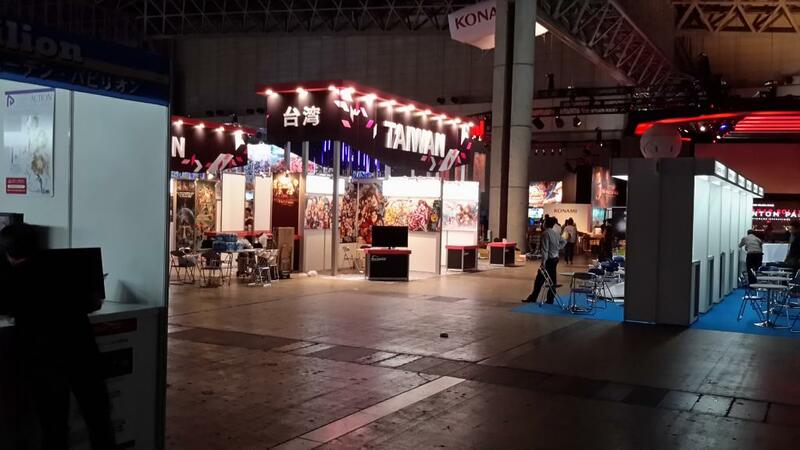 The entrance for Hall 1 was opened to the public during Saturday and Sunday, but that time our booths were already taken down. We then asked why we were only allowed to have the booth during the business days, which was Thursday and Friday; as it would have been good for the public to also see what our country has to offer. 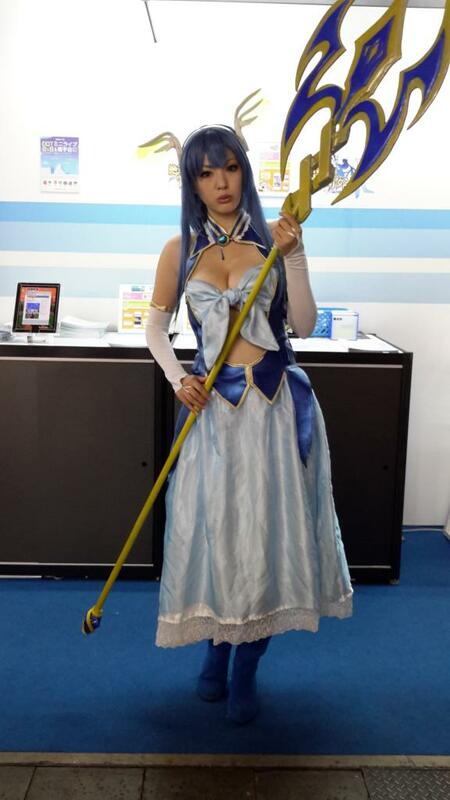 In fact some companies that we communicated with via email were asking if they could visit our booth during the Public days. Next, we learned that Japan has been outsourcing to Indonesia and Vietnam already, where in my opinion we are way ahead in terms of animation than those countries. We in fact asked why weren’t they outsourcing to the Philippines. the reality is, they don’t even know we have an industry of Game Developing and Animation Services here. 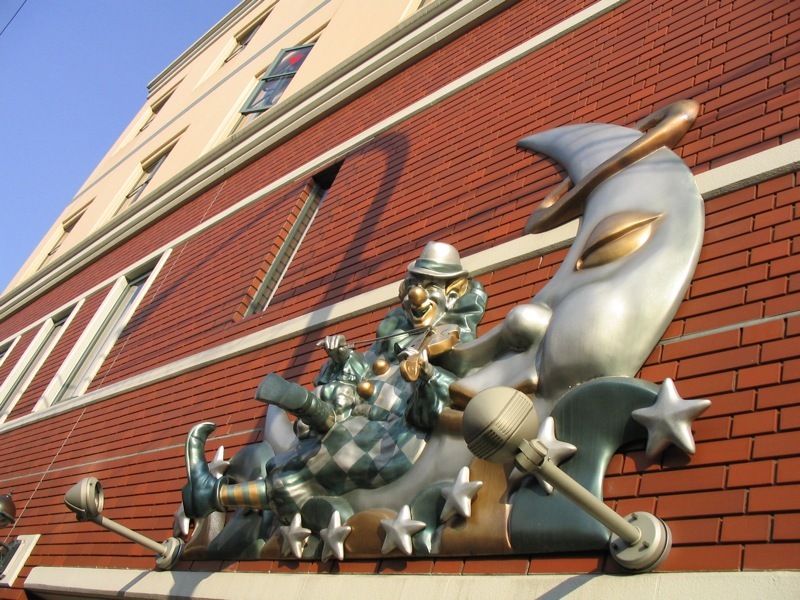 Another thing we learned is that these countries had middle men – Japanese representatives who knew of those countries culture to mediate between the Japanese Companies with their own companies. 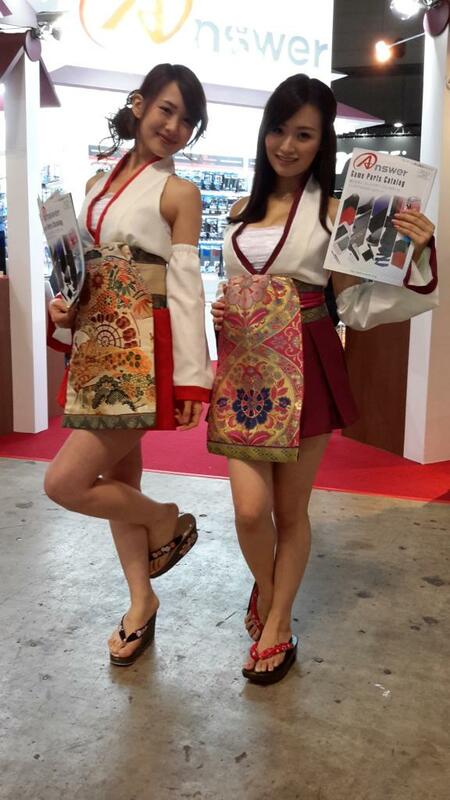 “Japanese aren’t very confident in speaking English and will, sometimes deny that they know how to speak the language even though they can speak it.” This was according to a French guy we met at the show, who was conducting research for a French company. A good thing that happened during the show was the delegates helped each other when an inquiry wasn’t the forte of one company. They would forward the inquirer to other companies who are able to entertain the inquiry. 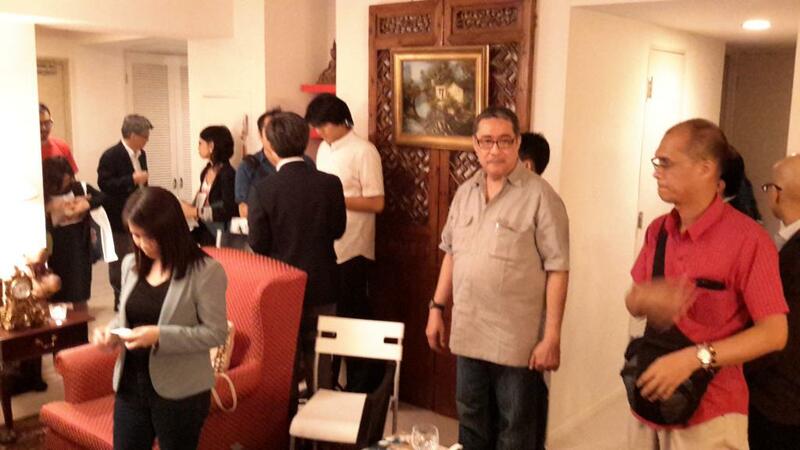 This was noticed by the Asean Japan Center and the DTI. Good points for us, although some of us really were not prepared. Some companies lacked decorations, demo reels, brochures…because of different deadlines in each company. One point was brought up is that we could have one look for all our materials, like calling cards and brochures and maybe we could market our country as a whole. Jojo brought this up as this was done with the XDS (External Development Summit) in Canada, where we also had a delegation last September 2014. She showed us the brochures from that show, but all of us said that the brochures looked too corporate, had business looking colors and too much information that the fonts were really small. It looked boring to read, a suggestion was to make our booth, calling cards and brochures FUN. Since the Tourism’s office motto was “It was more FUN in the Philippines”. Why don’t we hold a contest for graphic artists, illustrators, interior designers or architects to design a Philippine boot, the brochures and the calling card. And then we could also put the name of the winning designer in the booth and the materials. 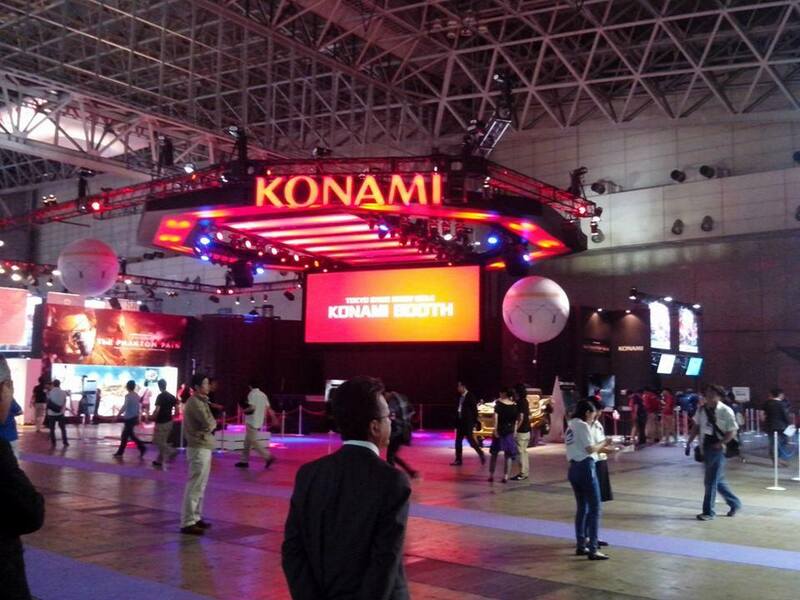 It was really nice to see everyone giving suggestions to help make the Philippines’ next visit to the TGS a lot better. We all promised, that if we were invited again next year, we would be better prepared and we would have finished games to show. Jojo then told us that the Asean-Japan Center and the DTI were very happy with the outcome of the show, and that there was a big chance that we would be invited next year again. 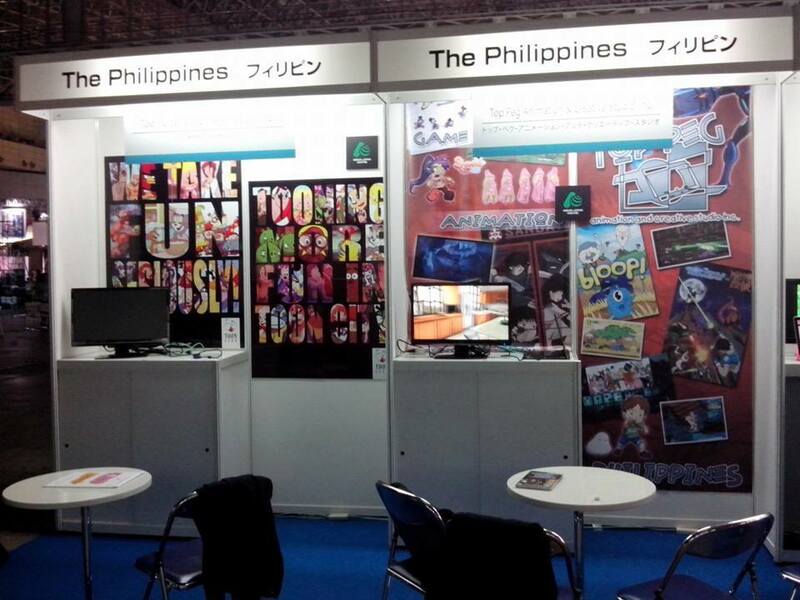 In fact the good news was, more companies would be invited and hopefully instead of sharing booths with other countries, we would have our own “Philippine Booth”. 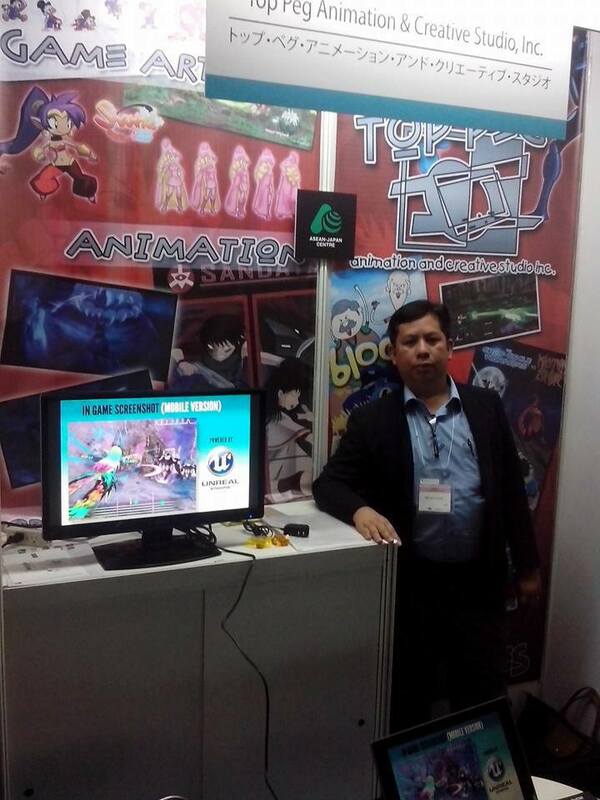 To summarize: 1) Booth location is a big factor to gather more inquiries, 2) A middle man is needed, a Japanese who knows our culture, to mediate between our country and Japan, 3) Market the country as a HUB for animation and game developing by consolidating the designs of our materials as one, 4) Be better prepared with materials (demo reel) and have a finished product to gain more inquiries, 5) Hold a contest for designers to create a look for our booth including materials such as brochures, calling cards and posters.